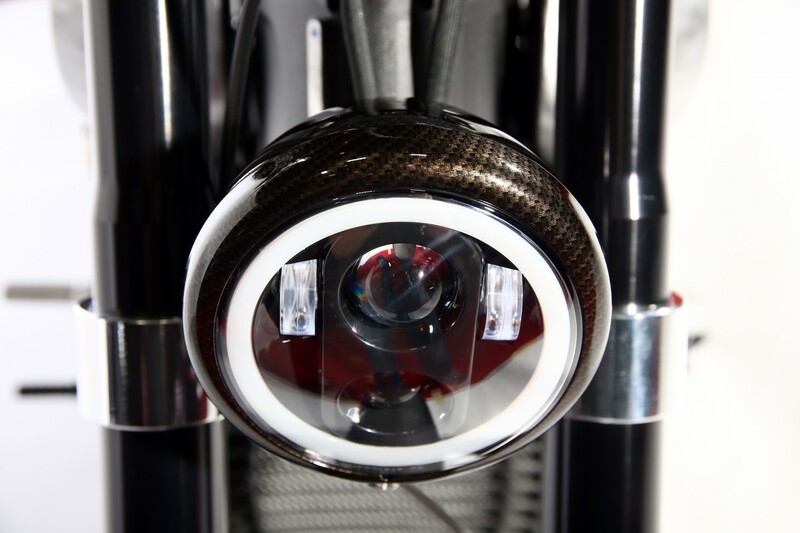 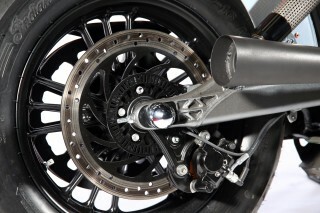 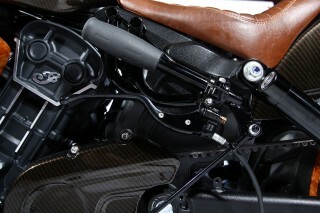 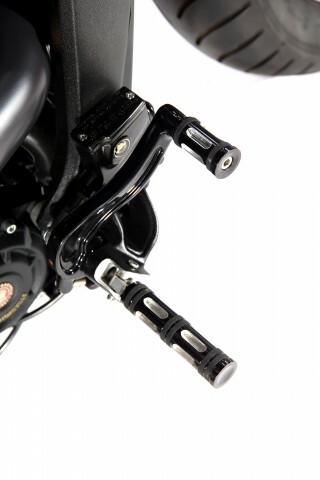 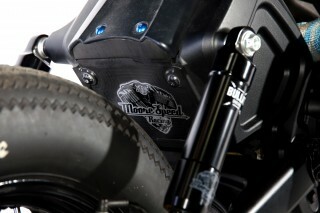 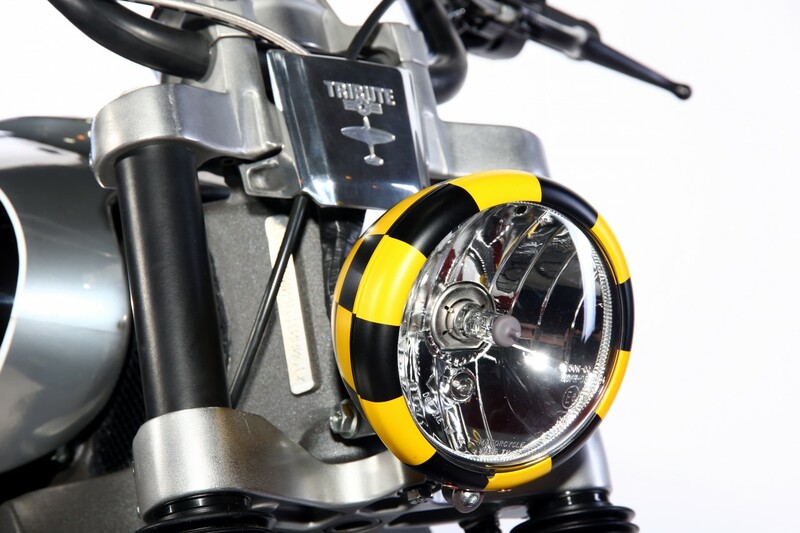 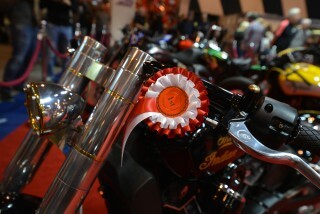 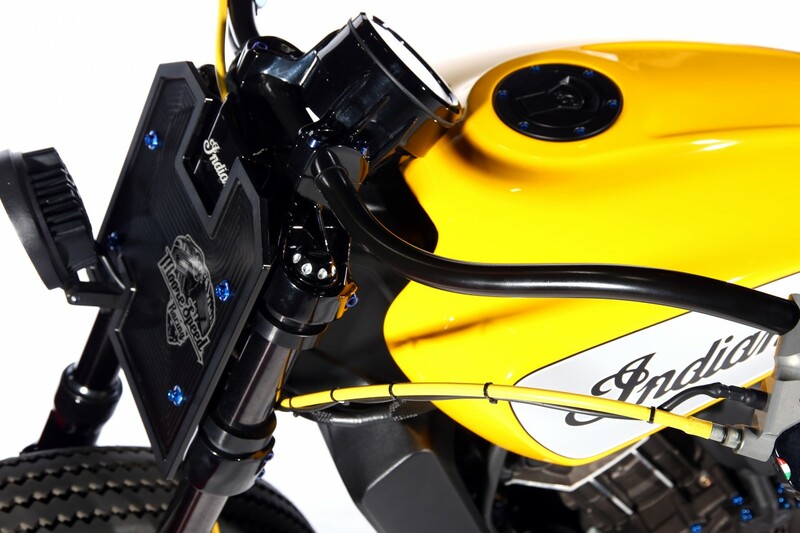 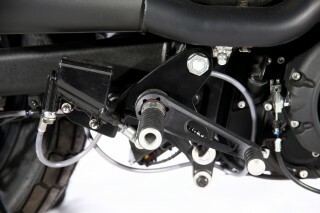 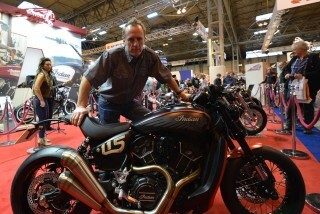 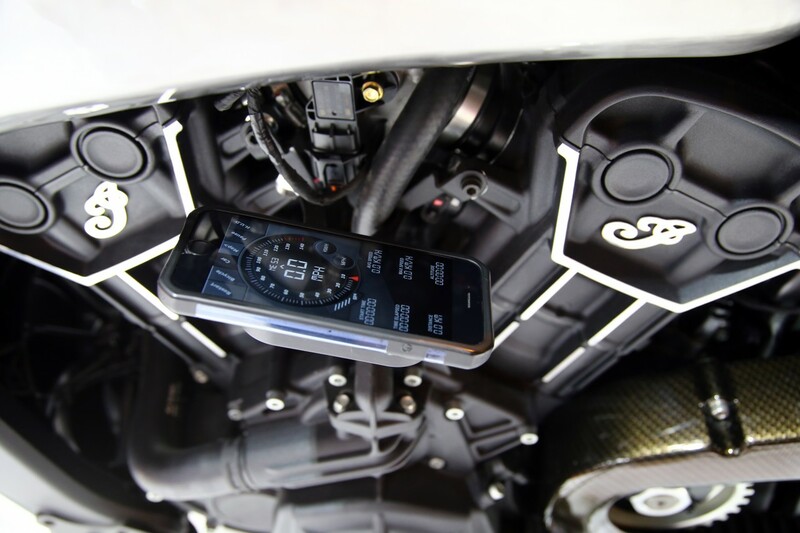 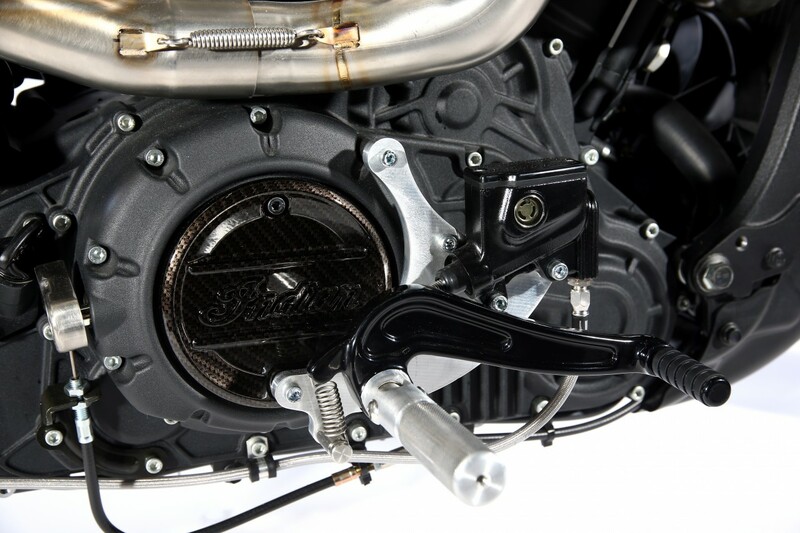 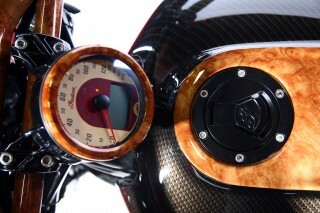 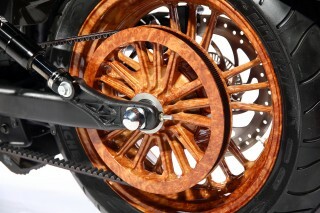 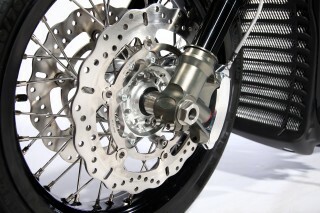 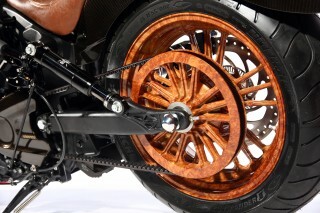 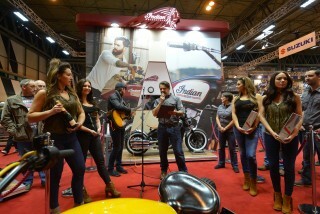 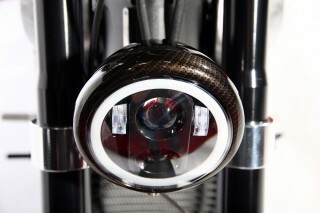 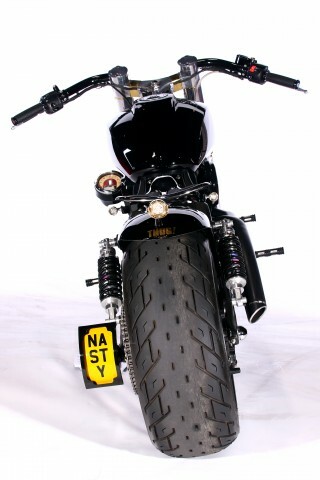 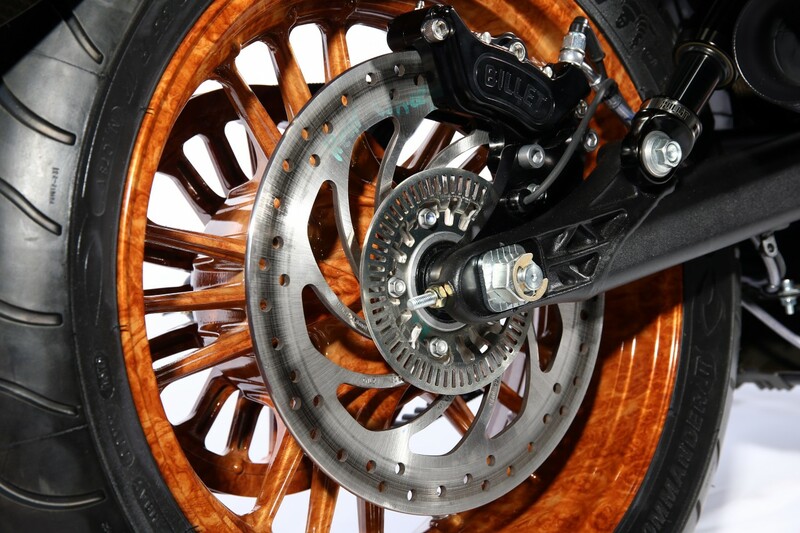 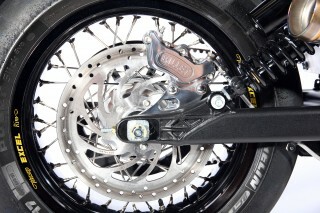 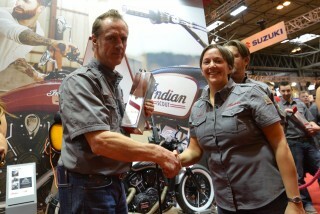 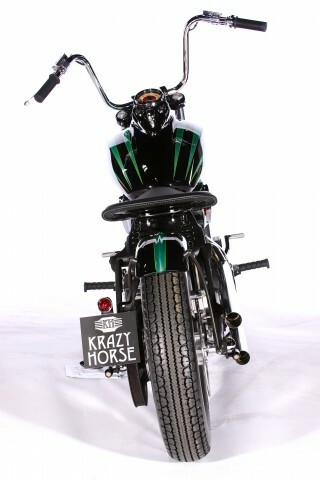 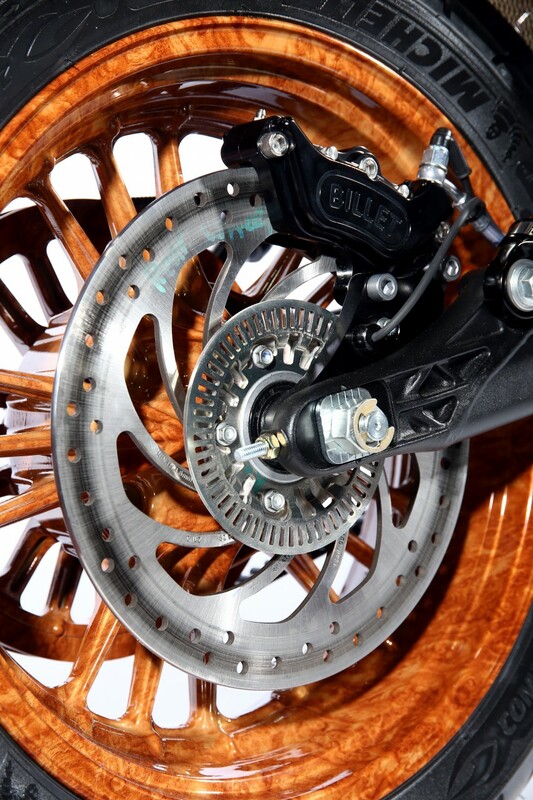 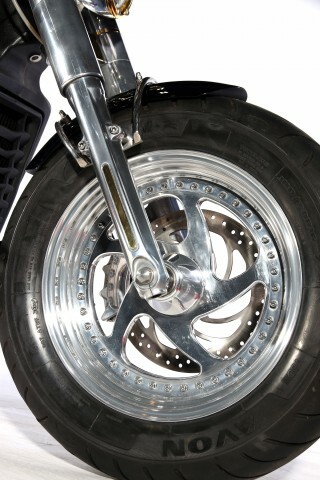 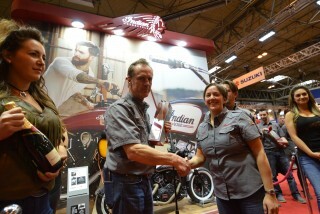 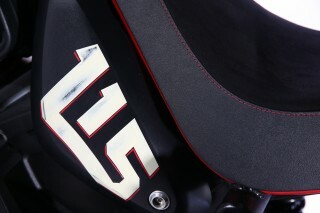 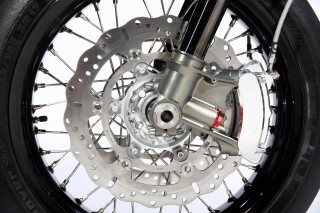 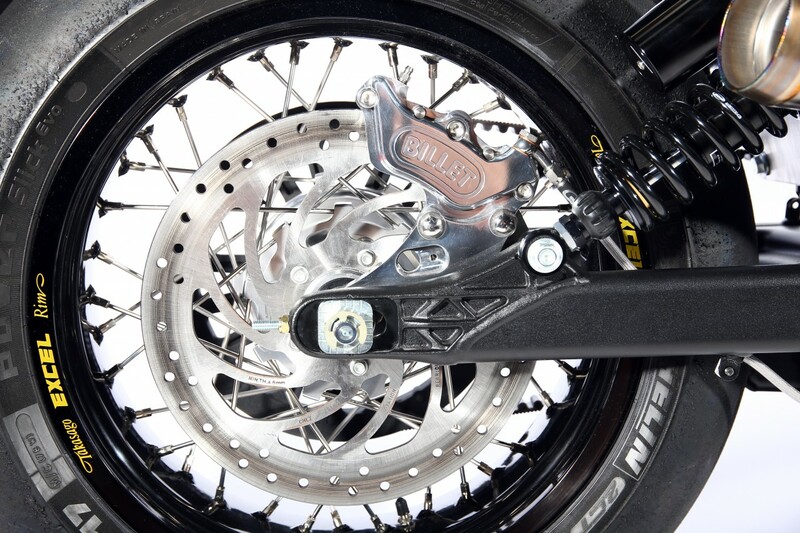 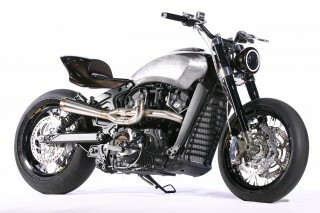 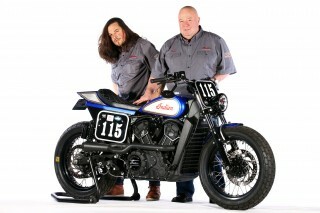 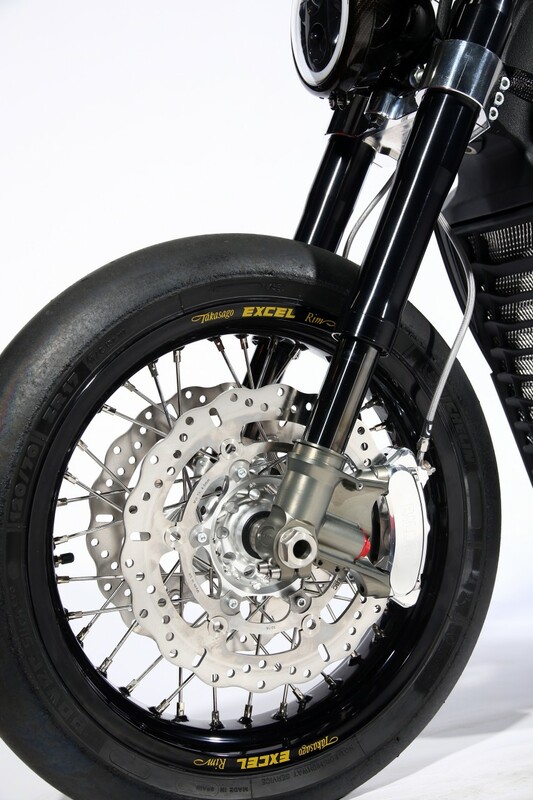 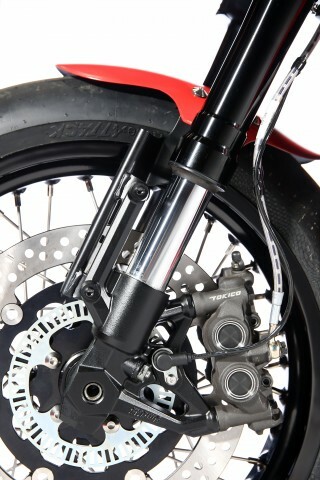 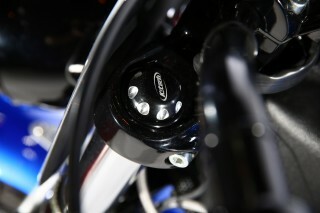 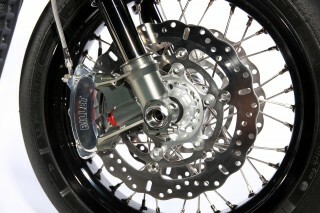 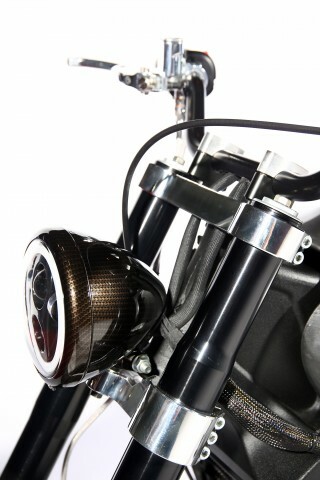 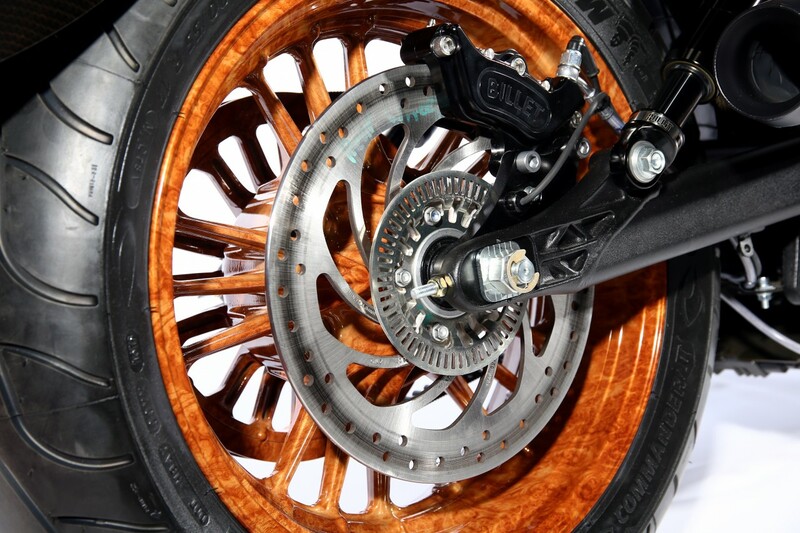 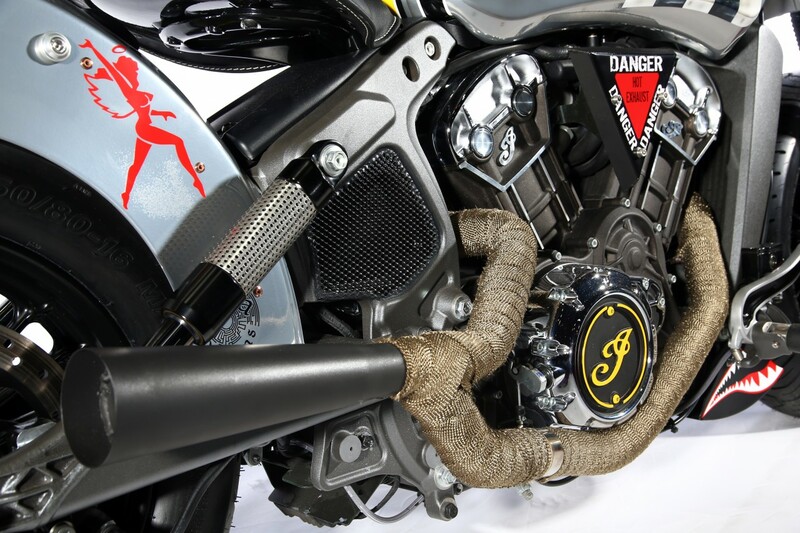 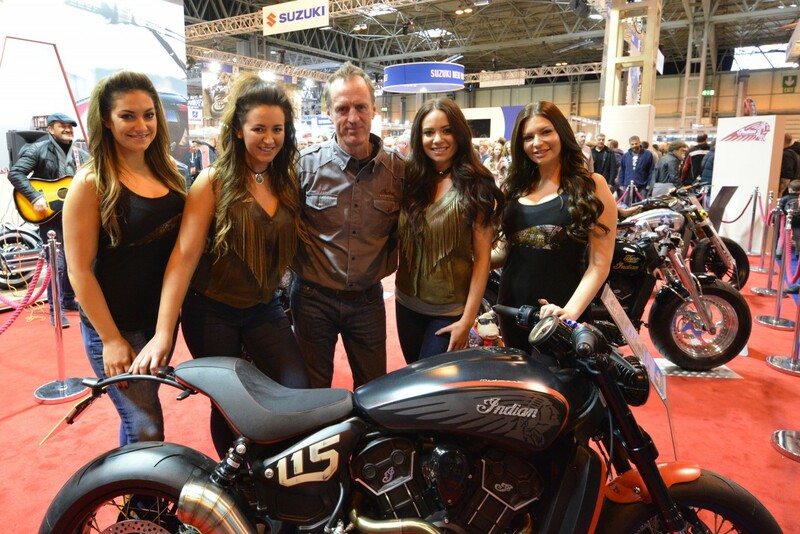 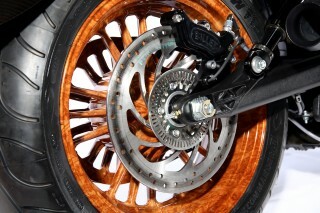 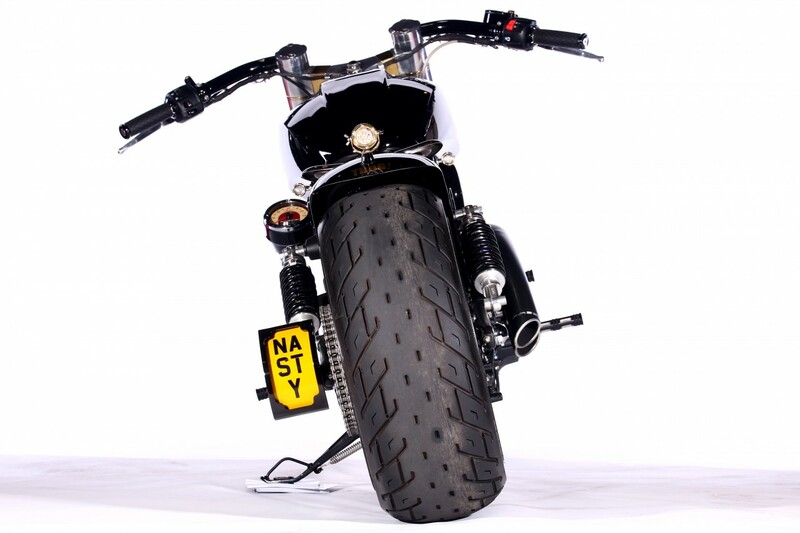 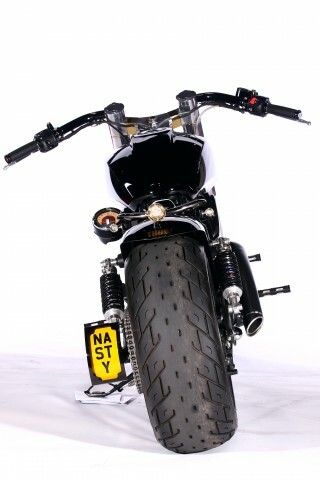 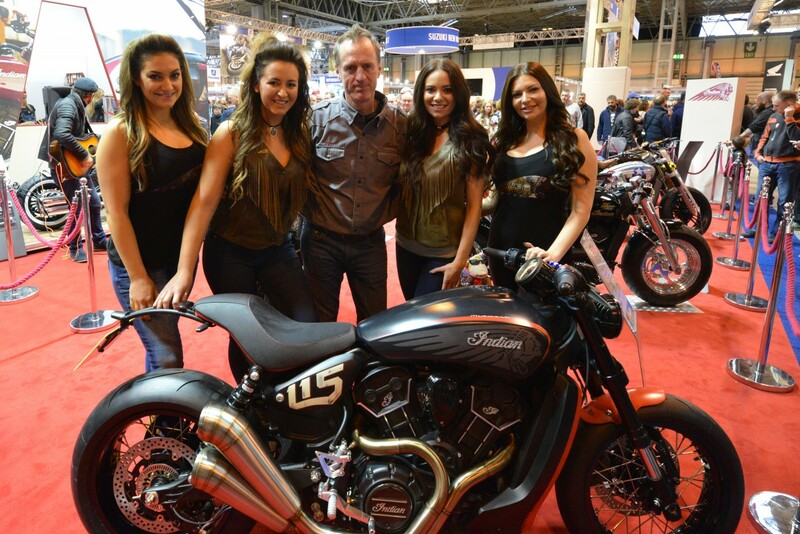 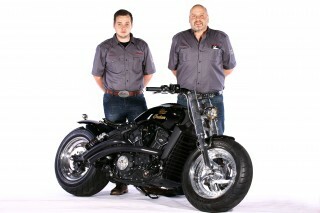 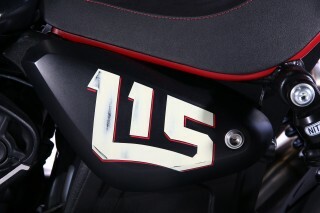 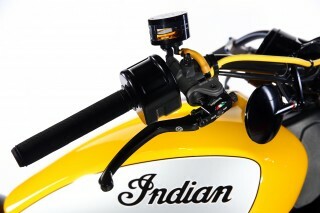 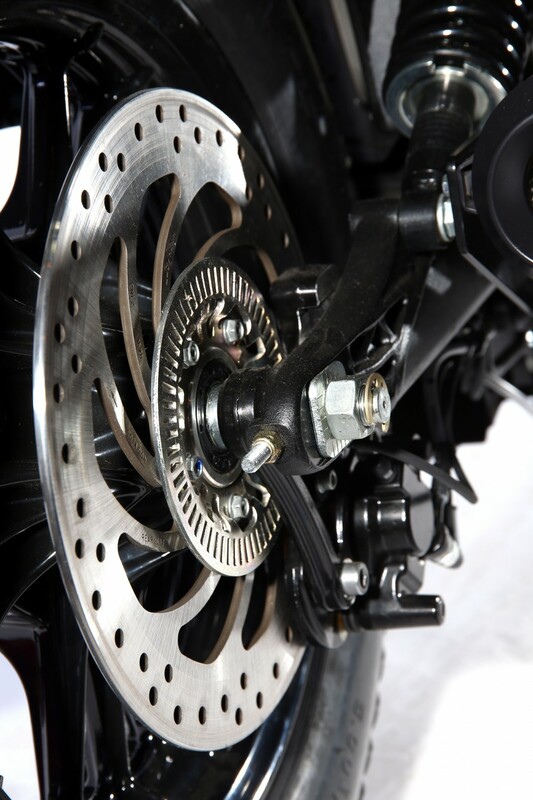 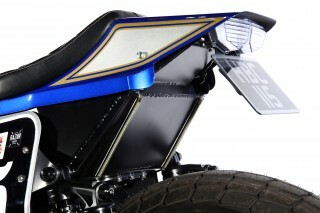 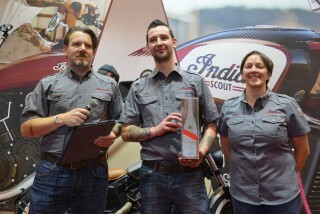 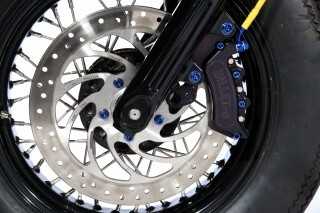 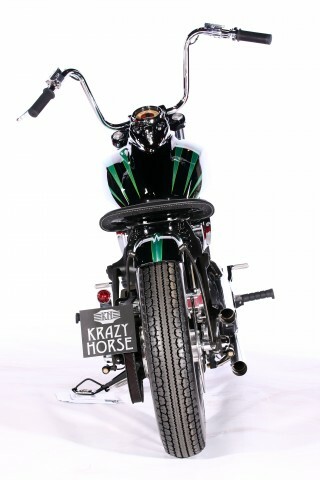 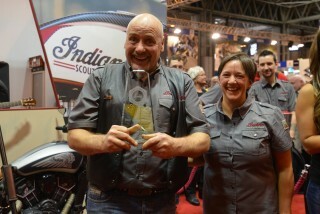 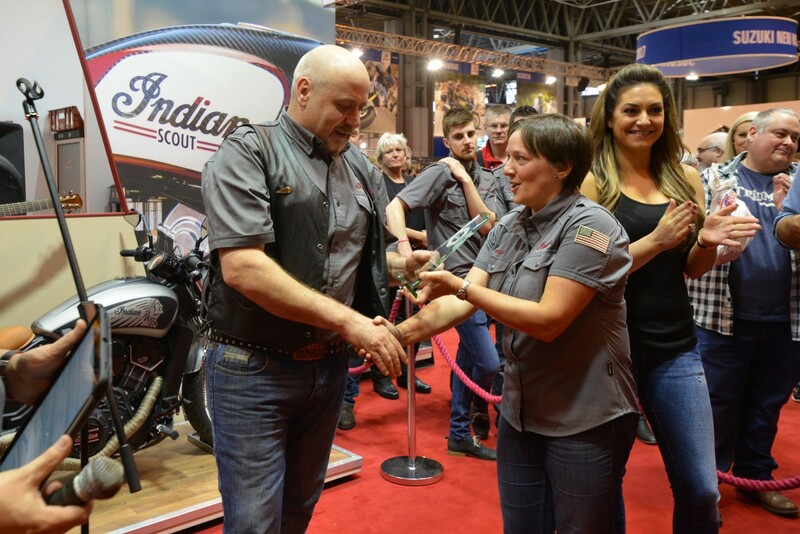 THUG captivates visitors at Motorcycle Live, winning the public vote to be crowned Project Scout UK Champion. 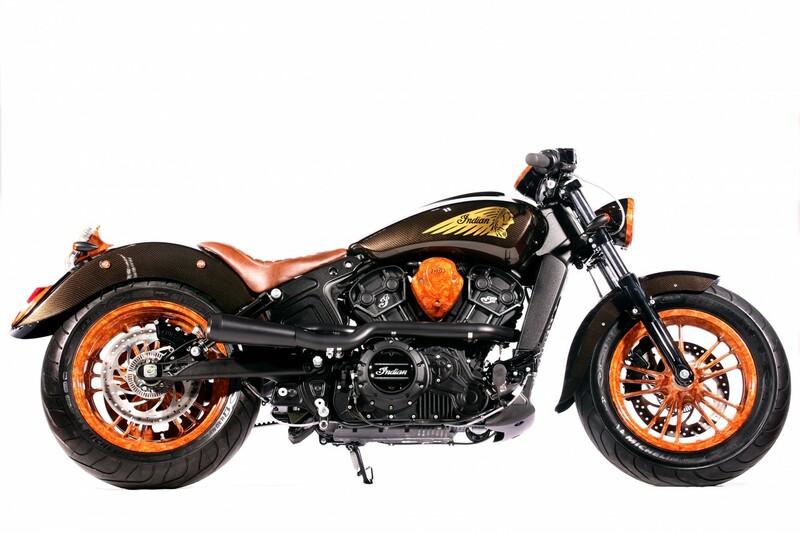 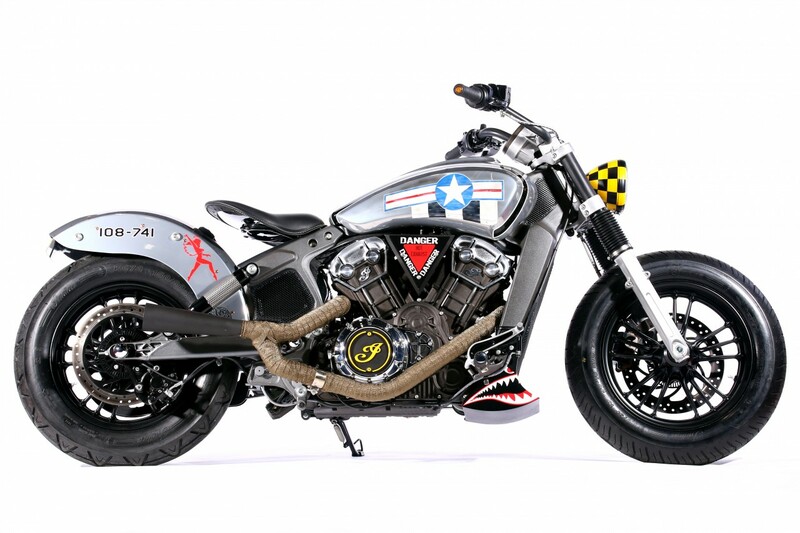 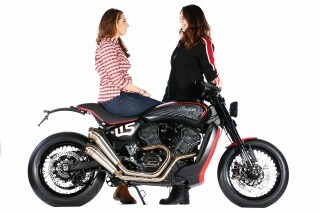 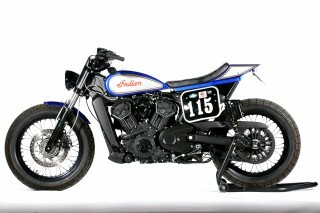 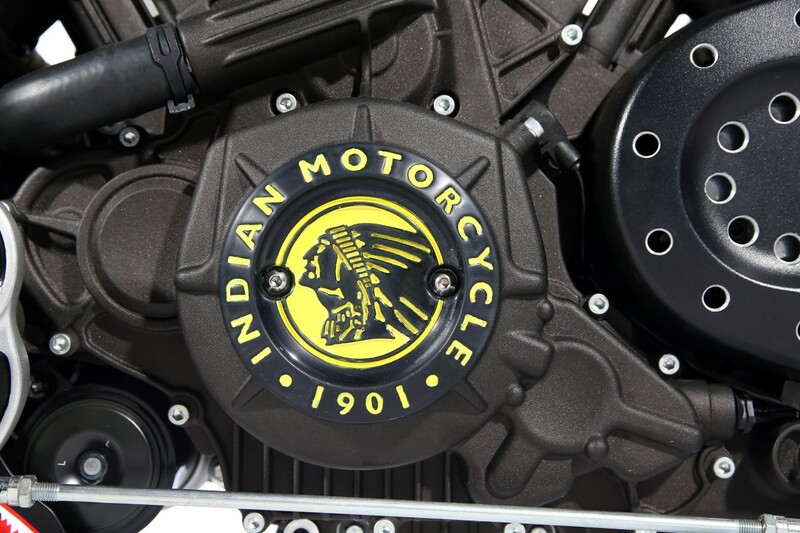 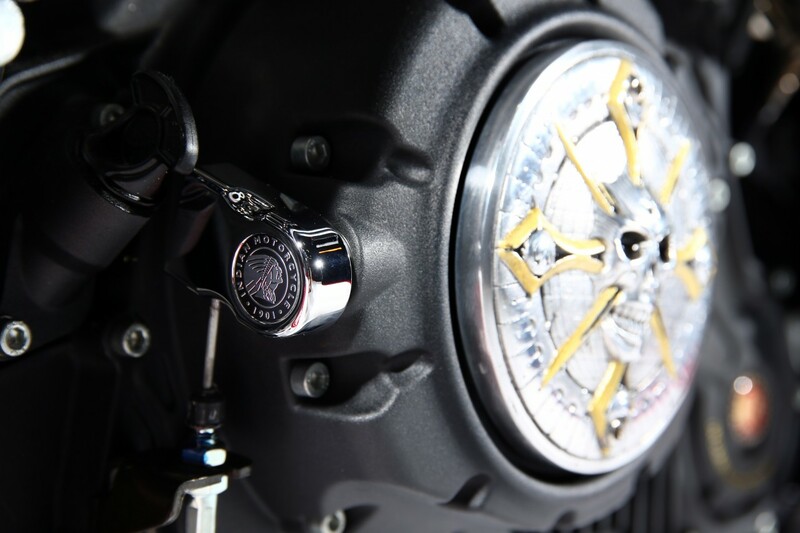 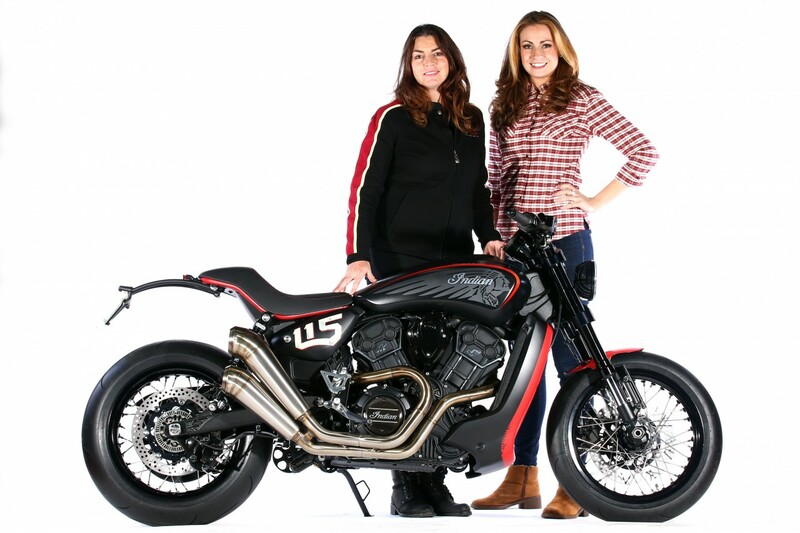 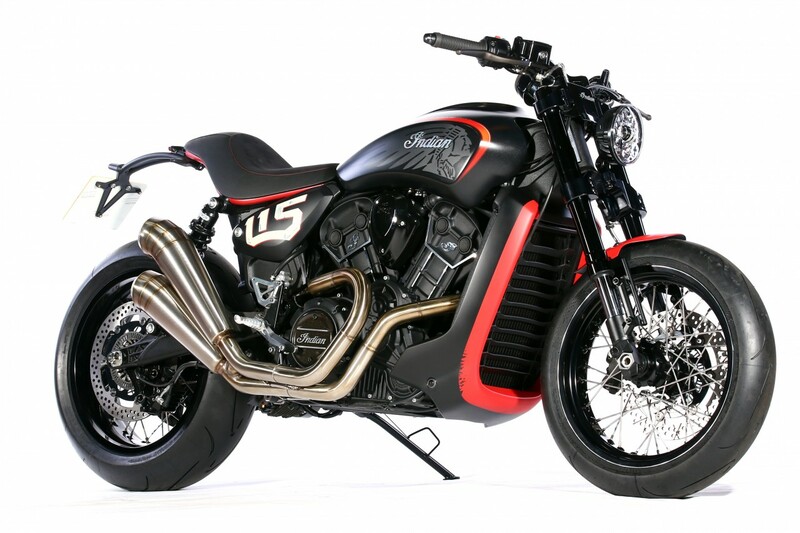 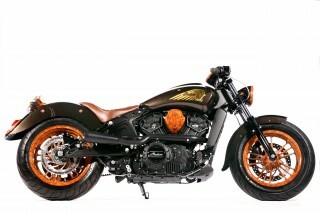 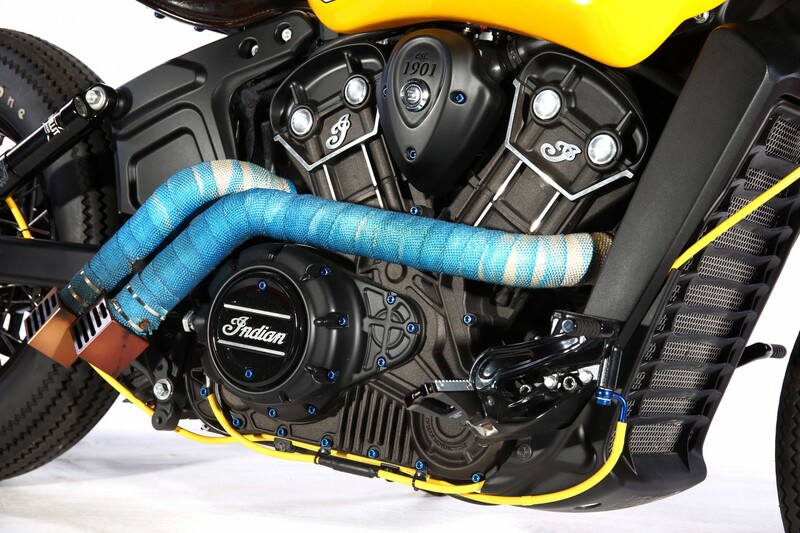 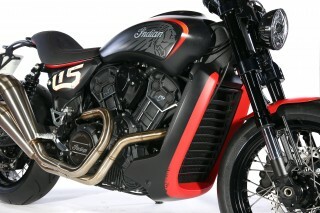 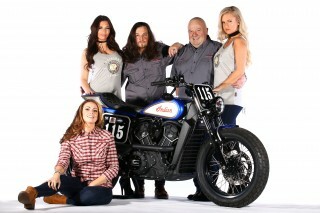 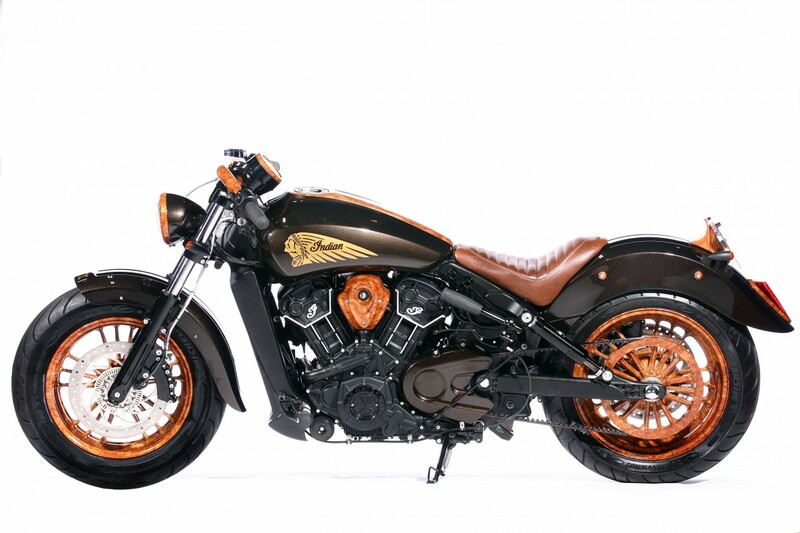 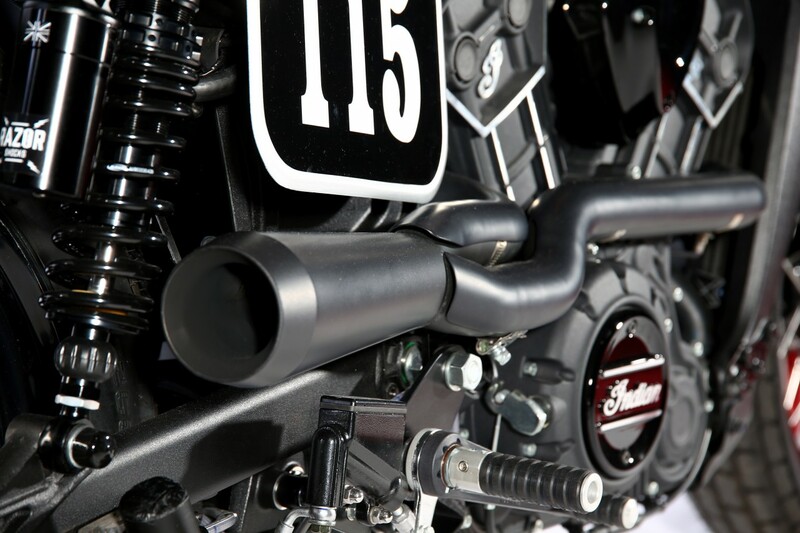 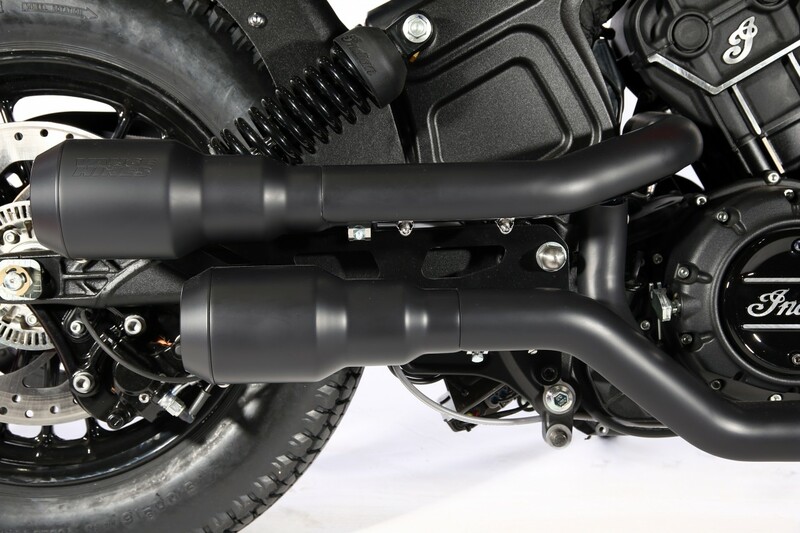 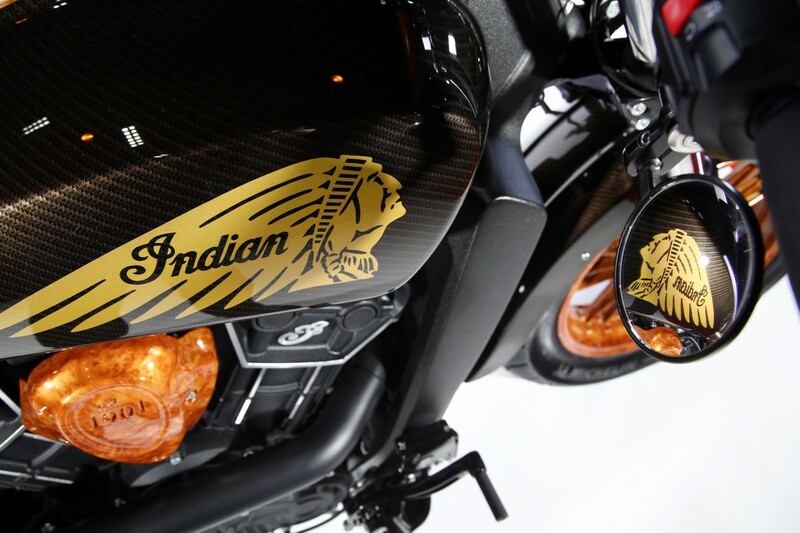 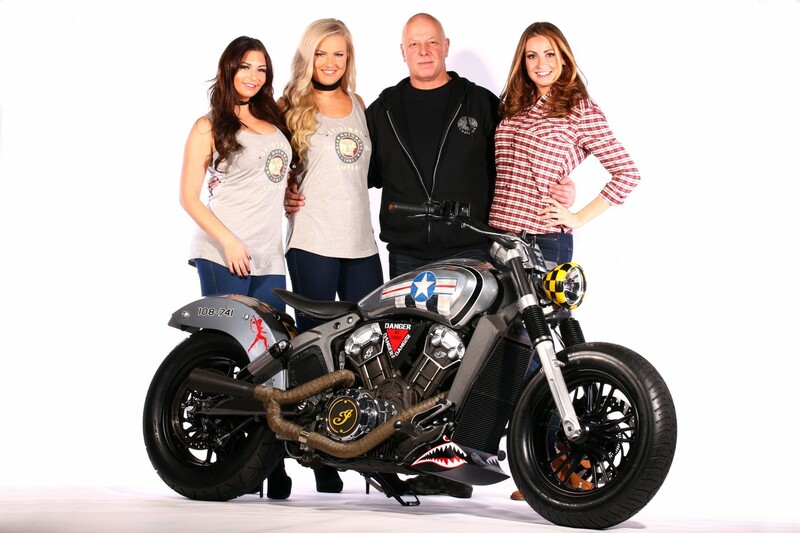 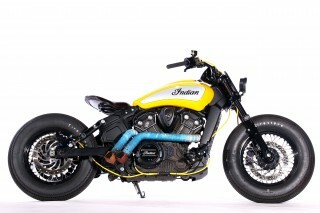 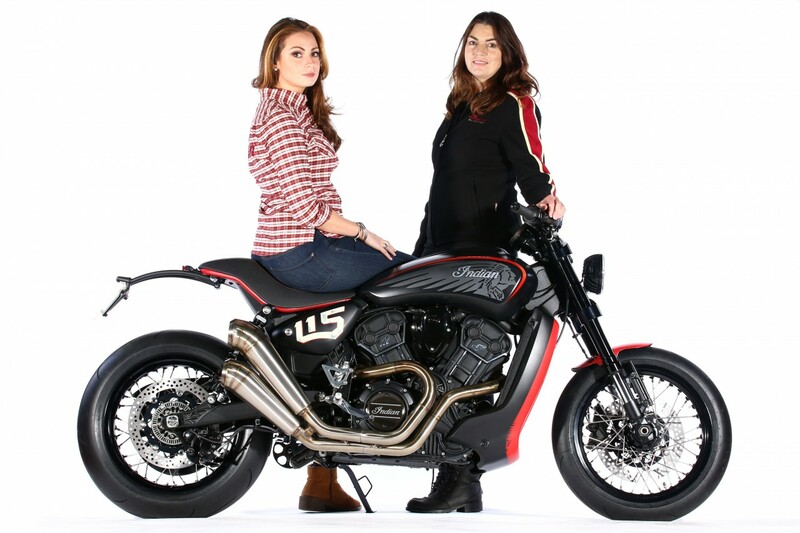 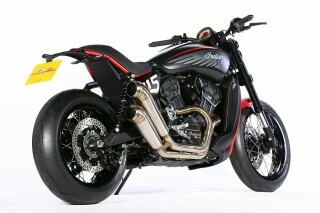 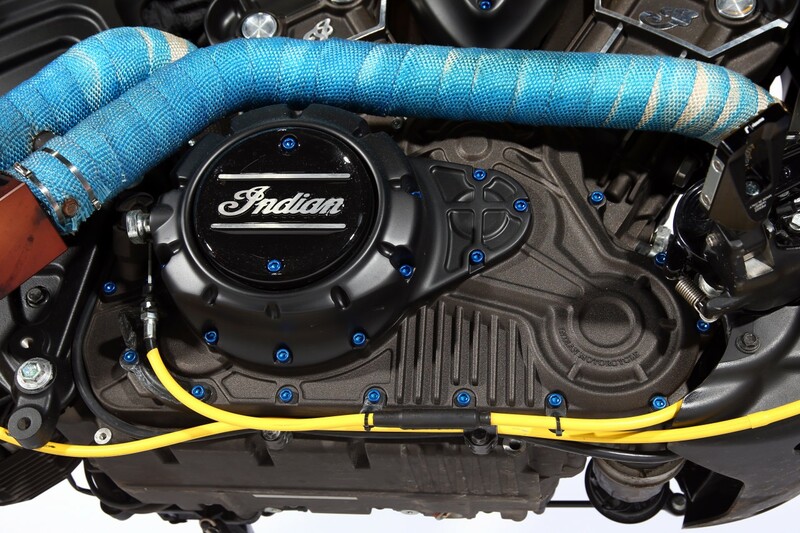 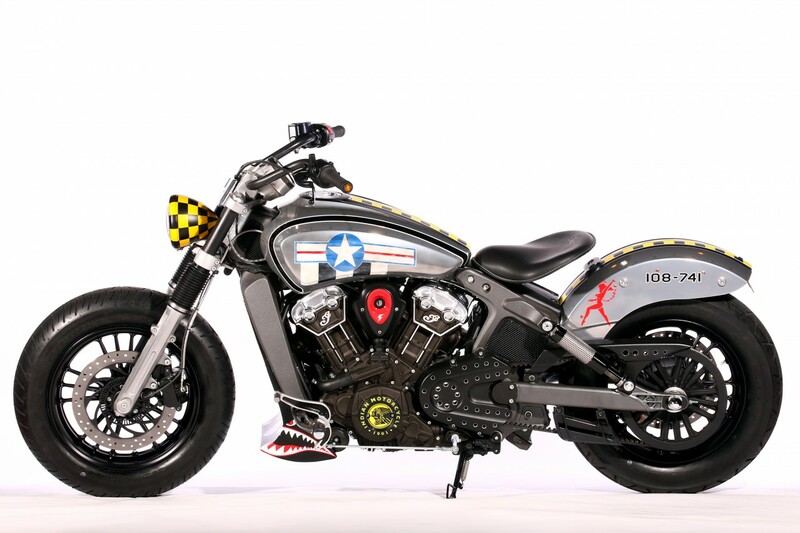 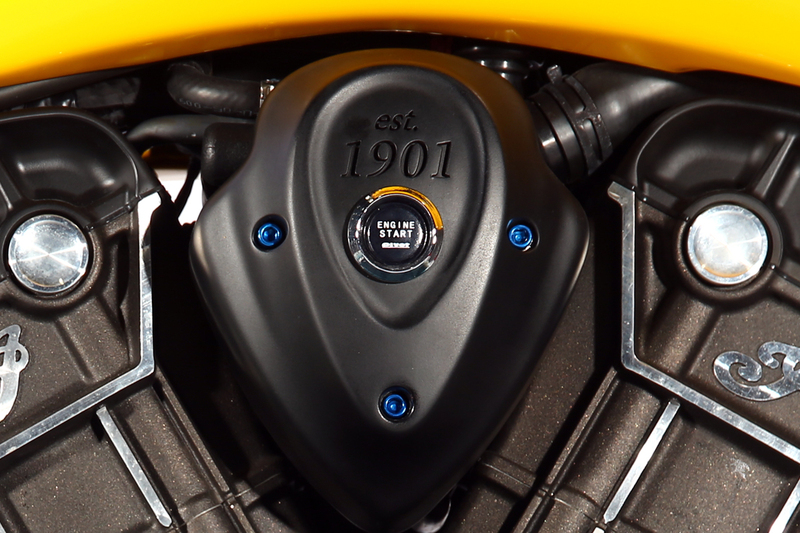 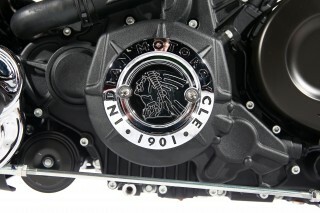 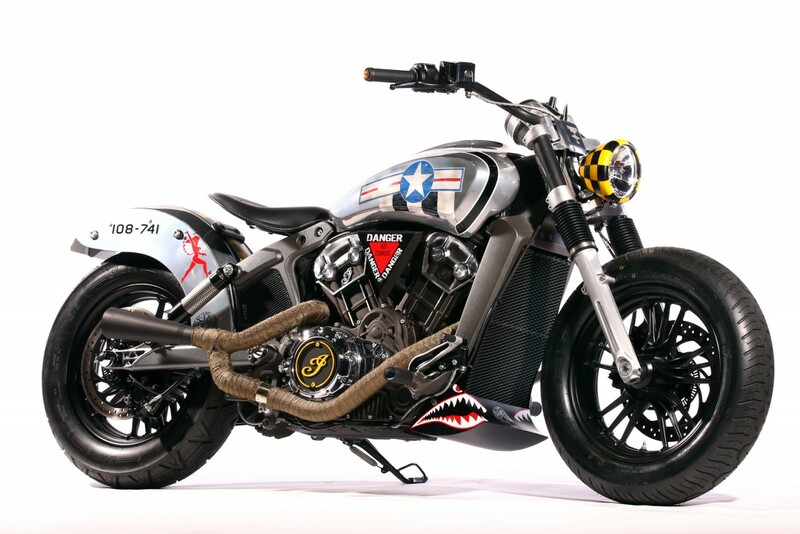 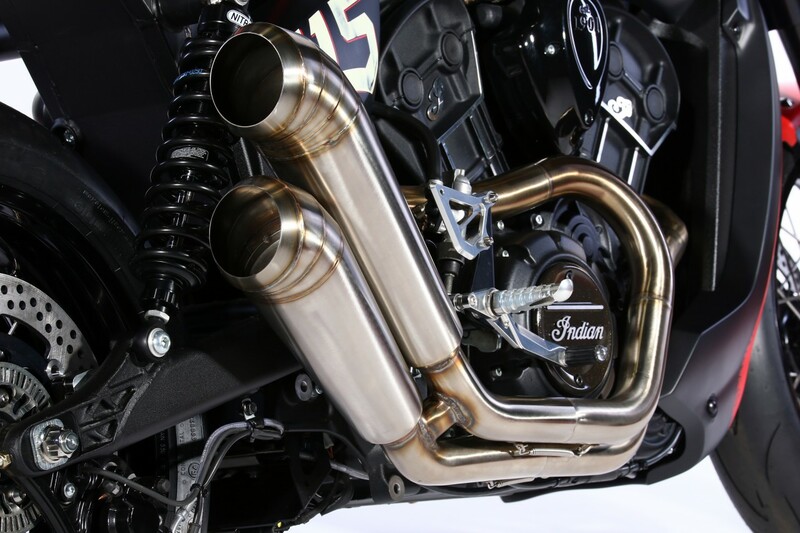 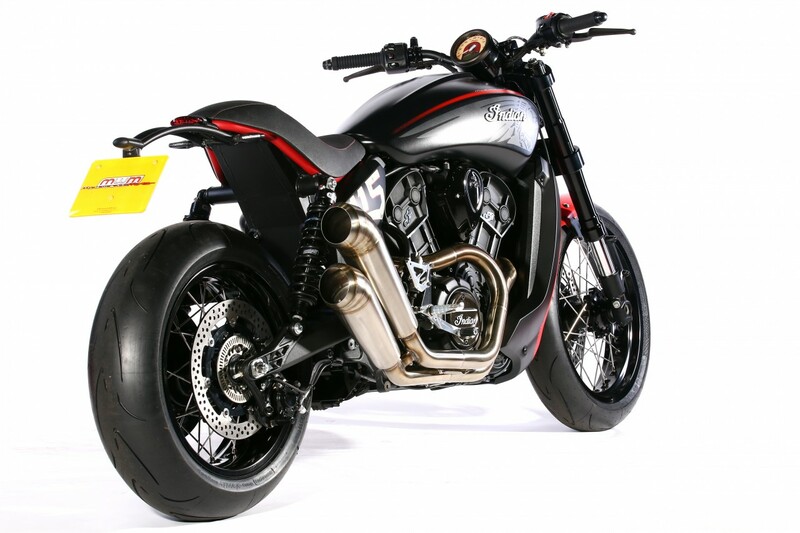 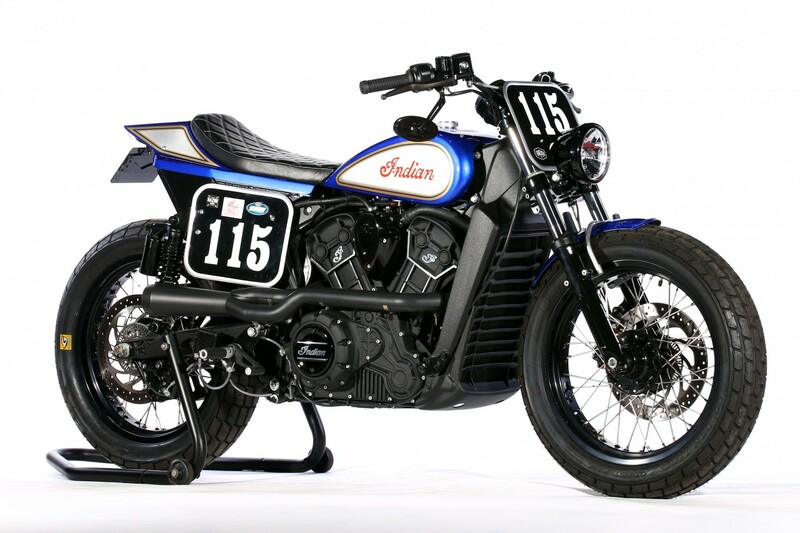 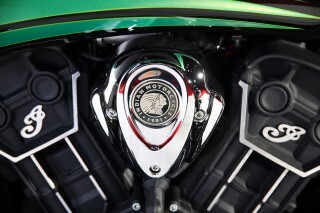 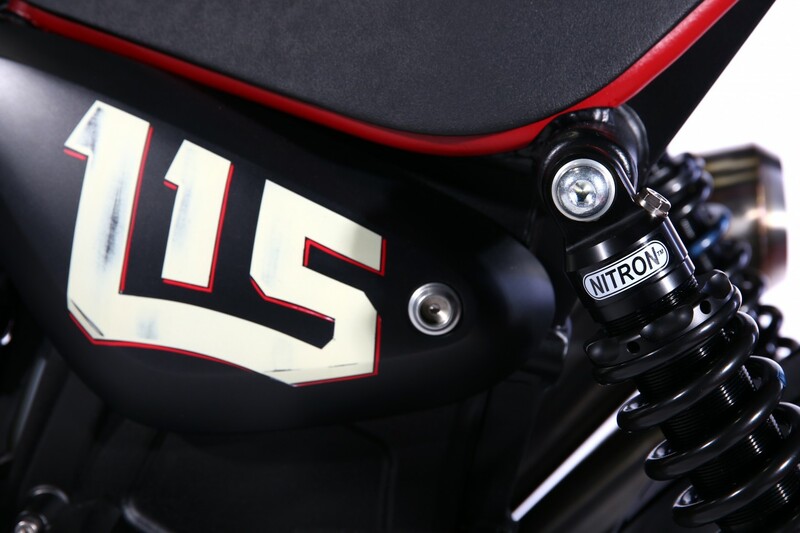 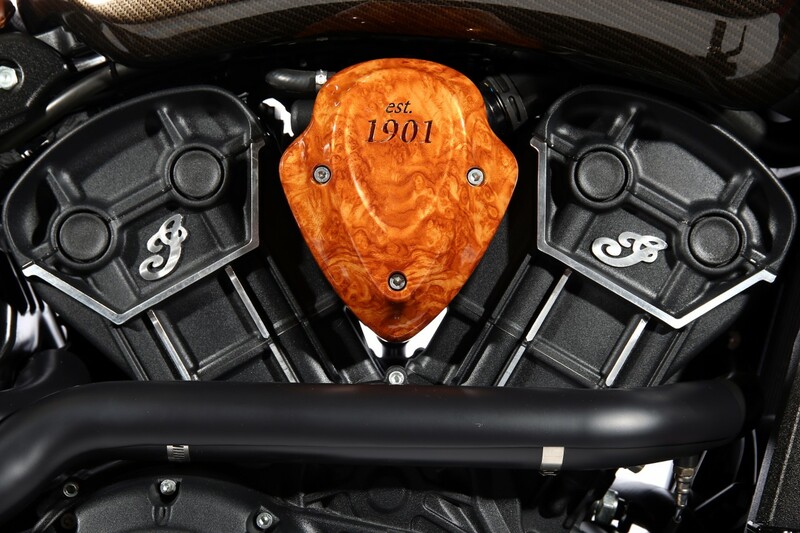 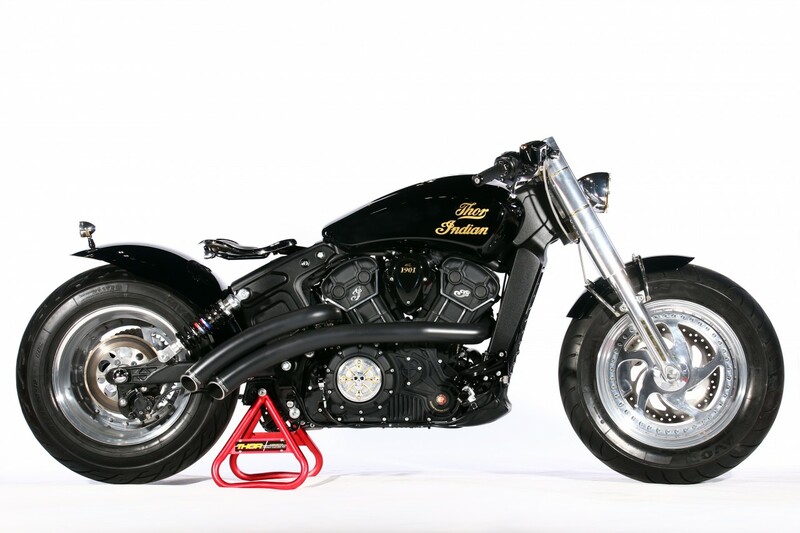 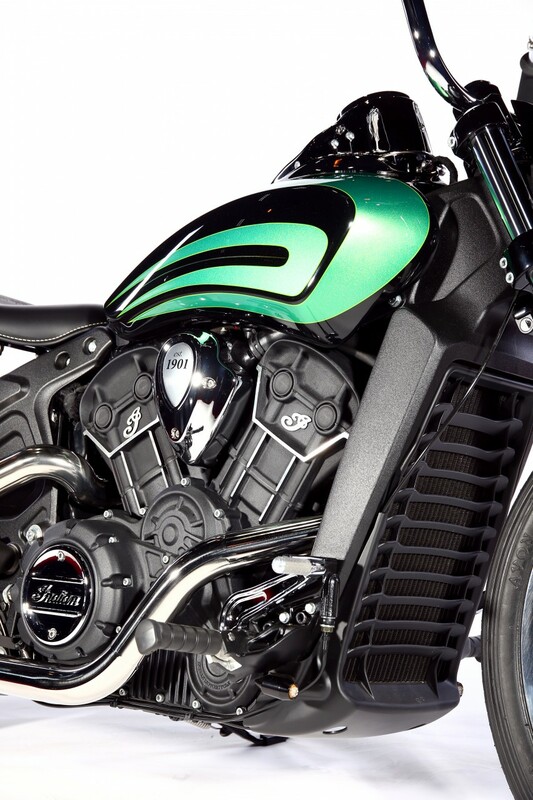 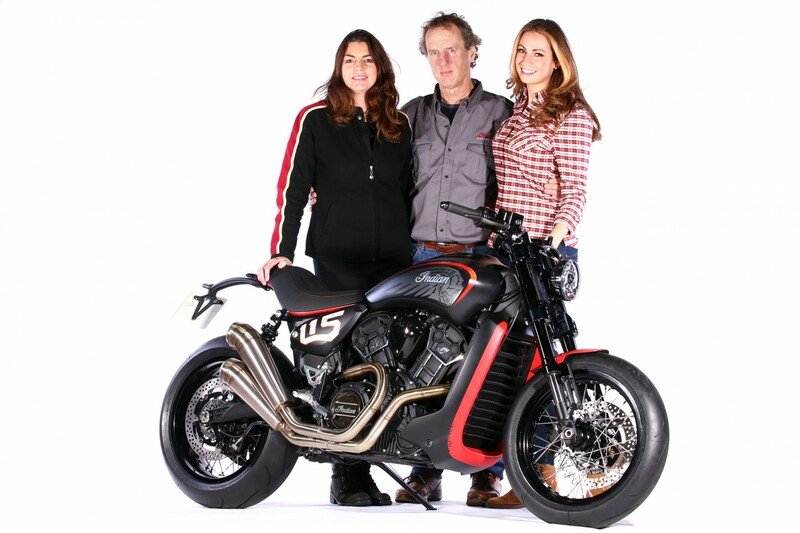 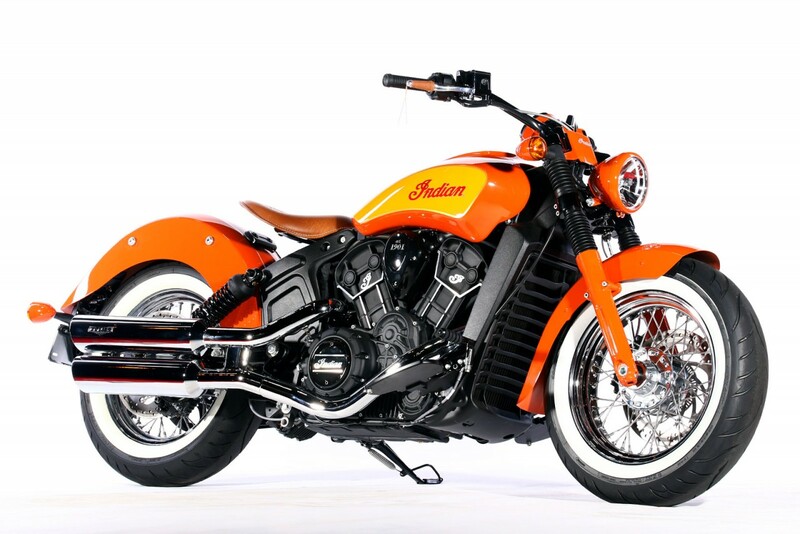 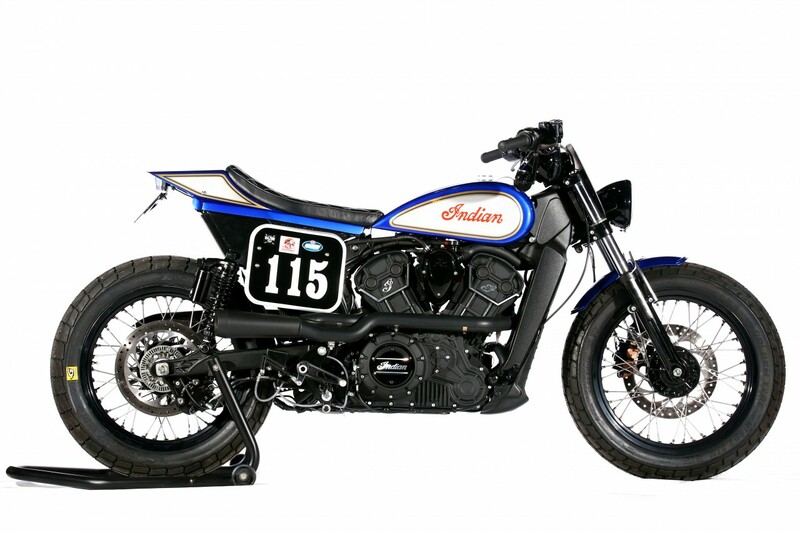 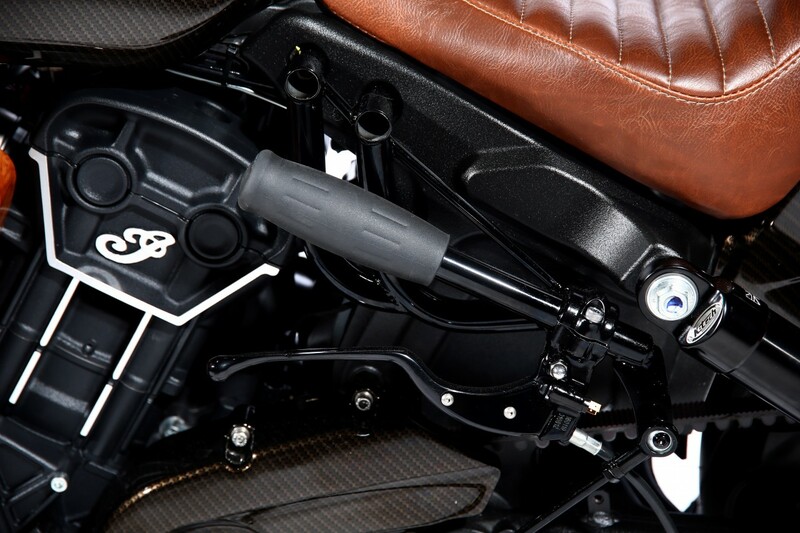 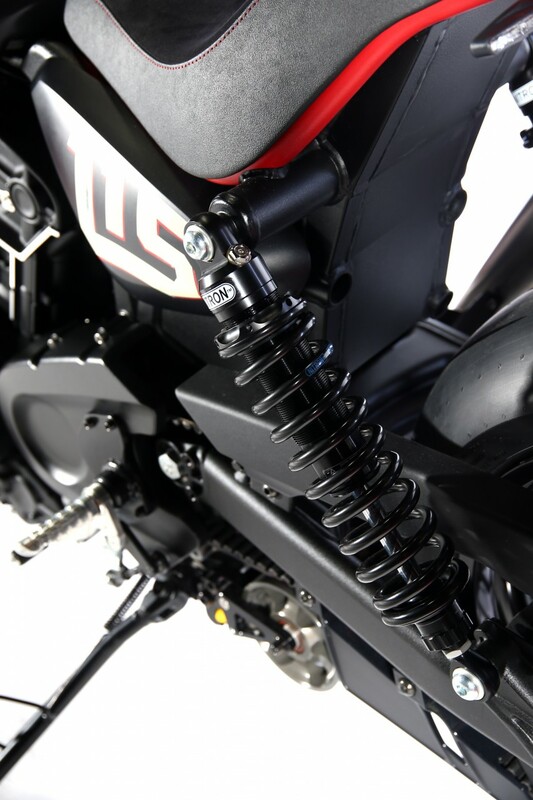 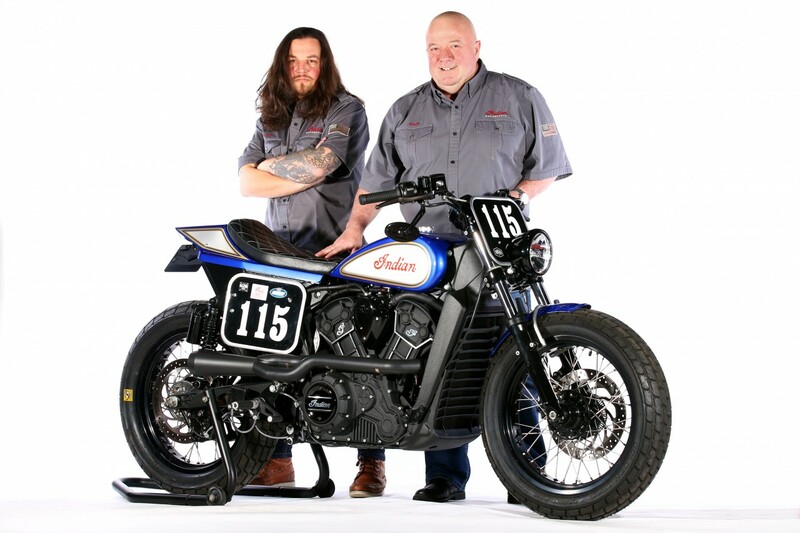 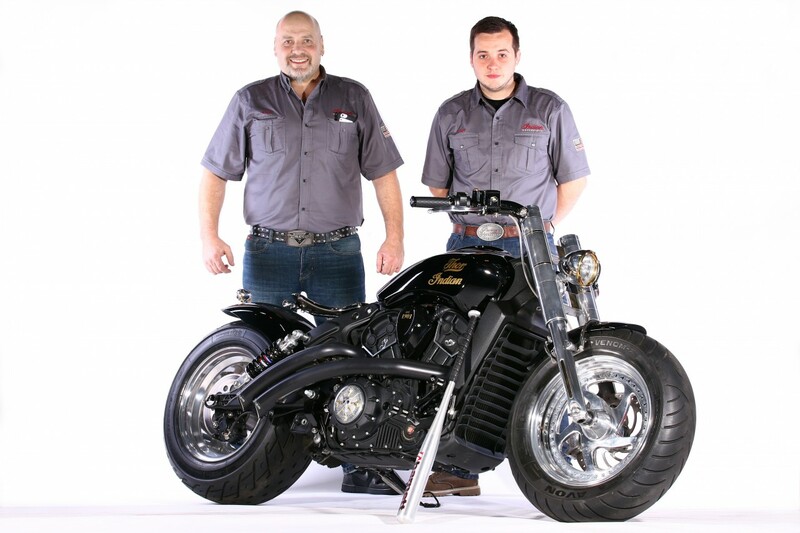 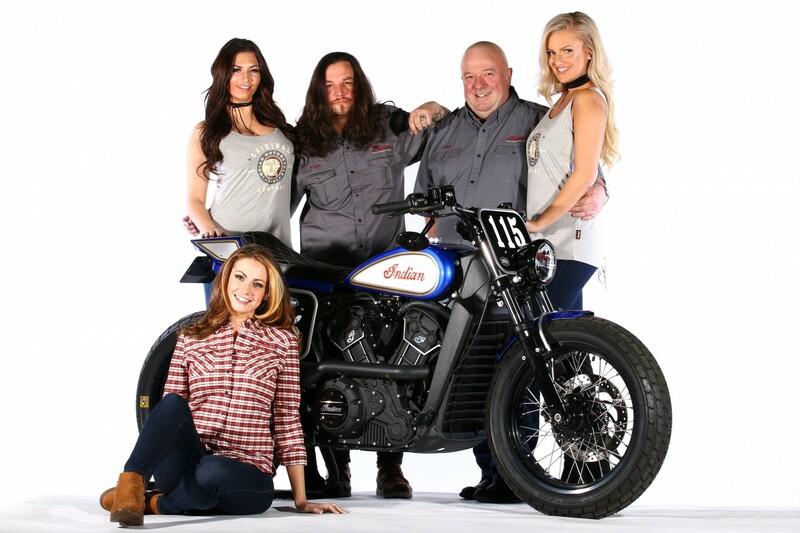 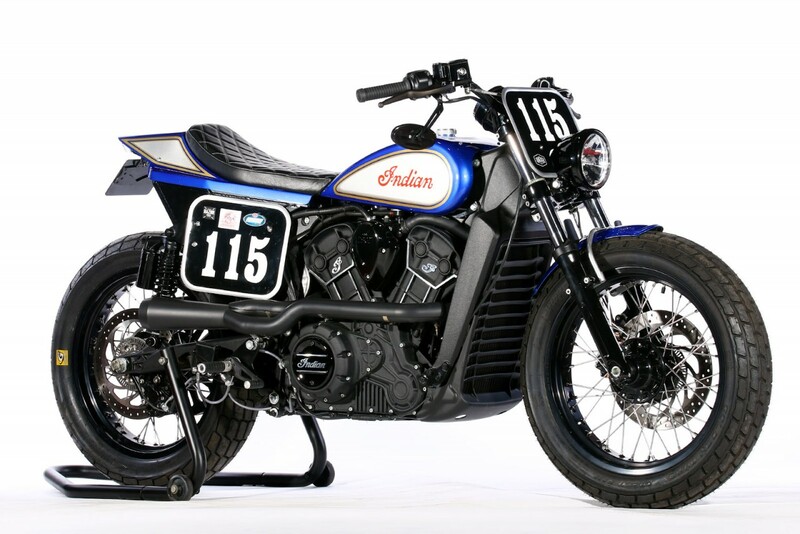 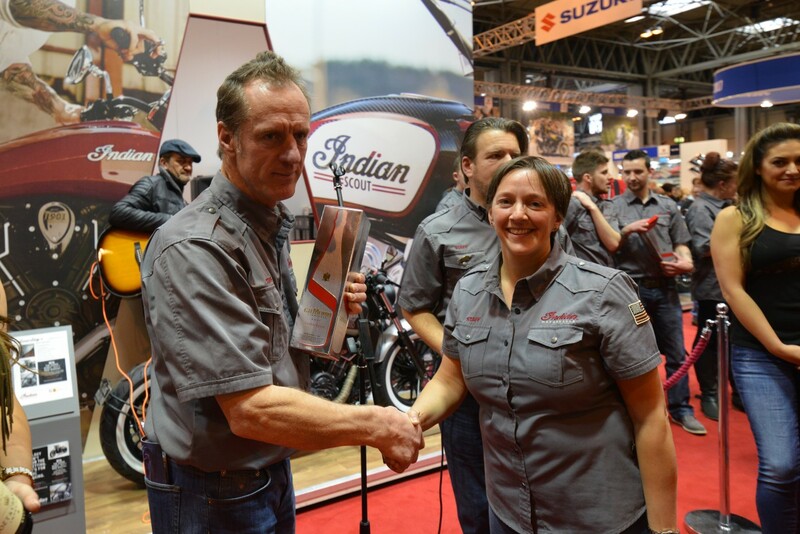 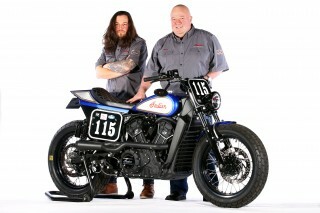 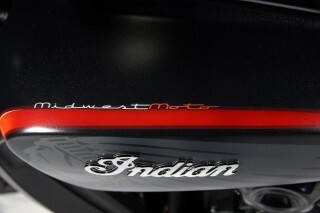 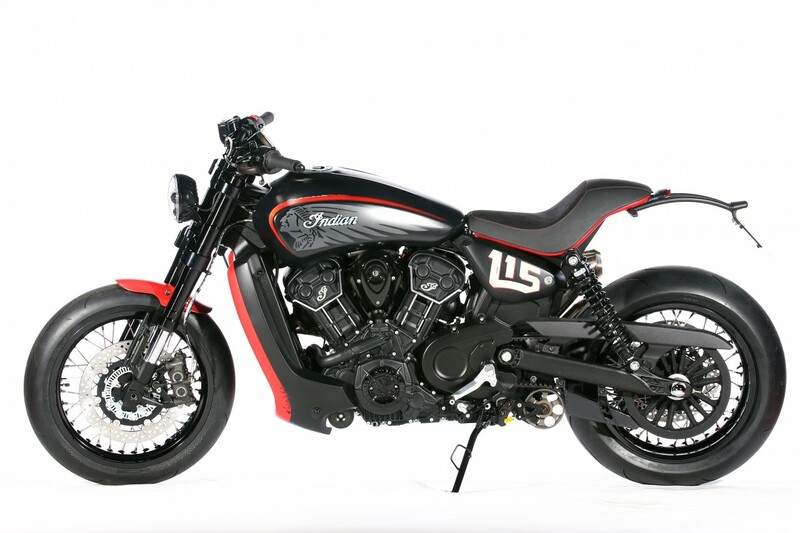 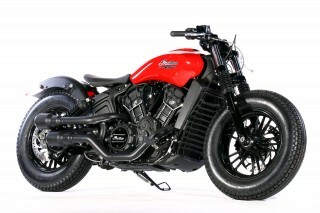 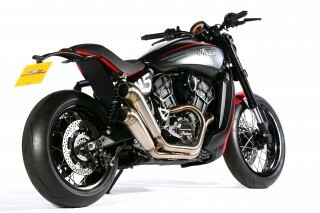 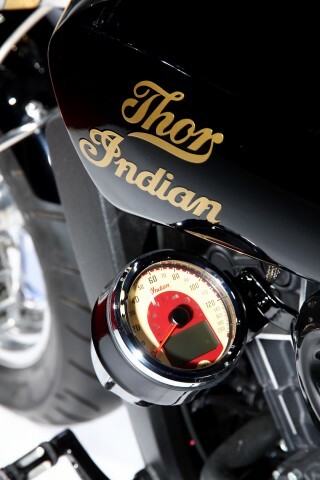 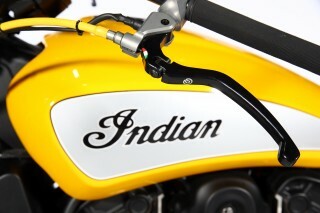 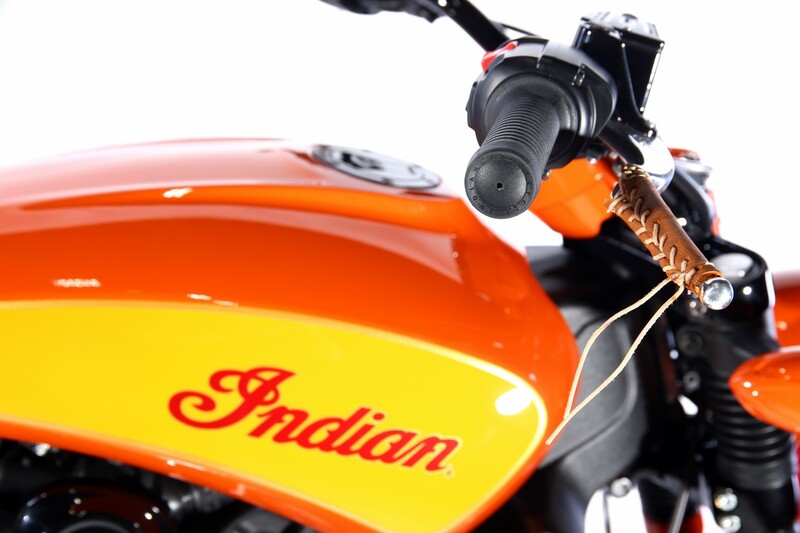 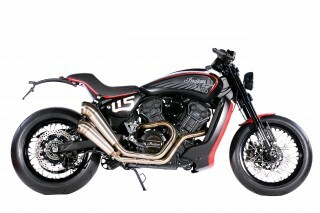 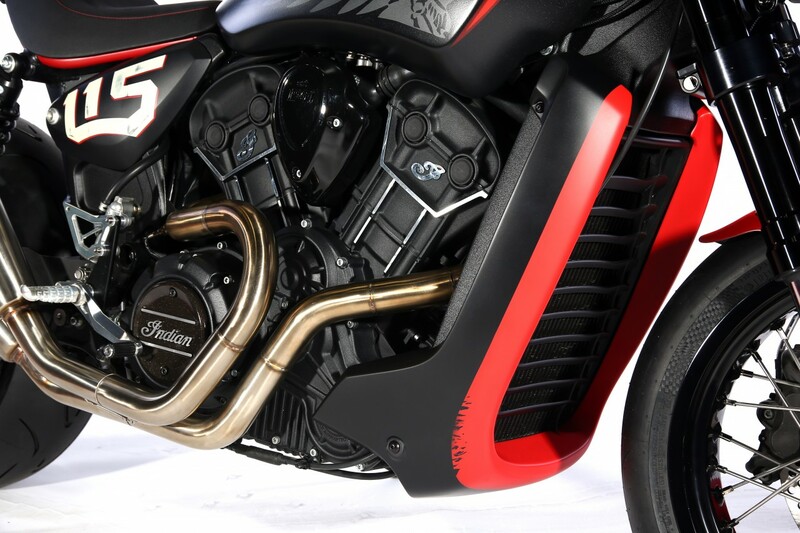 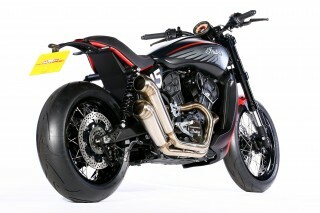 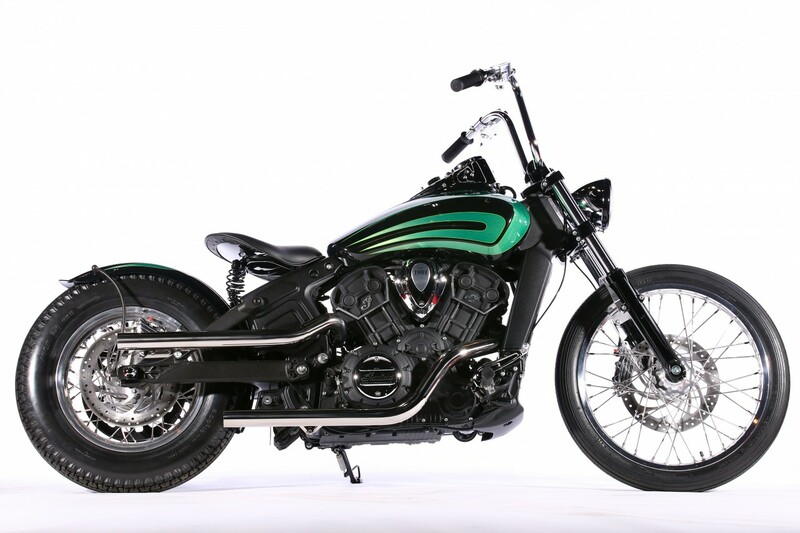 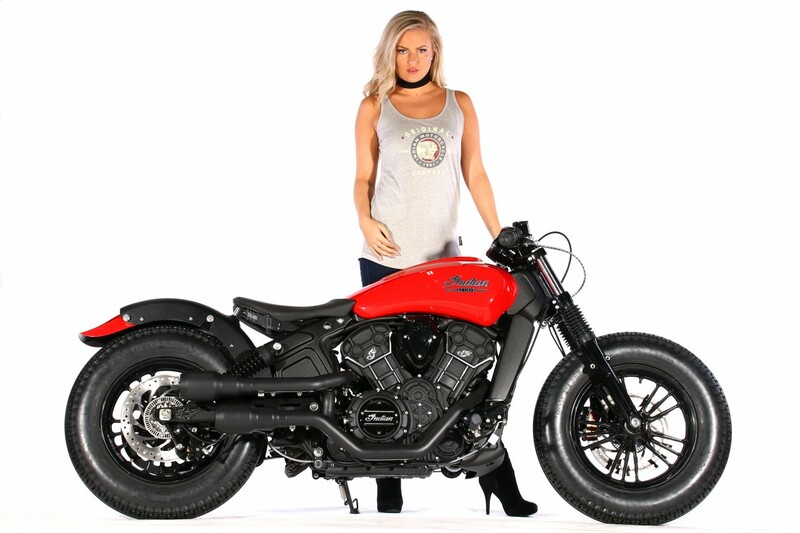 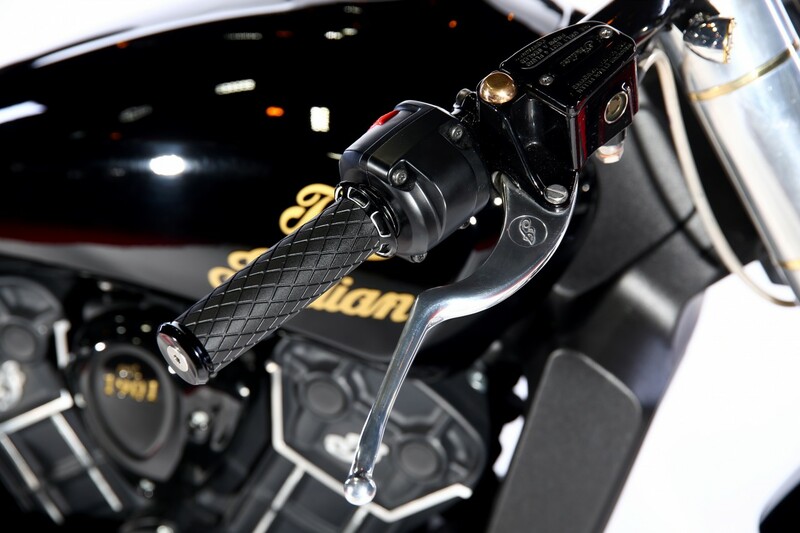 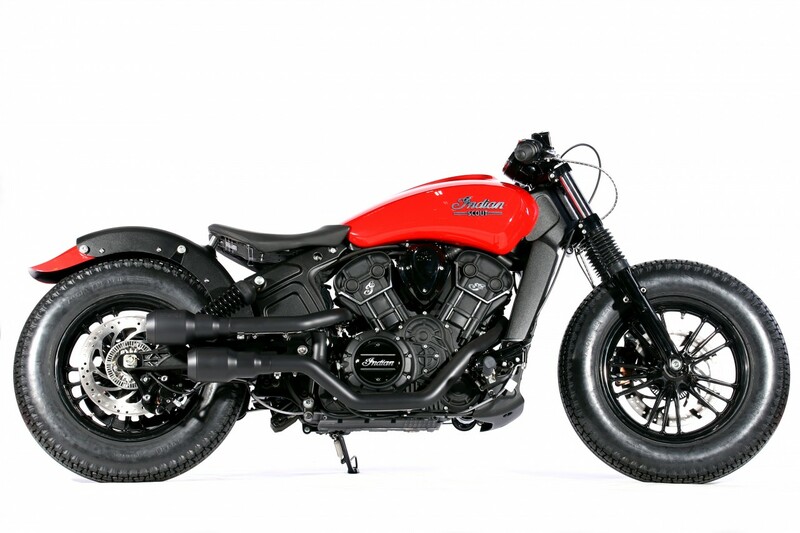 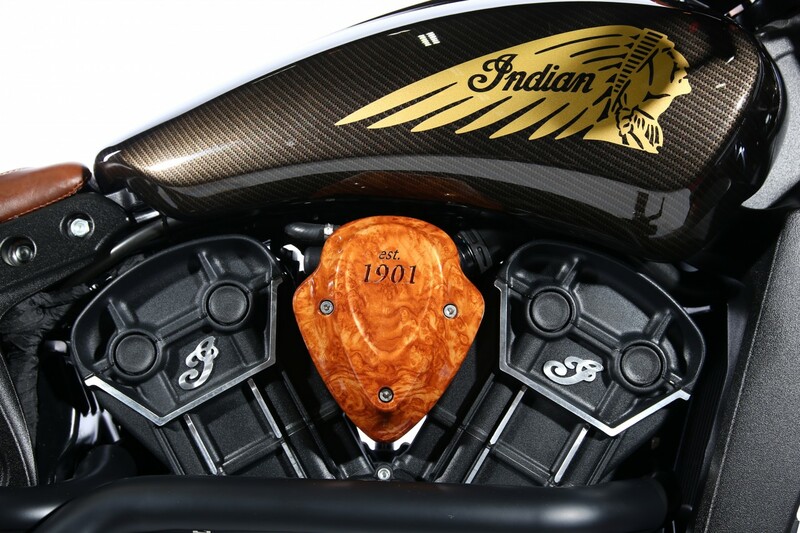 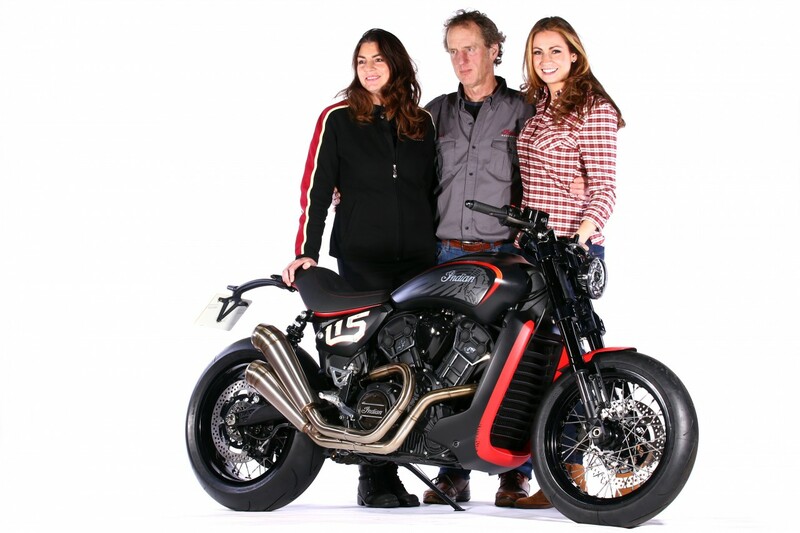 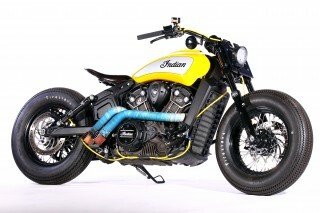 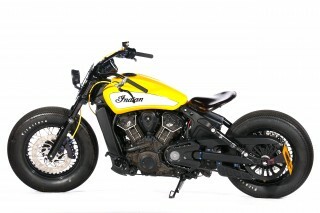 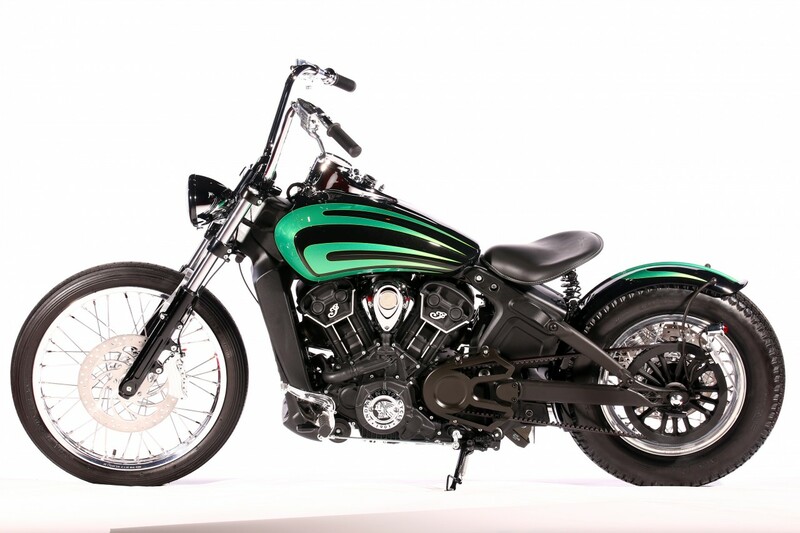 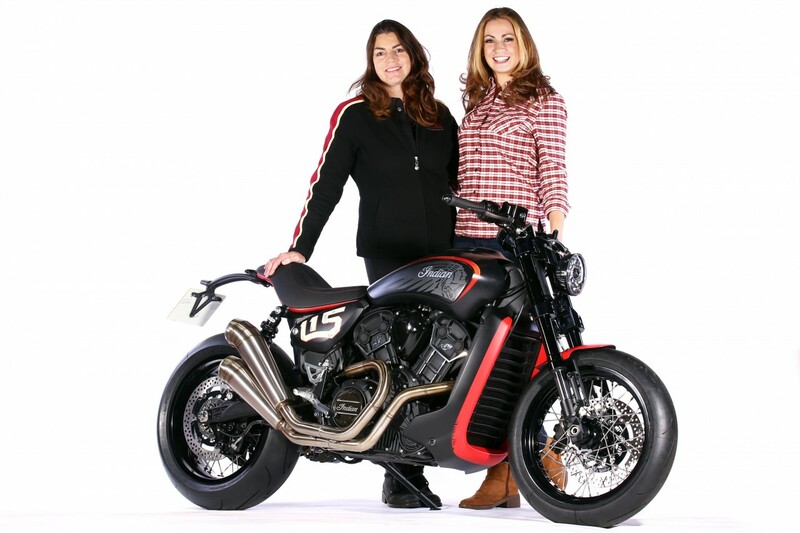 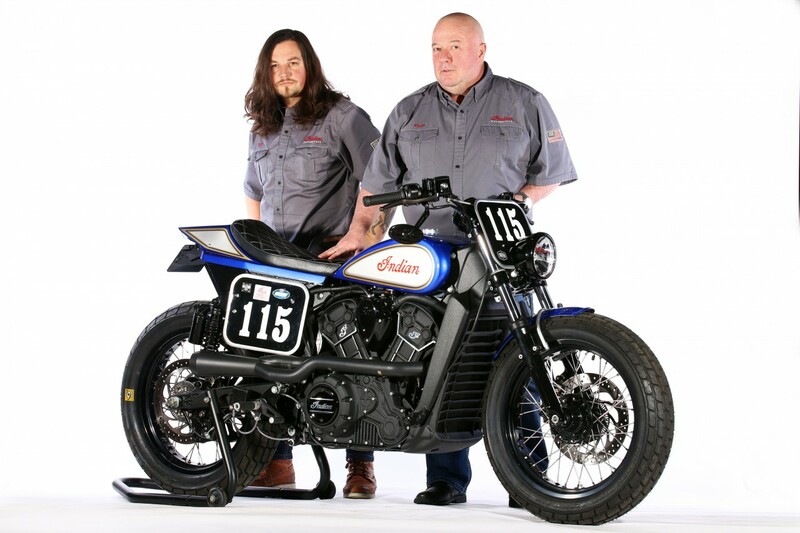 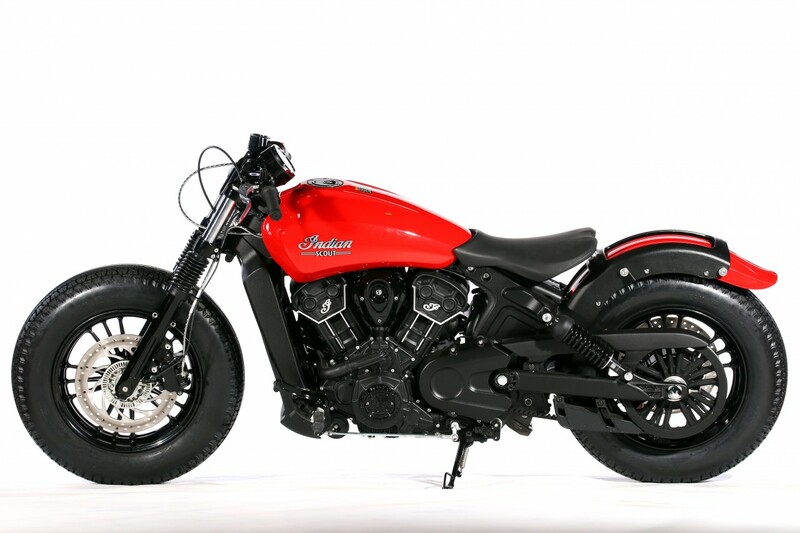 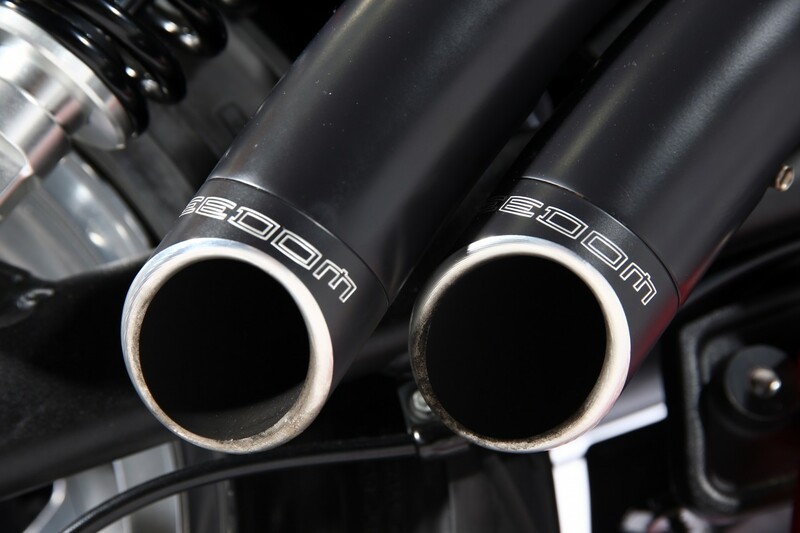 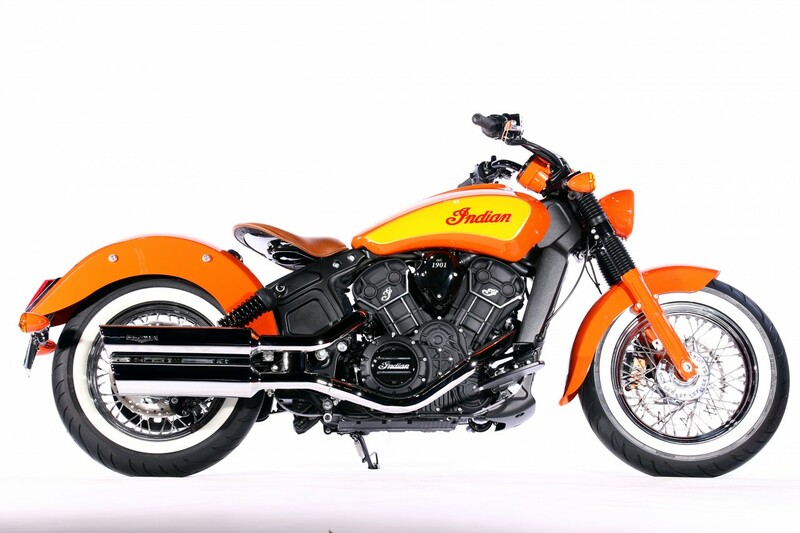 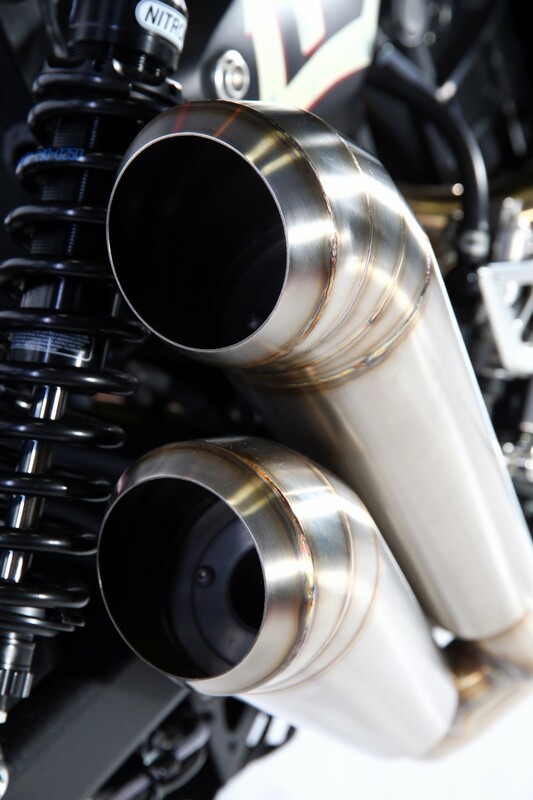 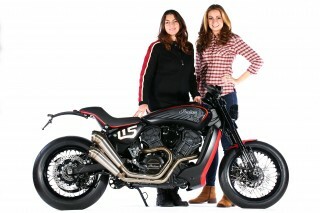 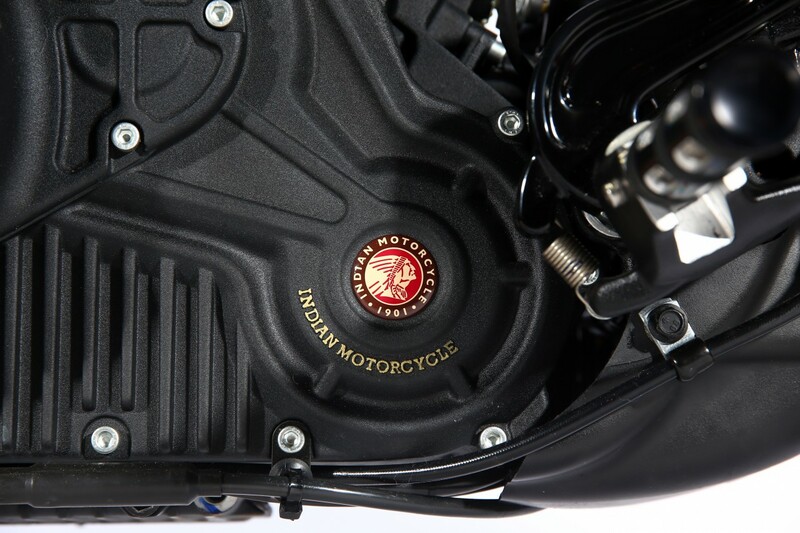 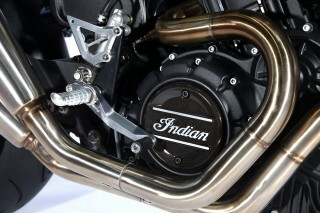 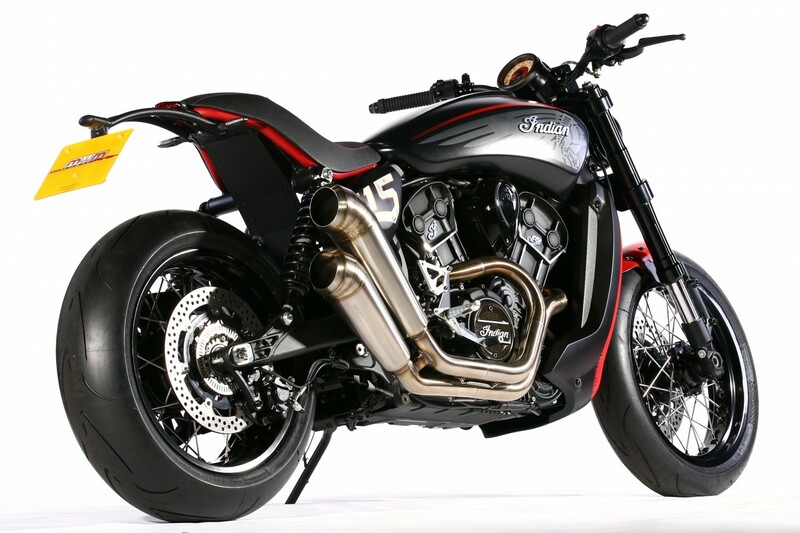 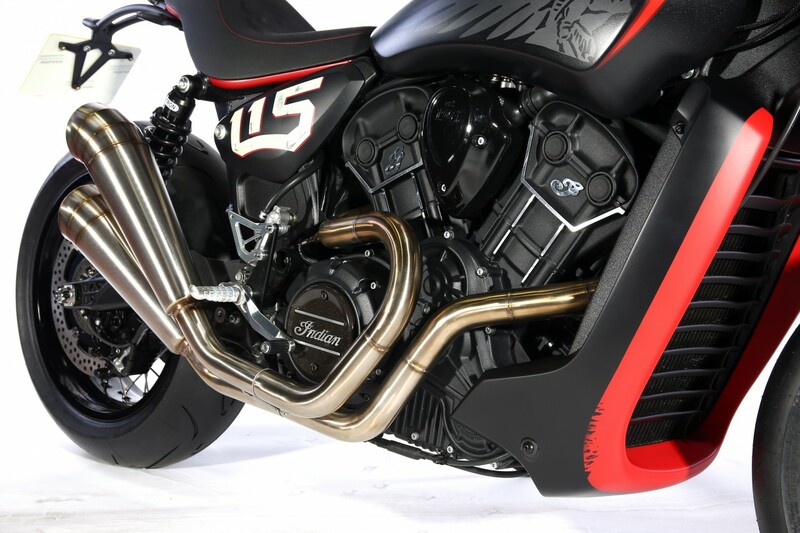 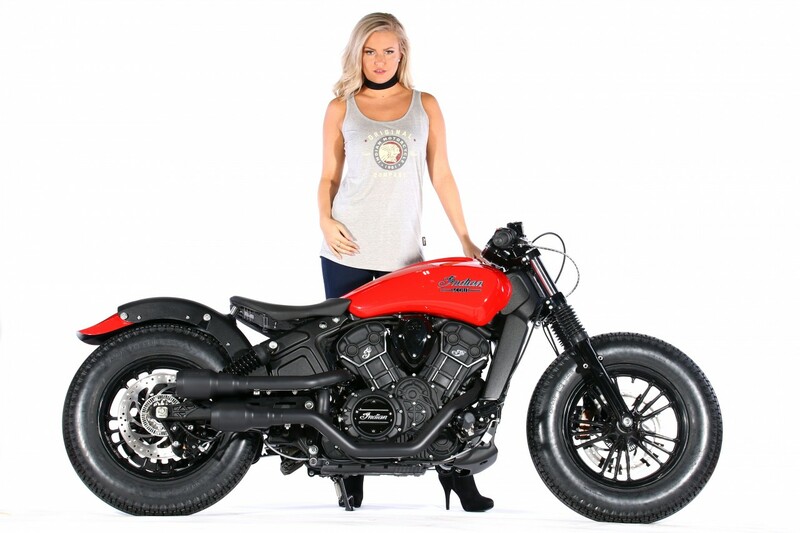 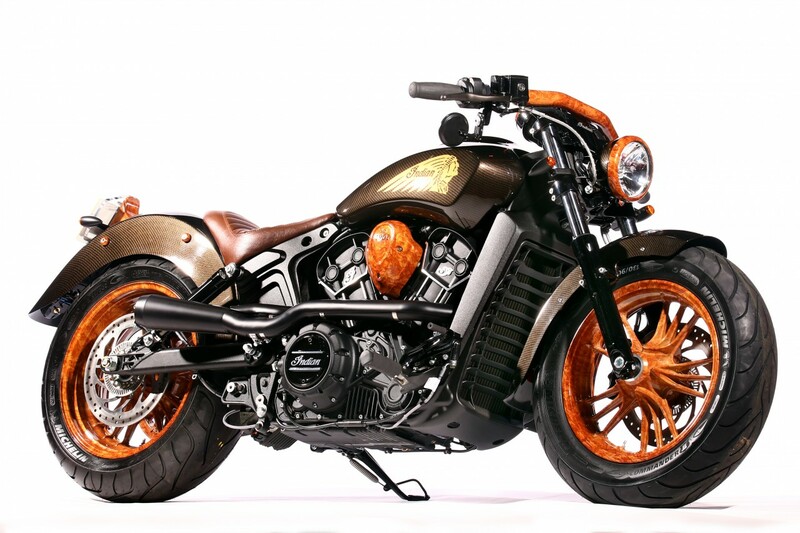 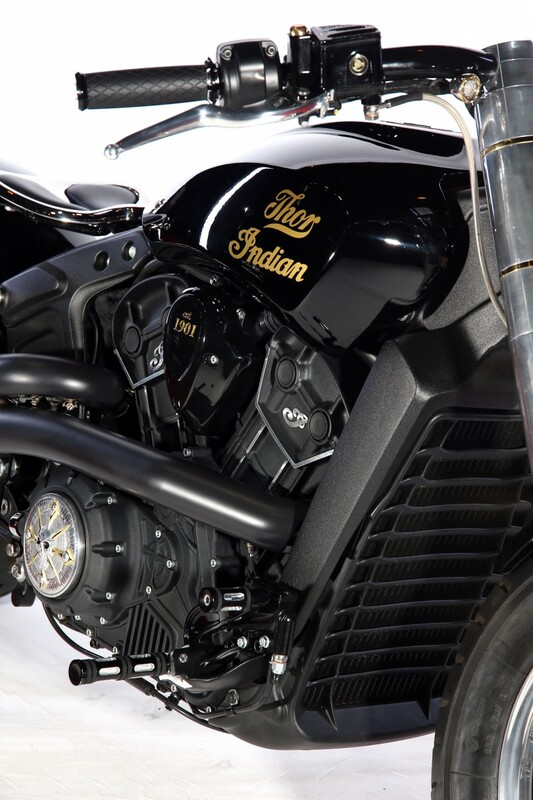 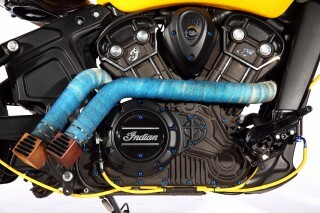 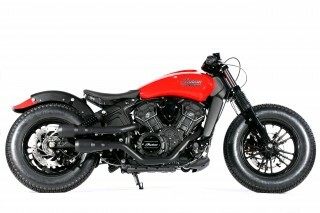 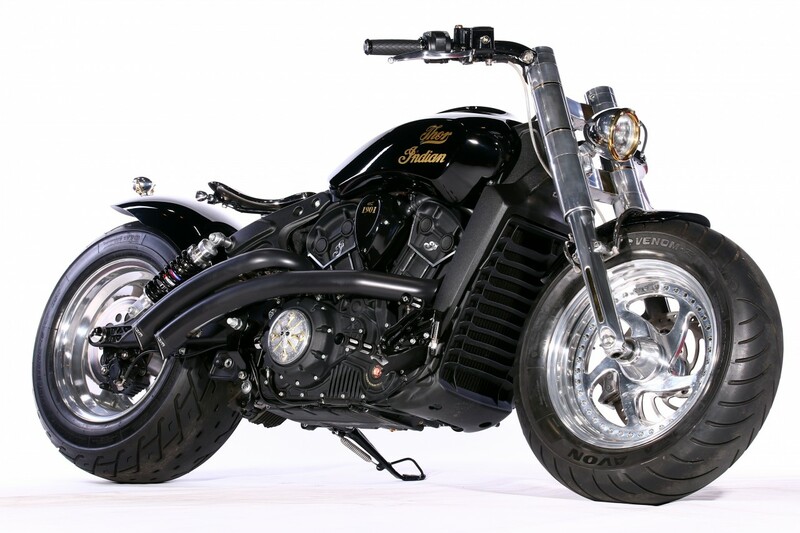 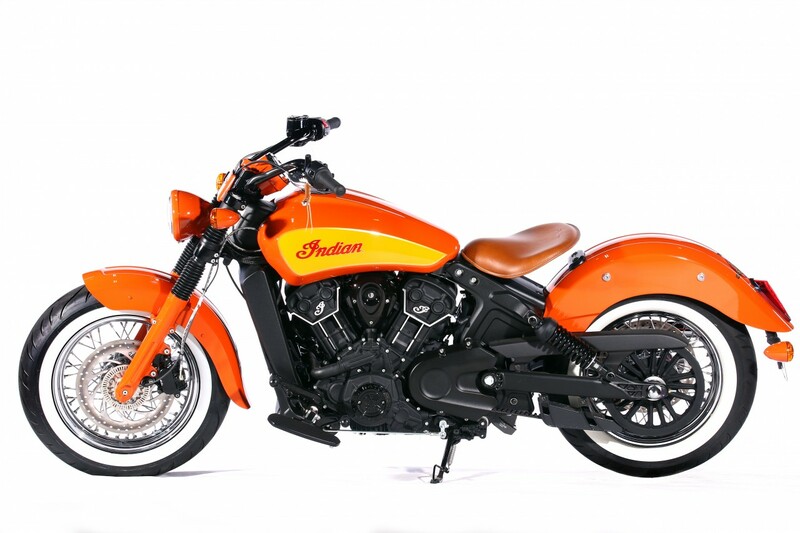 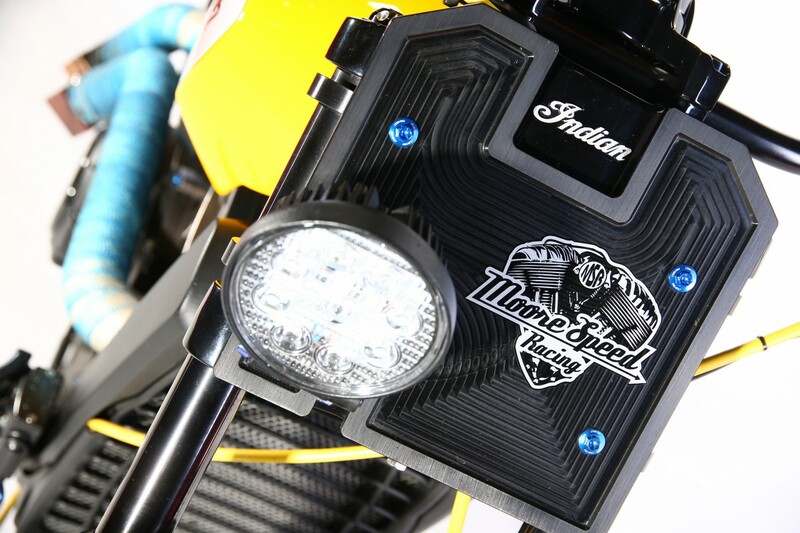 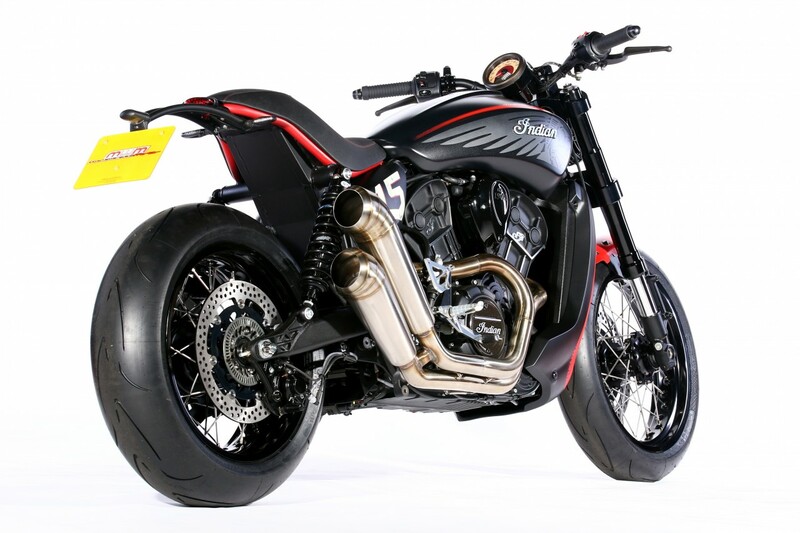 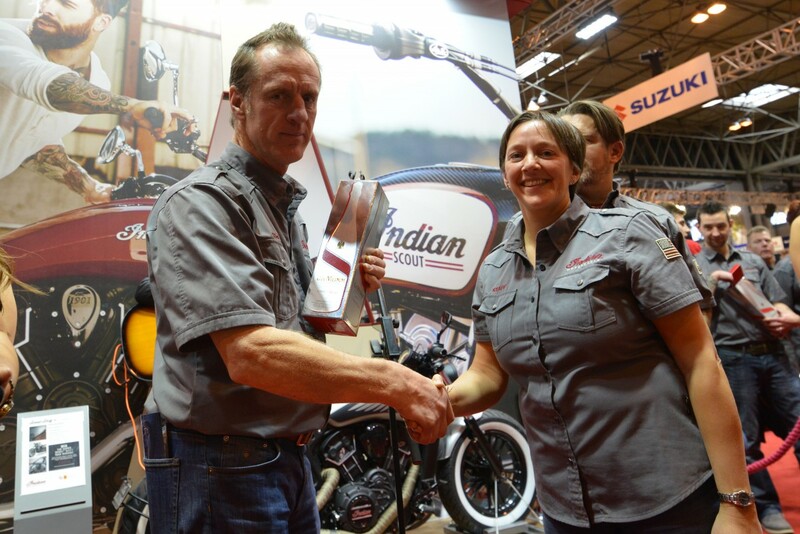 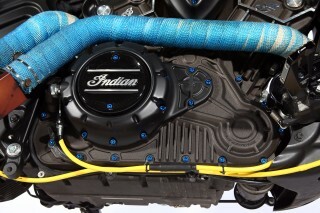 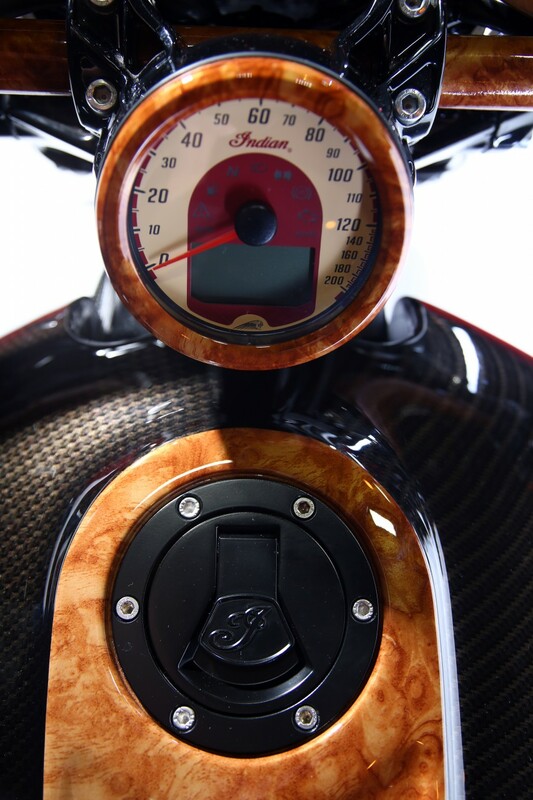 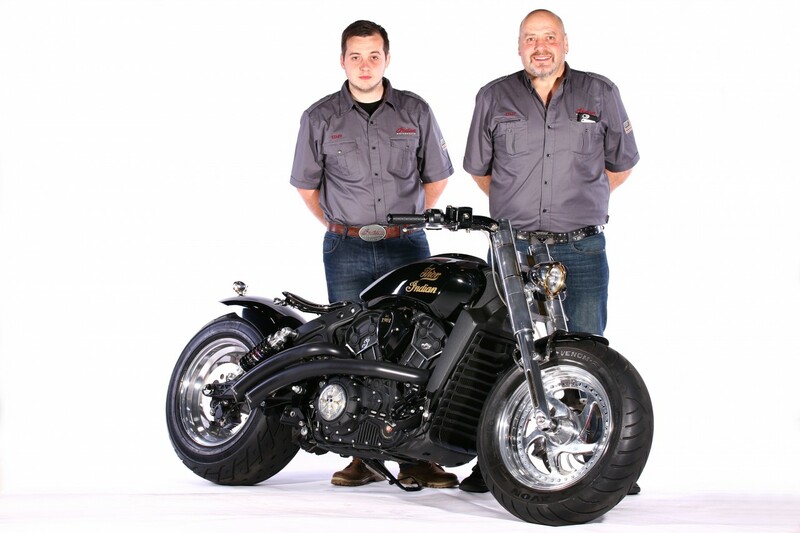 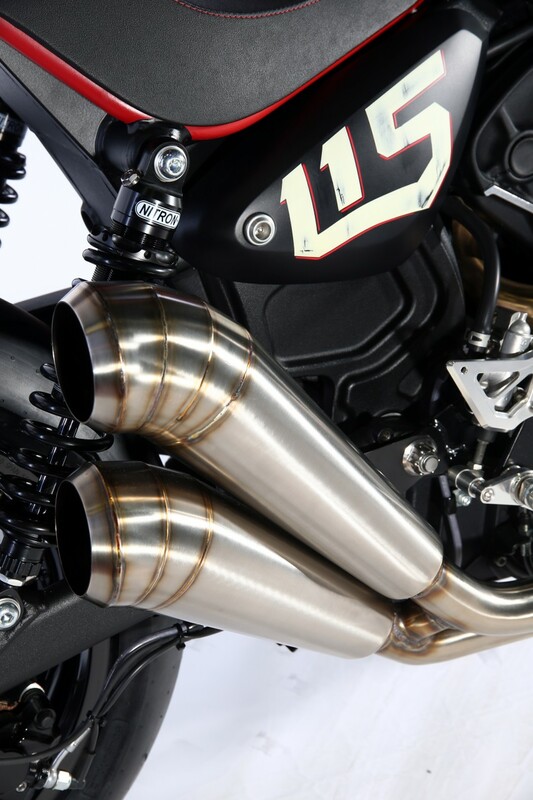 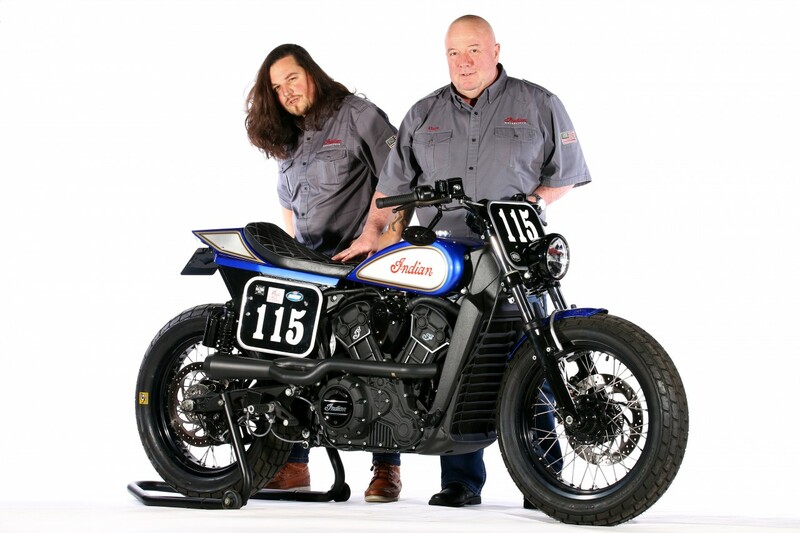 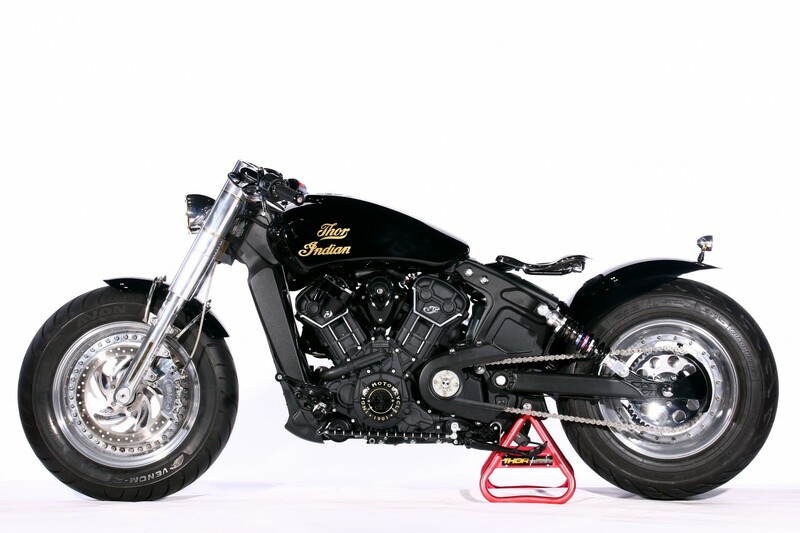 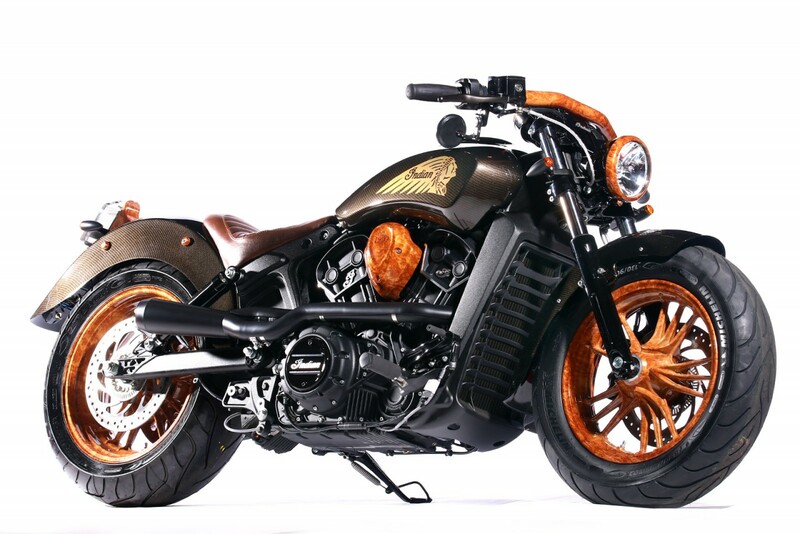 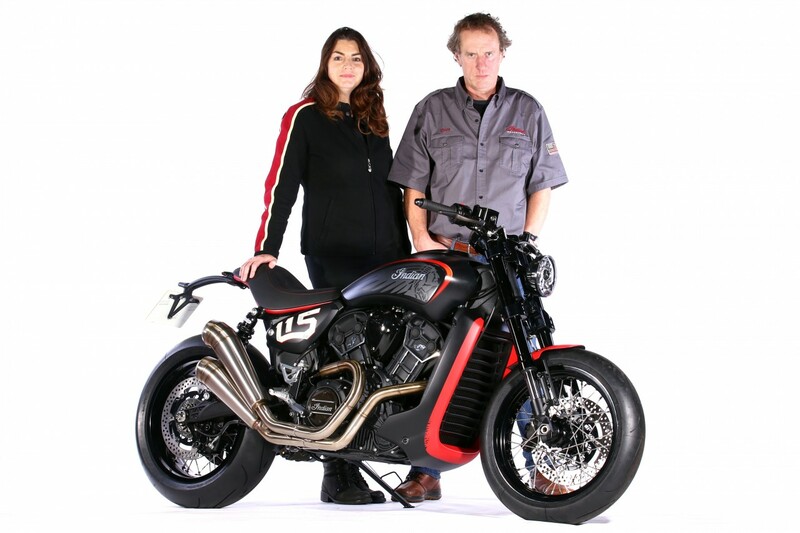 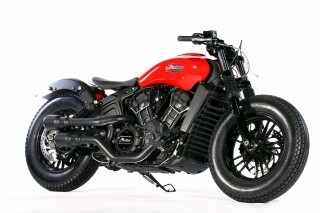 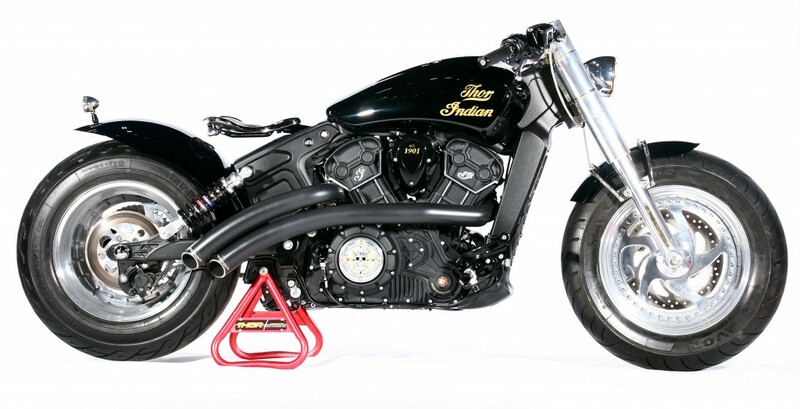 Indian Motorcycle dealerships across the UK were invited to build a customised Indian Scout or Scout Sixty in just 90 days in a partnership with the UK’s national motorcycle show, Motorcycle Live. 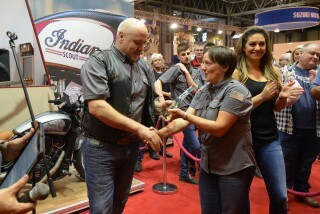 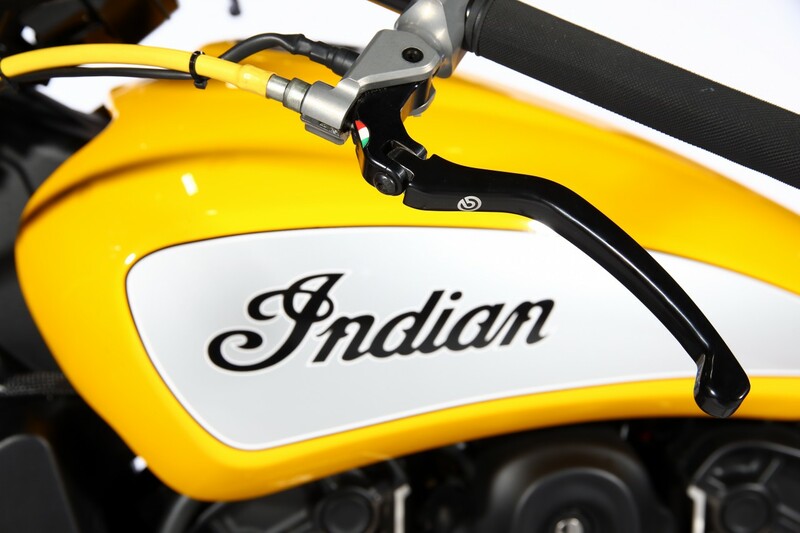 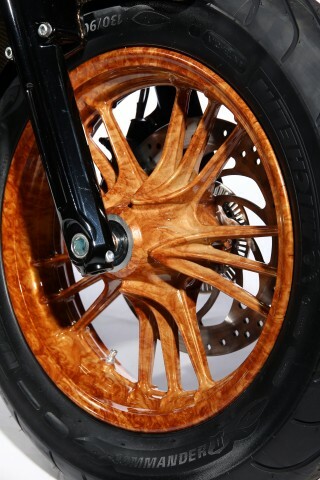 Ten dealers took up the opportunity to show off their creations to an audience of 113,172 visitors with 1,905 of these voting for their favourite Project Scout by visiting the Indian stand during the nine-day-long show. 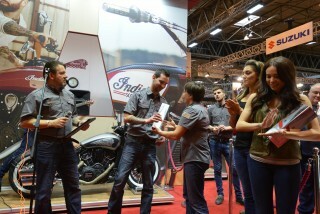 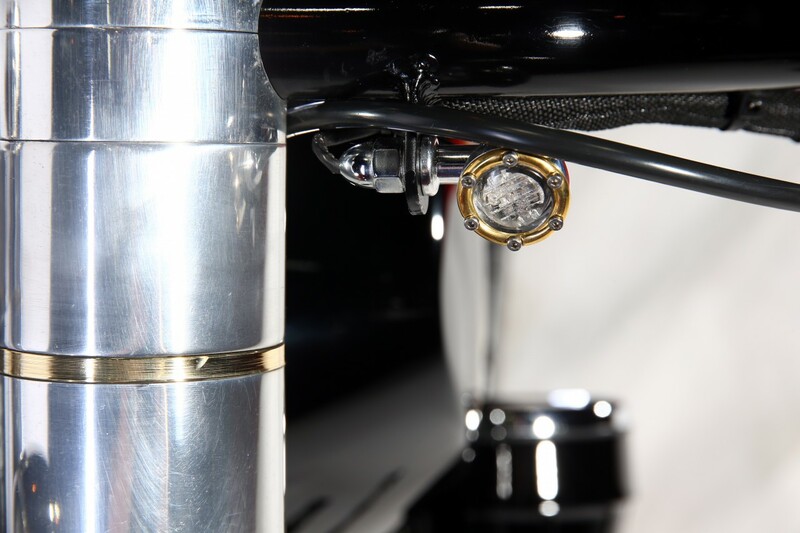 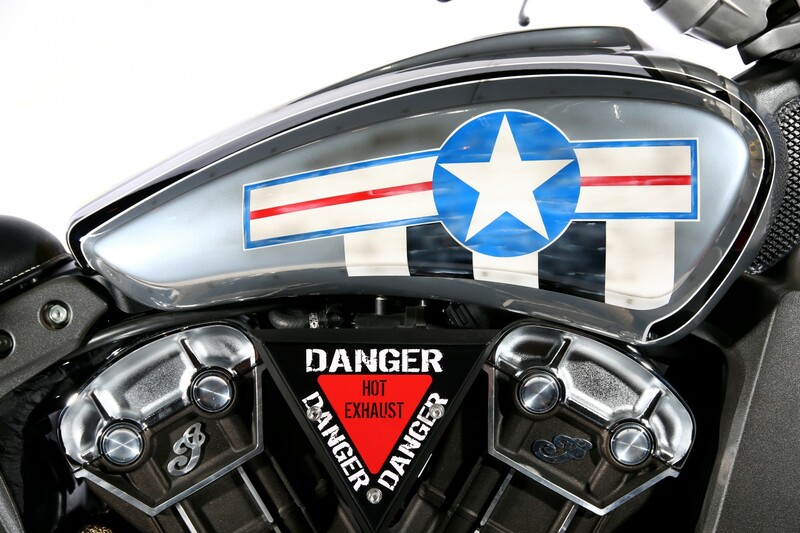 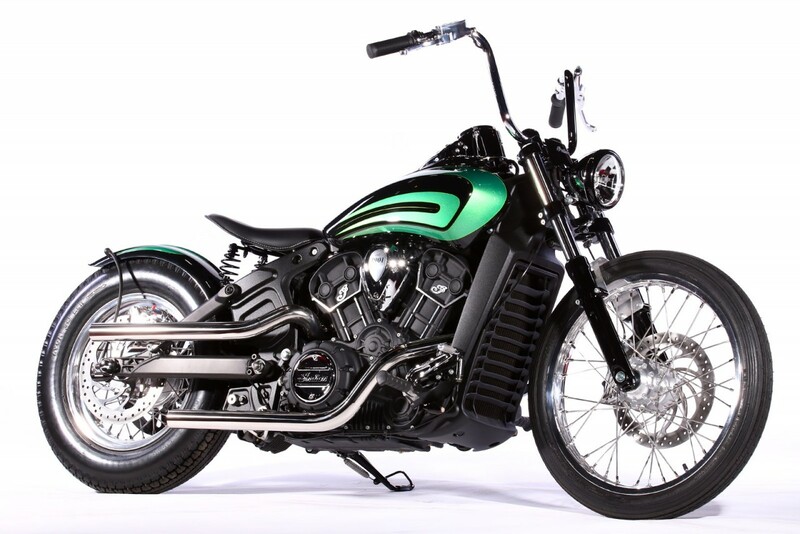 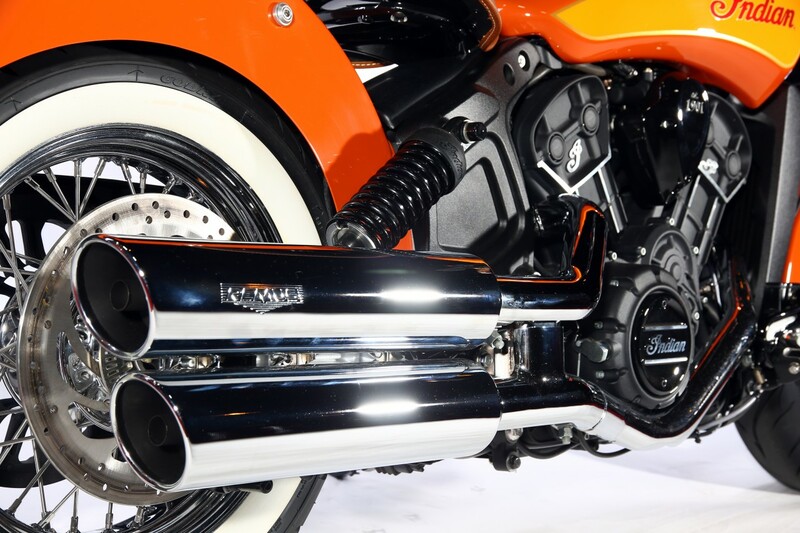 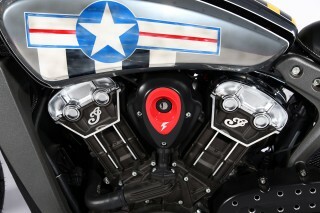 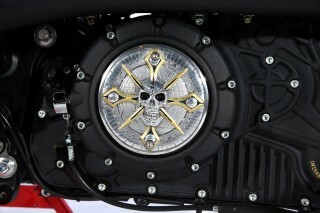 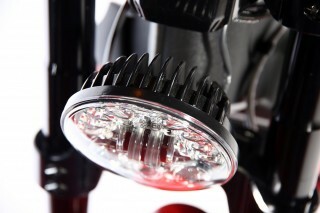 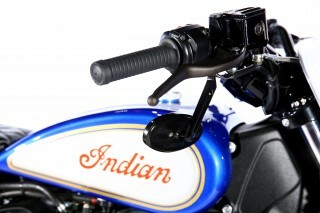 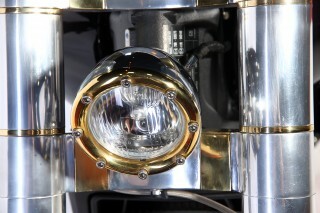 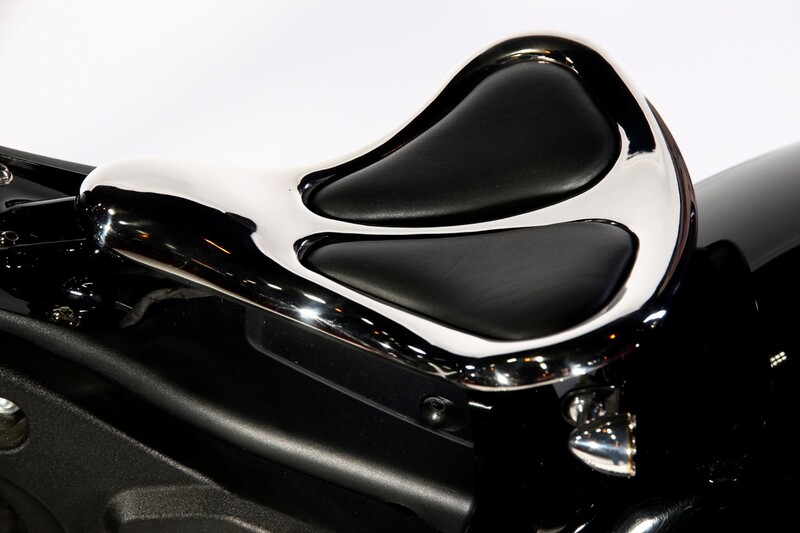 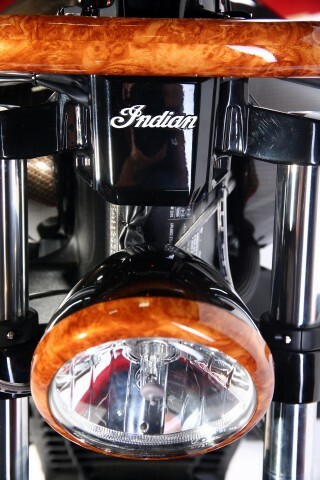 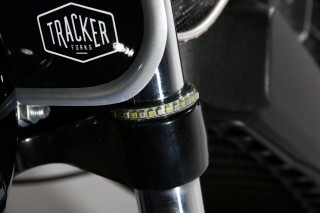 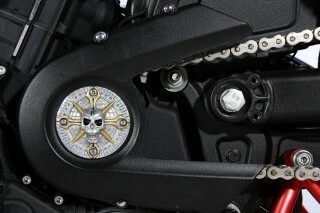 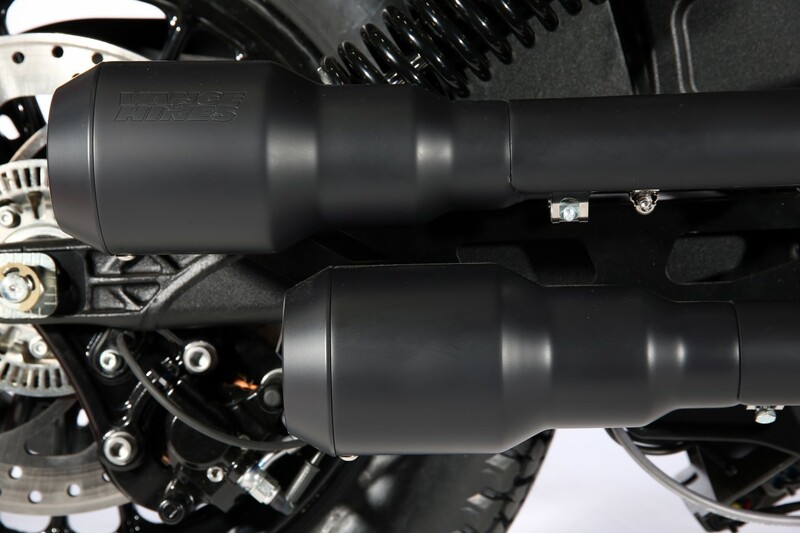 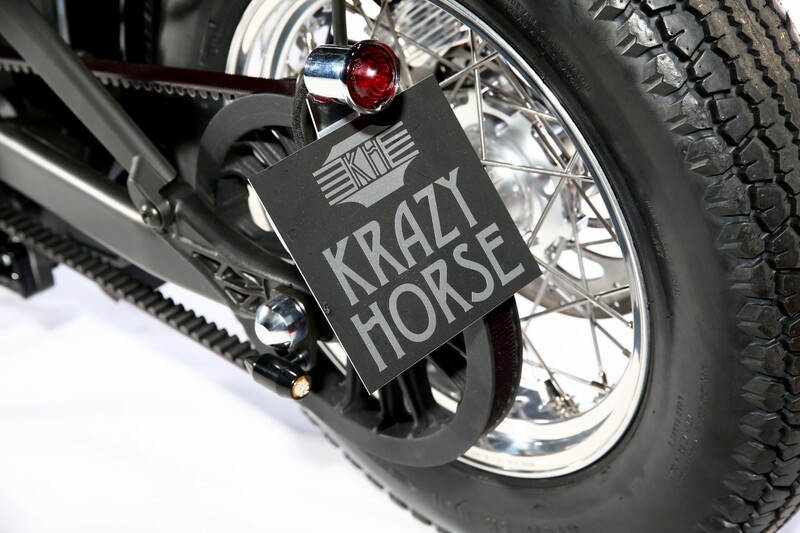 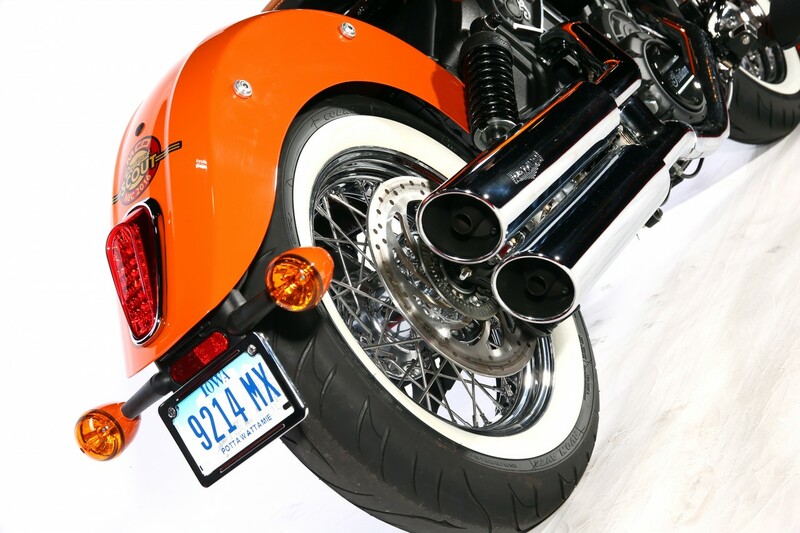 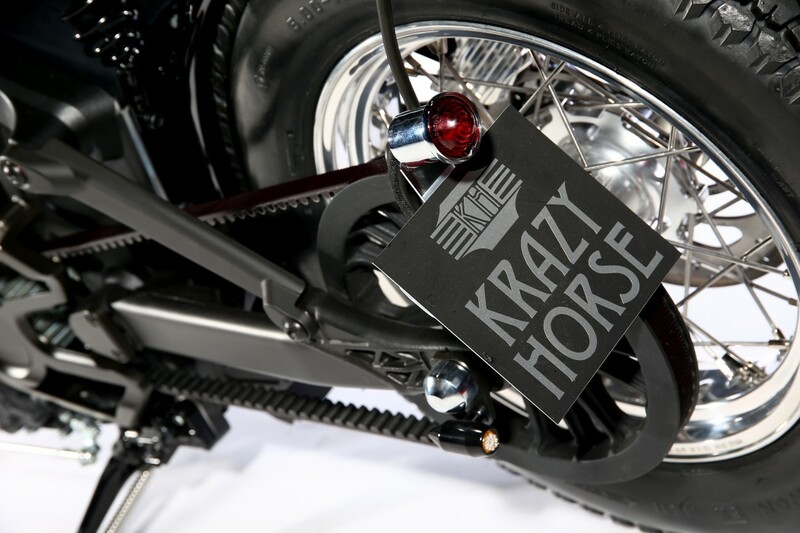 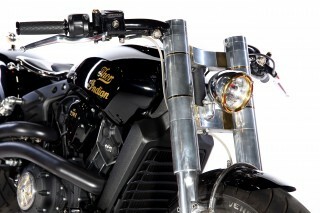 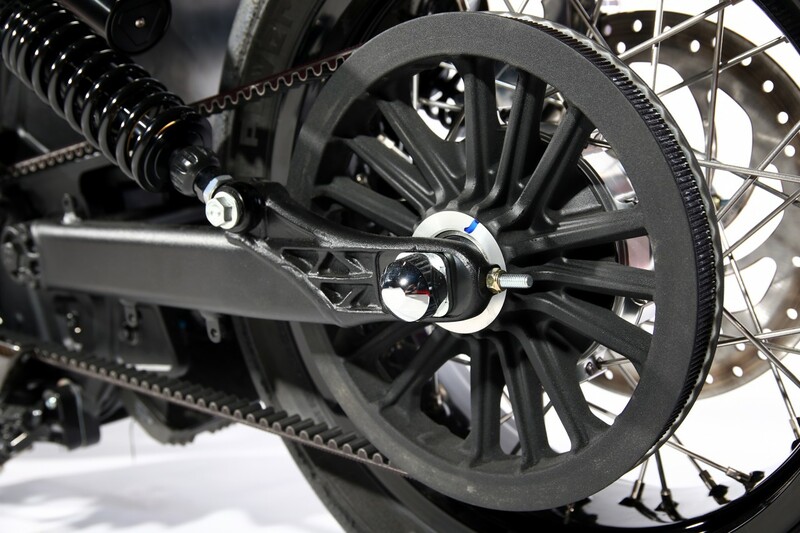 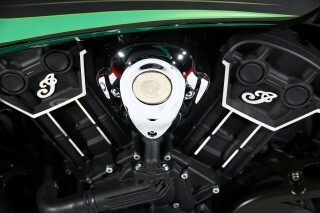 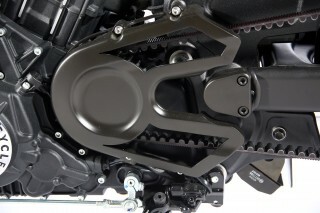 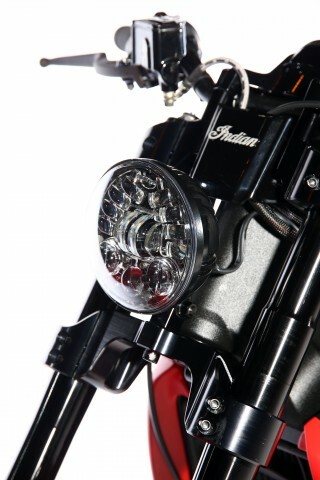 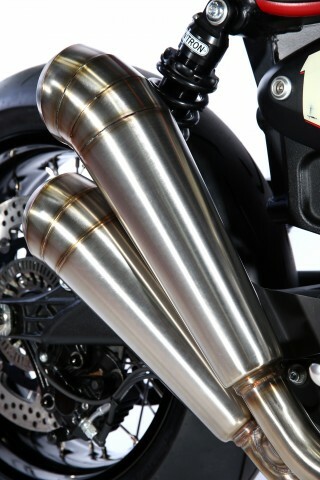 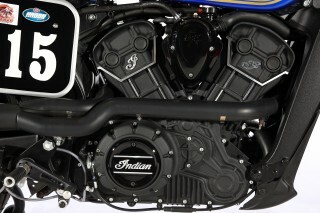 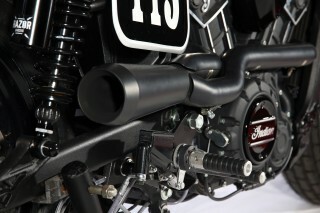 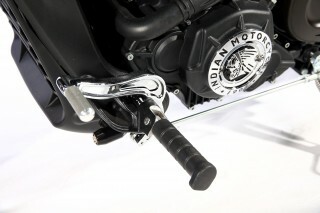 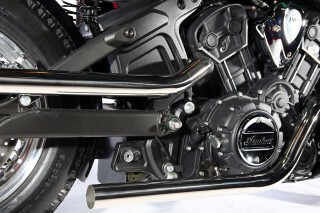 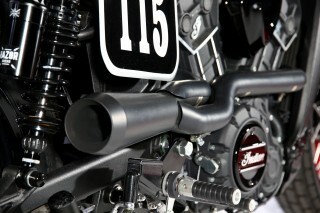 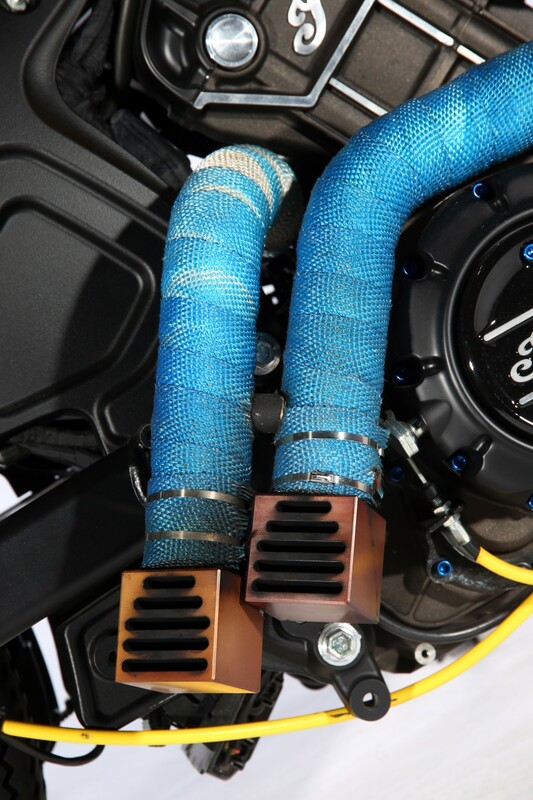 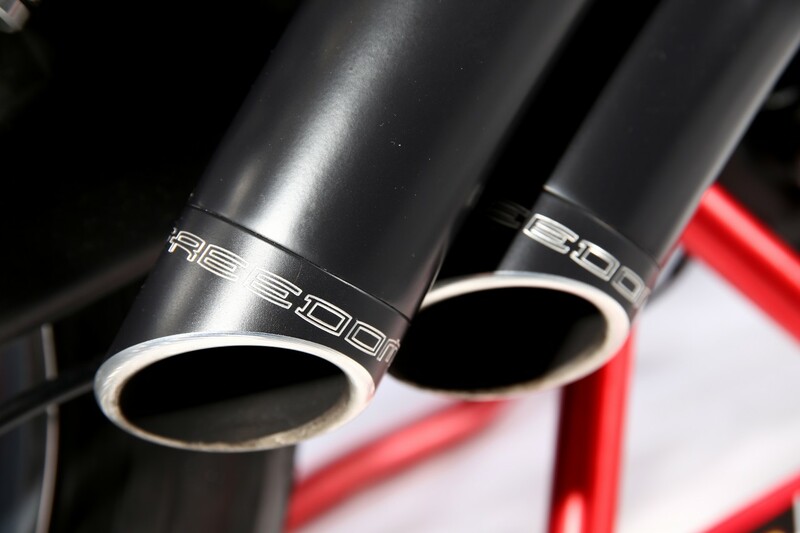 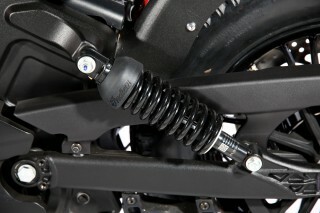 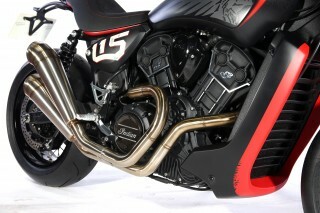 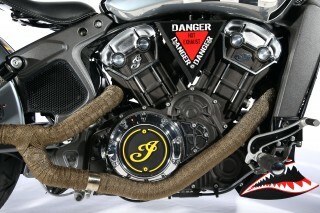 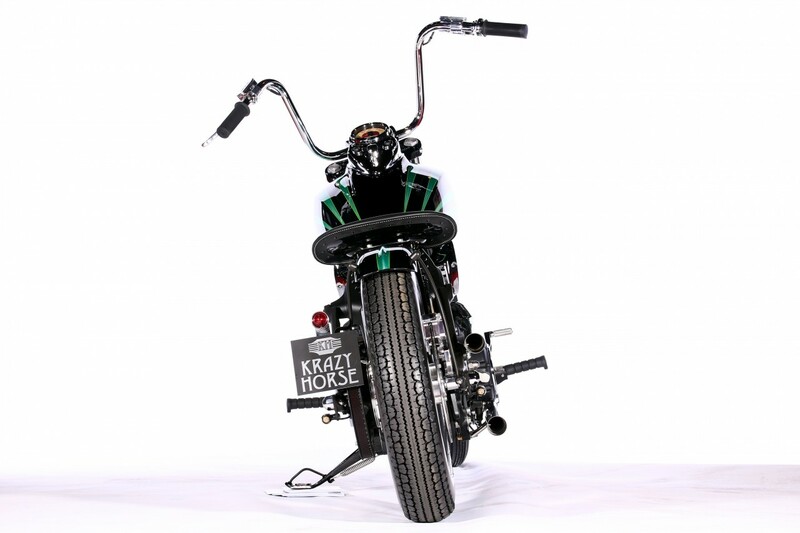 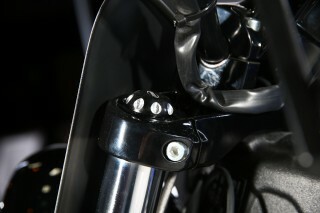 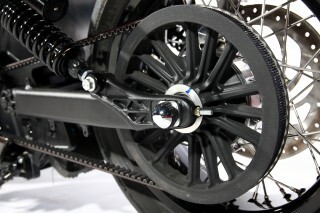 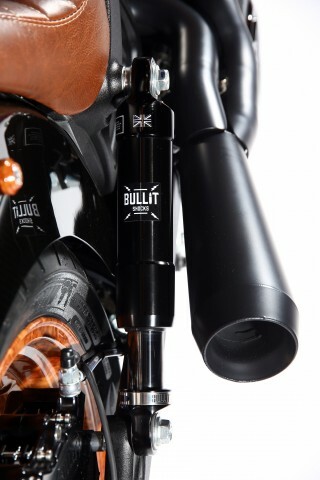 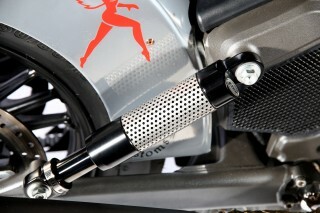 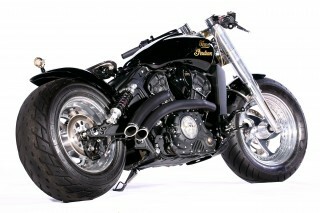 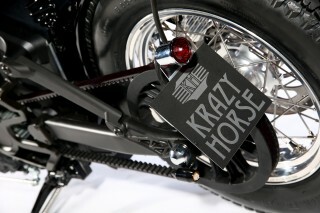 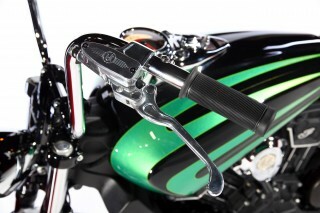 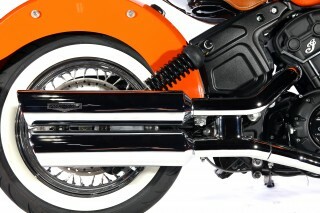 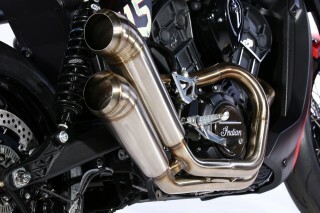 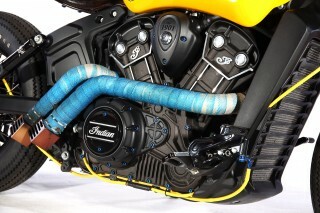 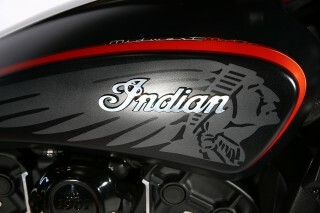 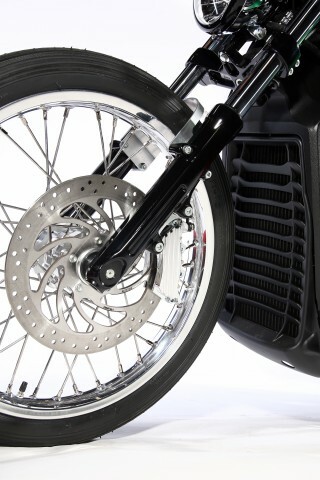 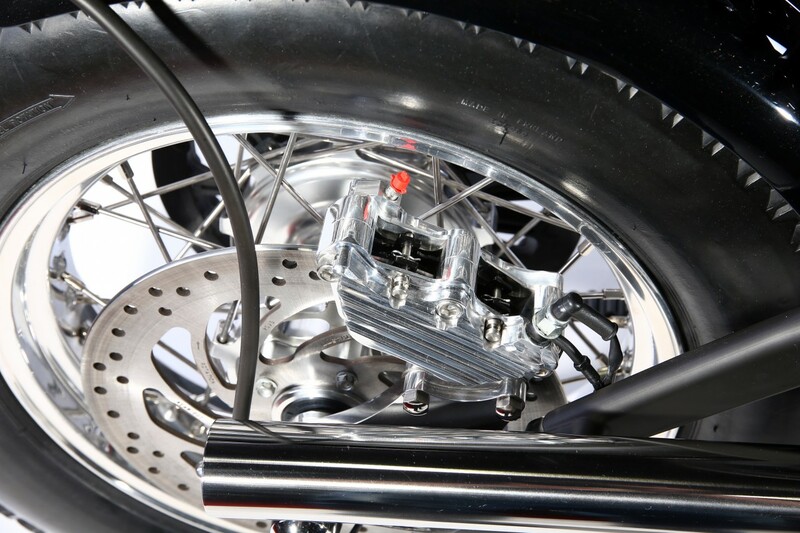 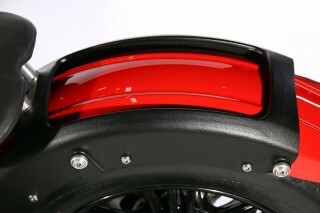 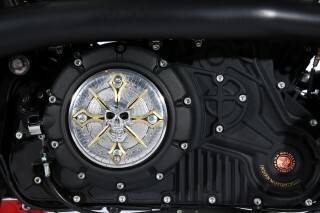 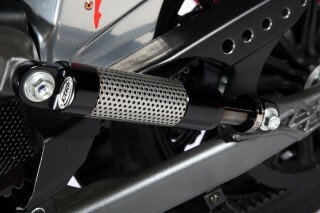 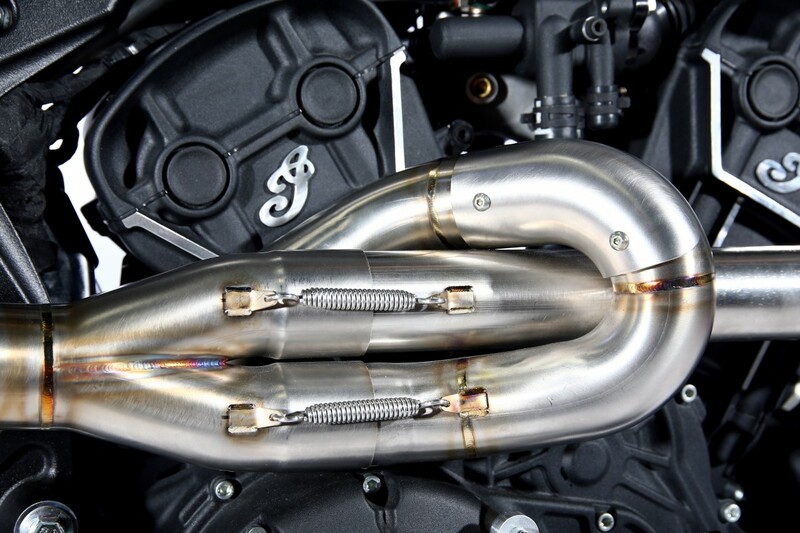 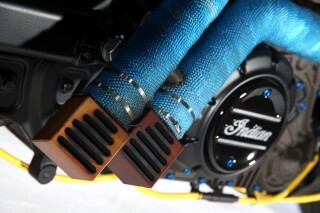 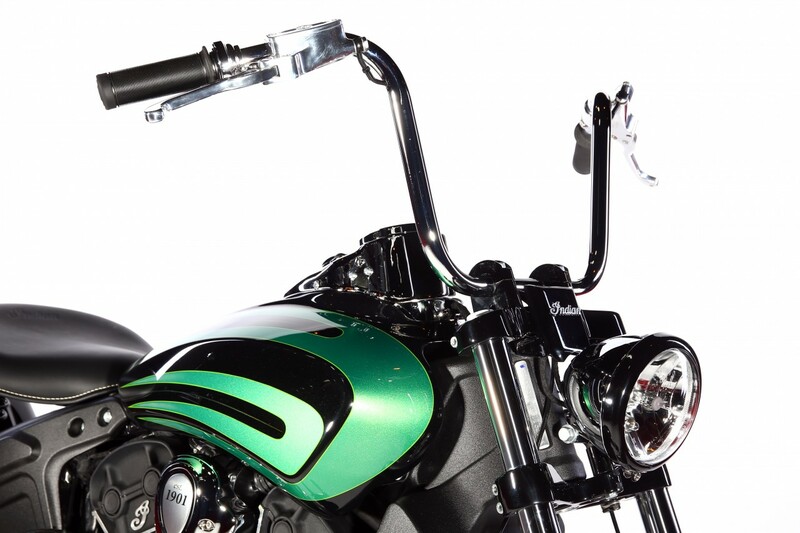 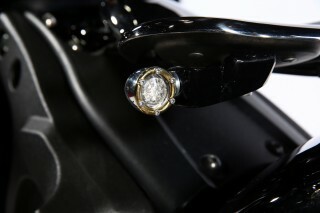 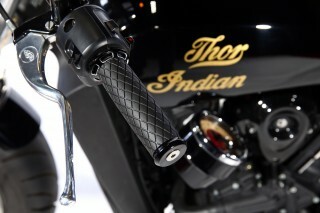 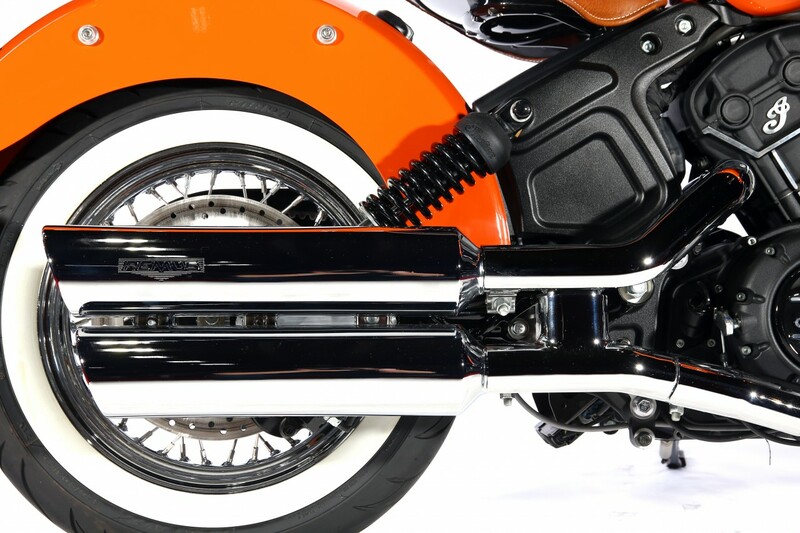 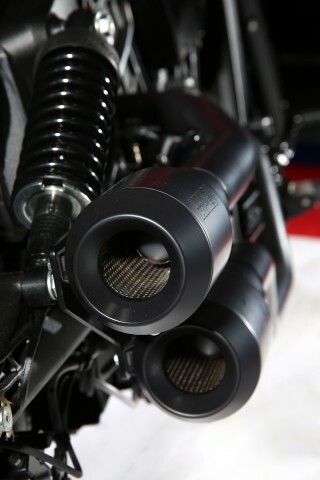 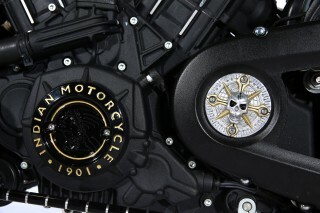 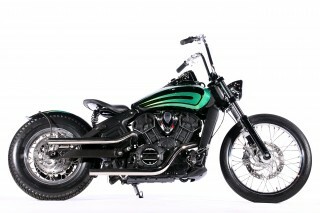 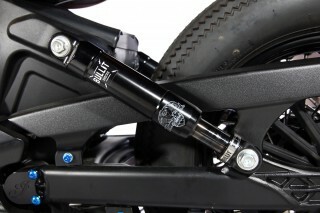 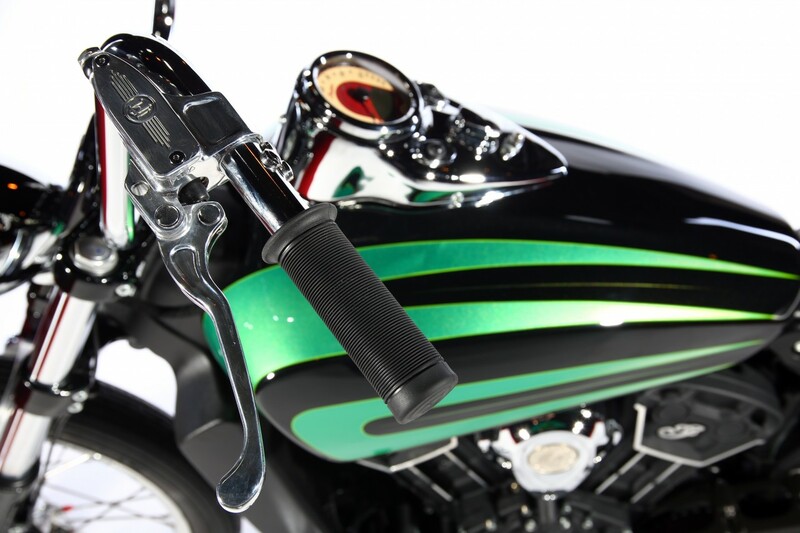 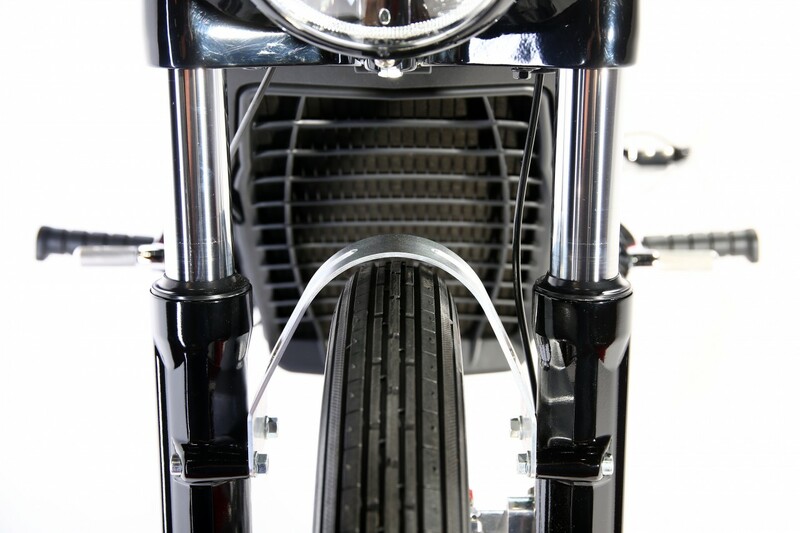 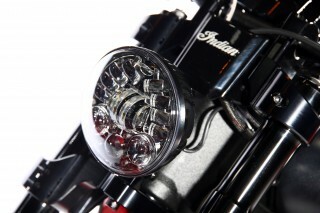 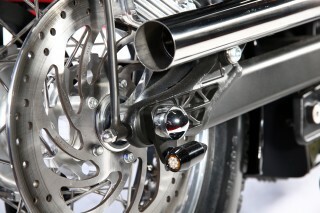 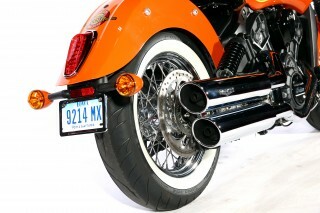 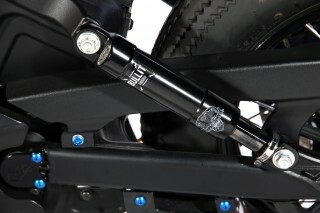 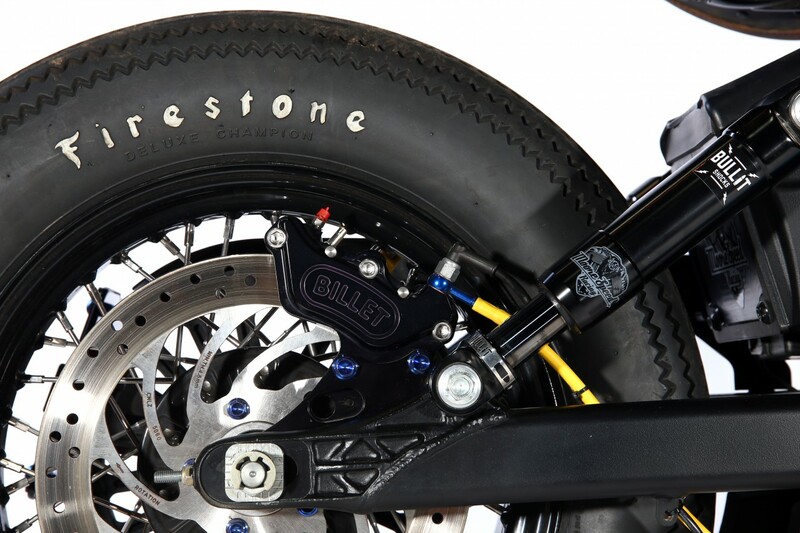 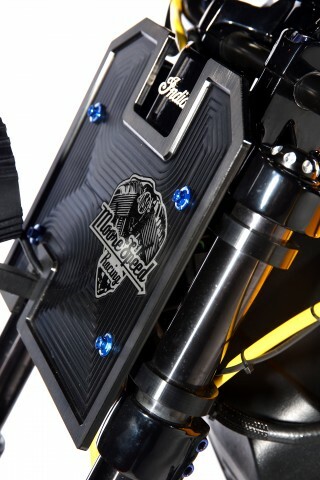 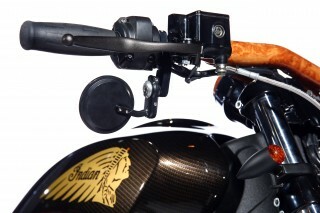 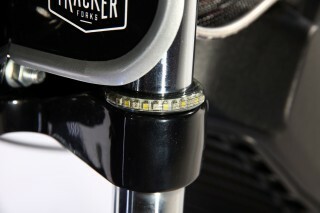 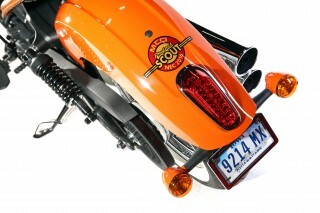 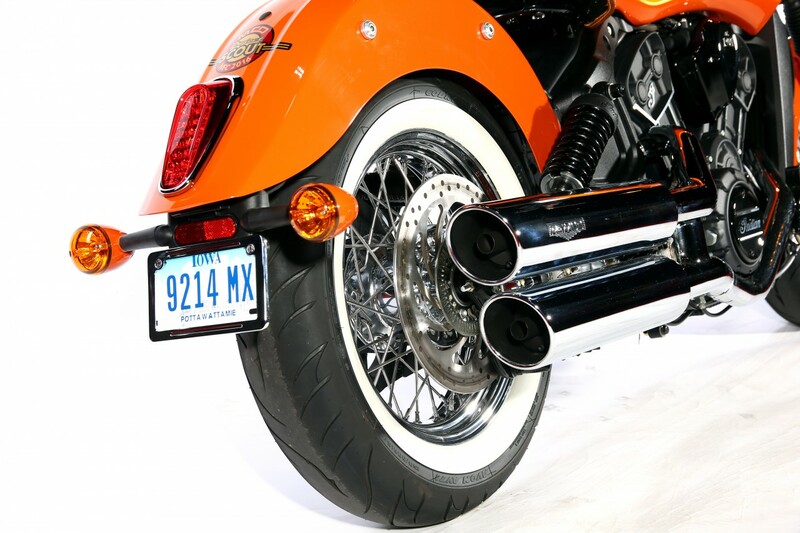 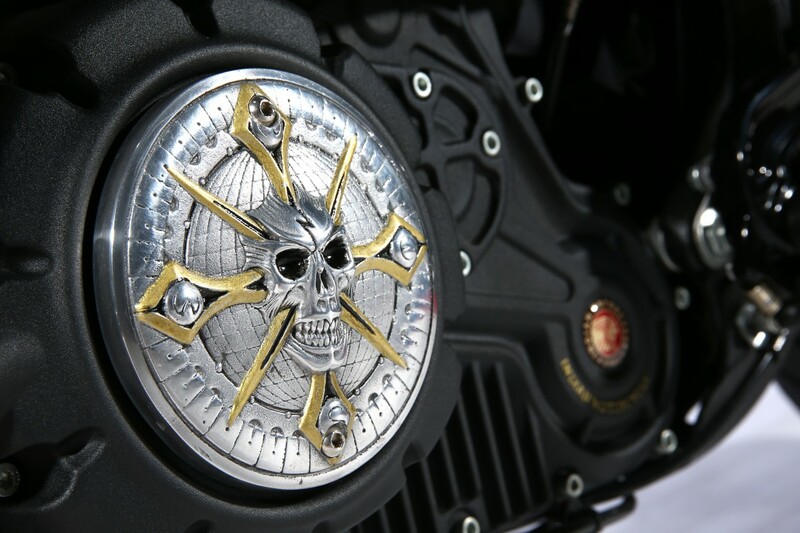 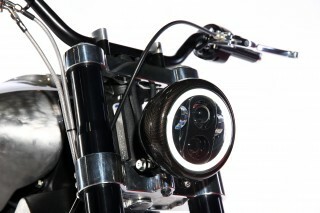 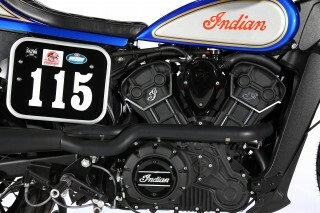 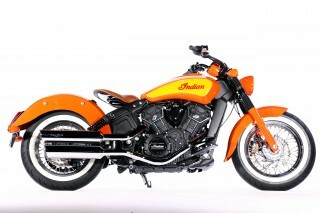 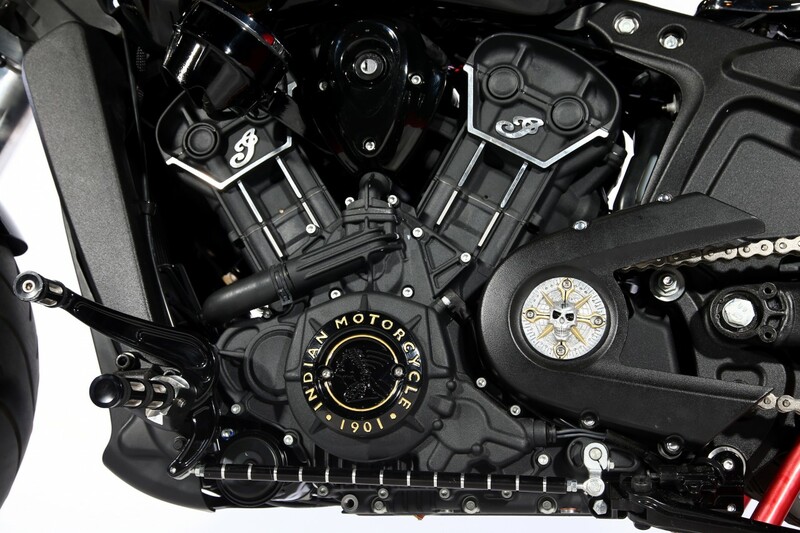 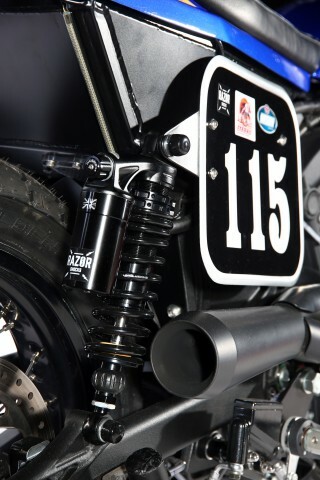 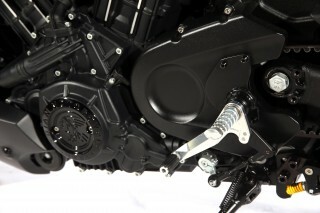 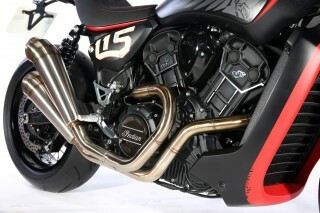 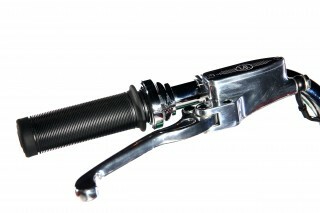 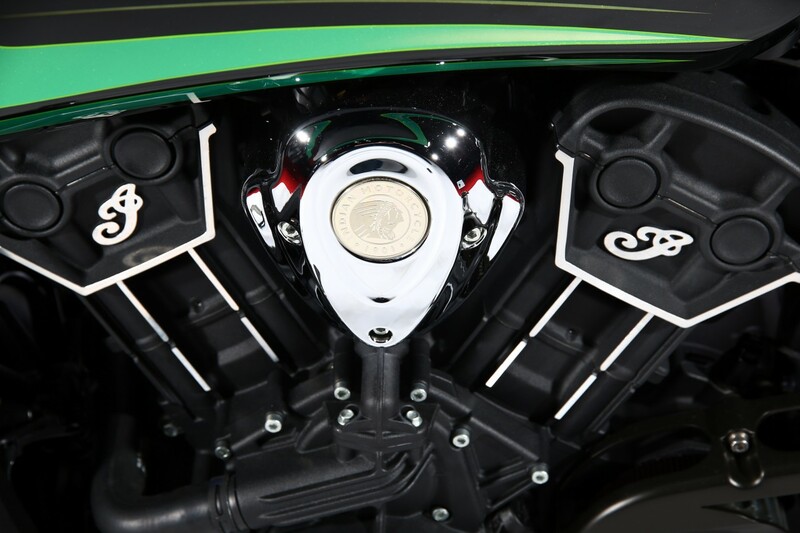 There were no rules or restrictions on the bike theme, cost or build style, but entrants had to use a minimum of three genuine Indian Scout accessories from the range of more than 200 items and at least one part from the following three leading aftermarket suppliers – Custom Chrome Europe, MAG Europe or Harrison Billet. 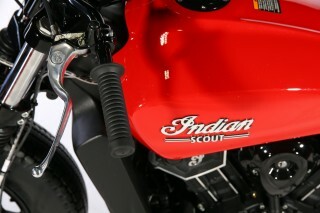 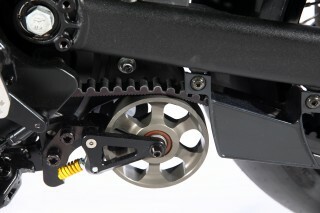 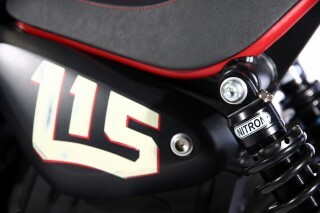 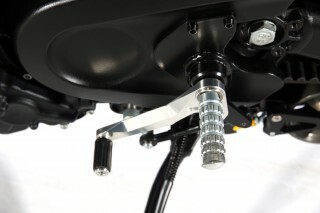 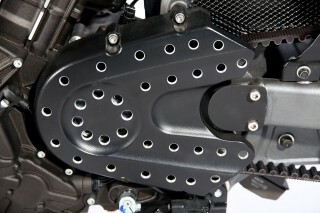 These three suppliers gave huge support to the project by offering a range of parts to ensure that each Scout build was truly unique. 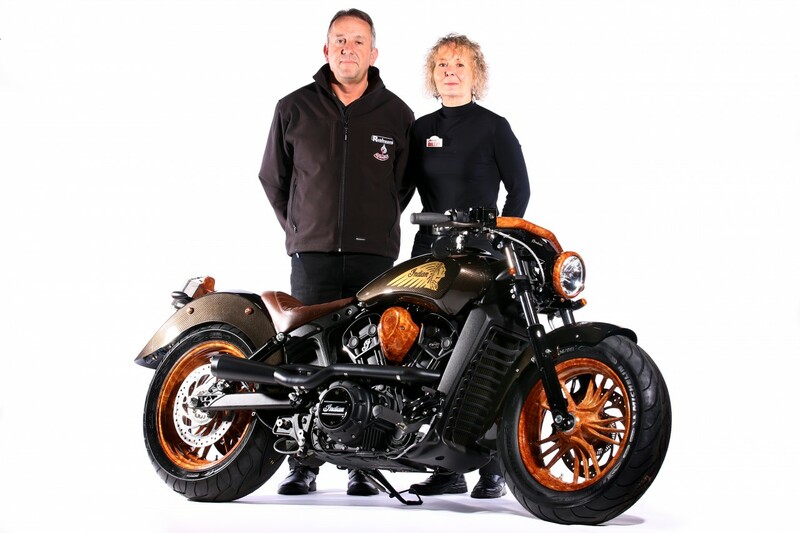 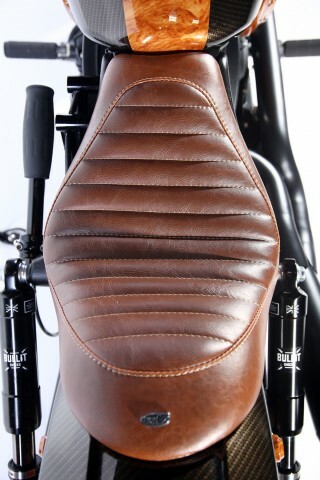 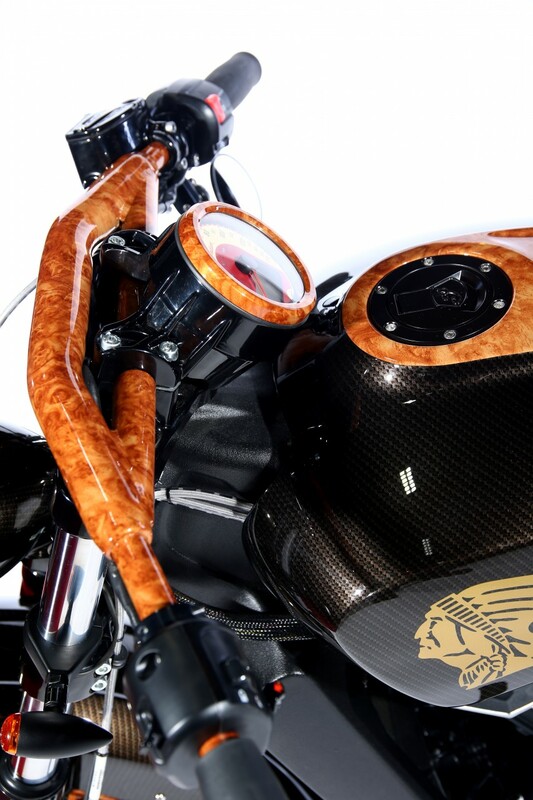 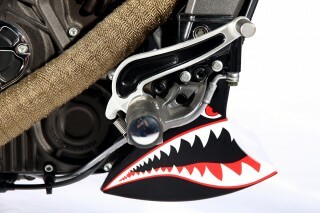 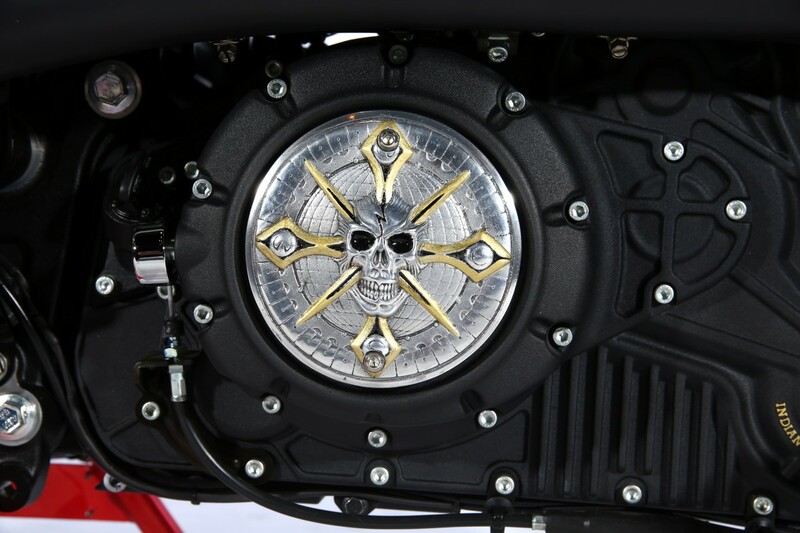 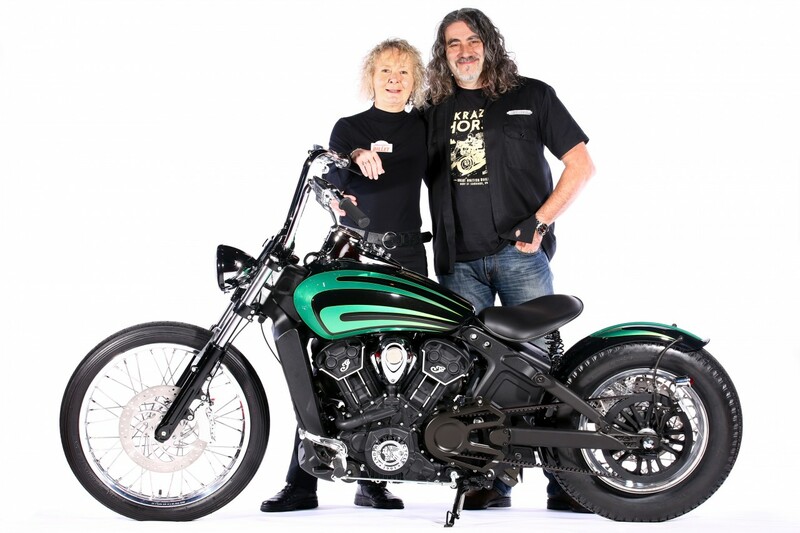 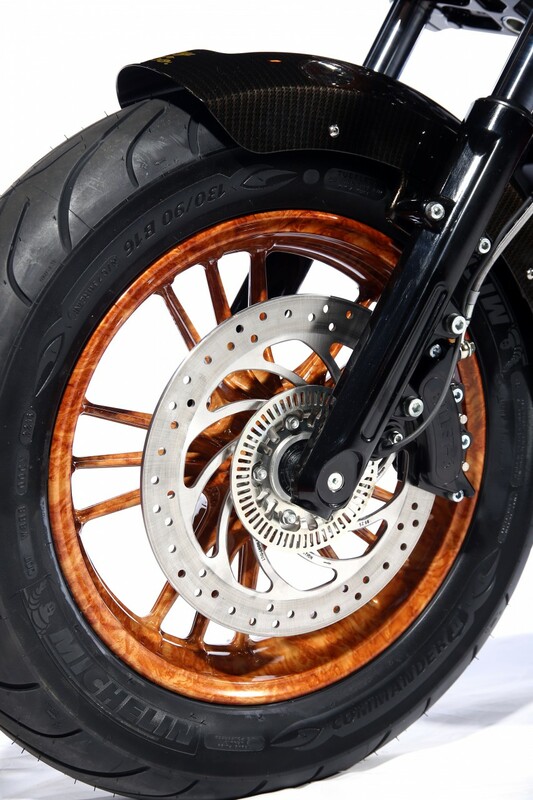 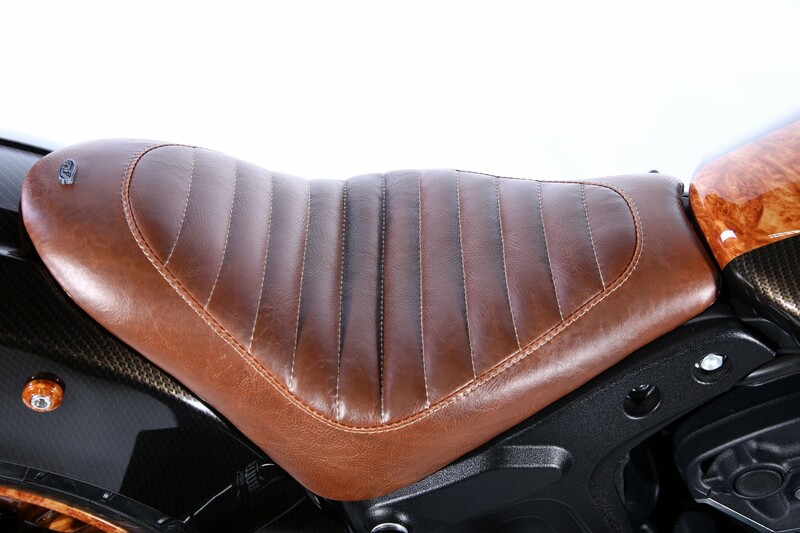 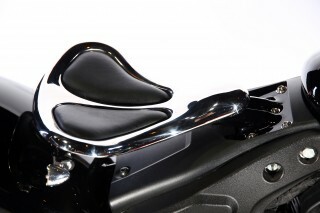 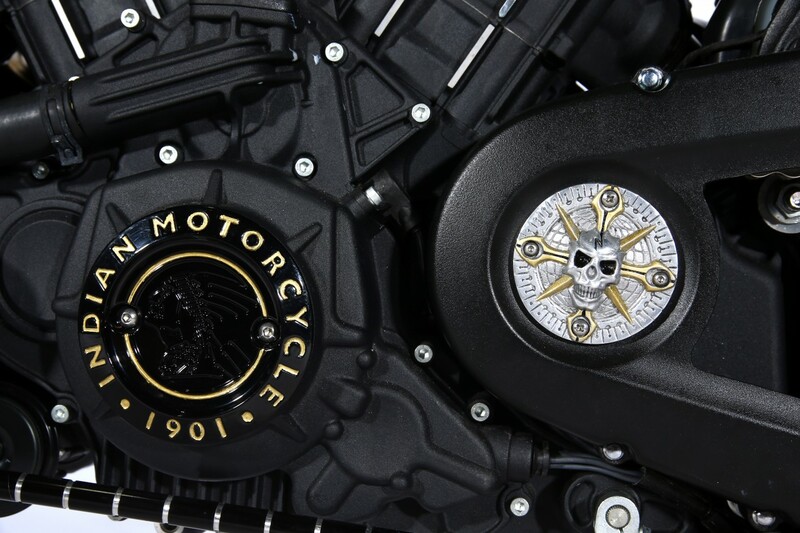 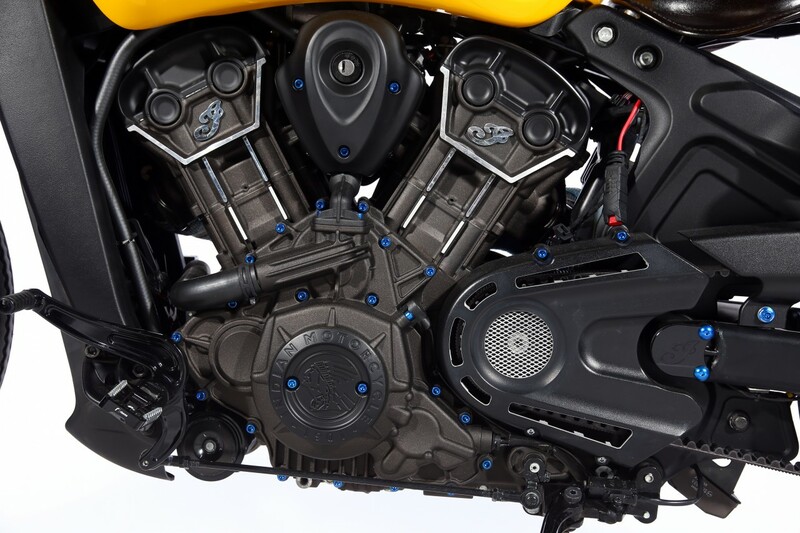 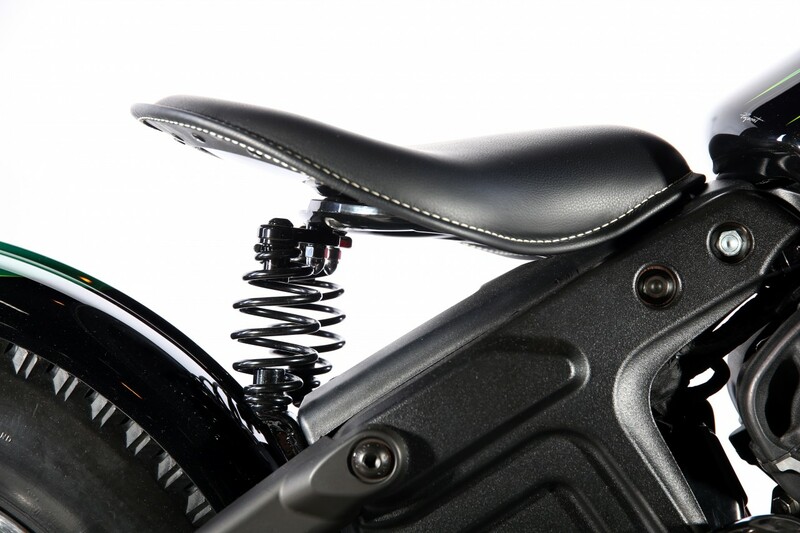 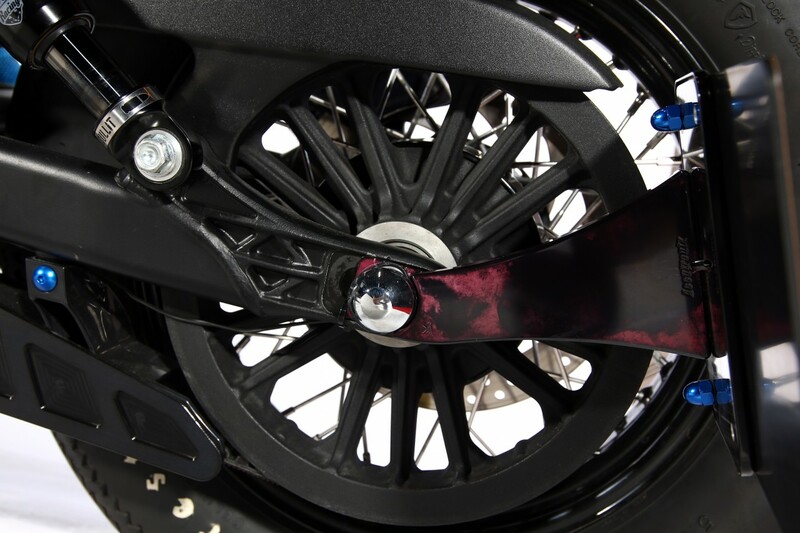 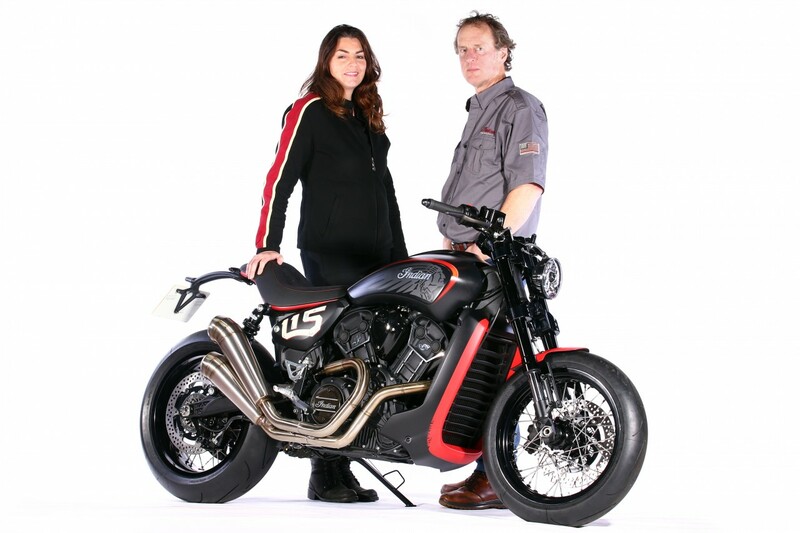 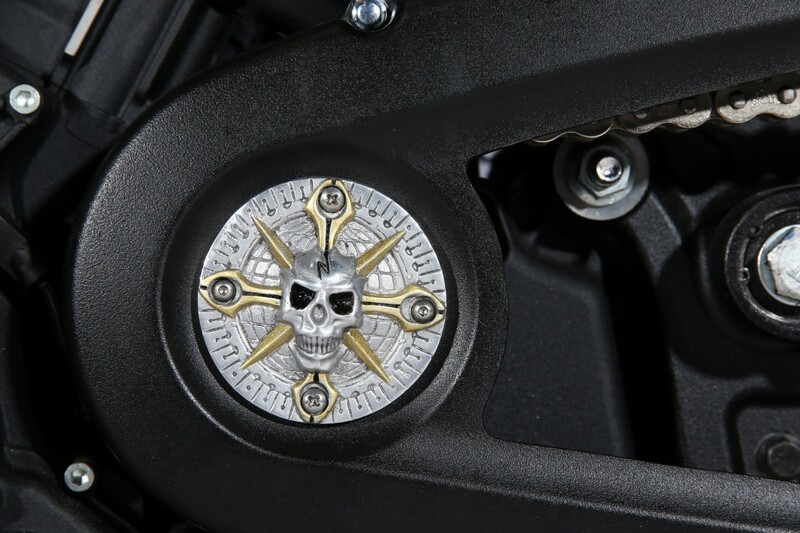 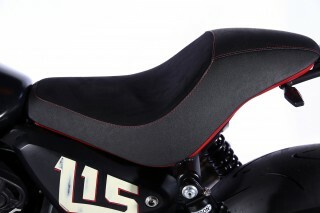 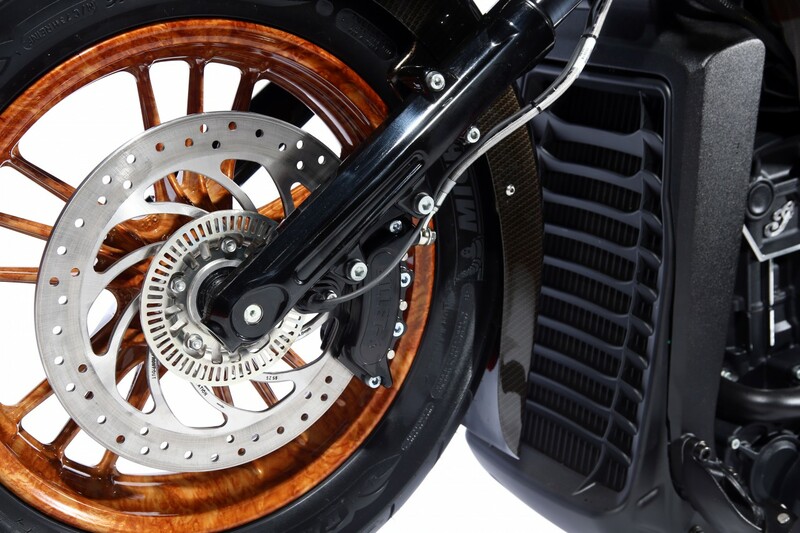 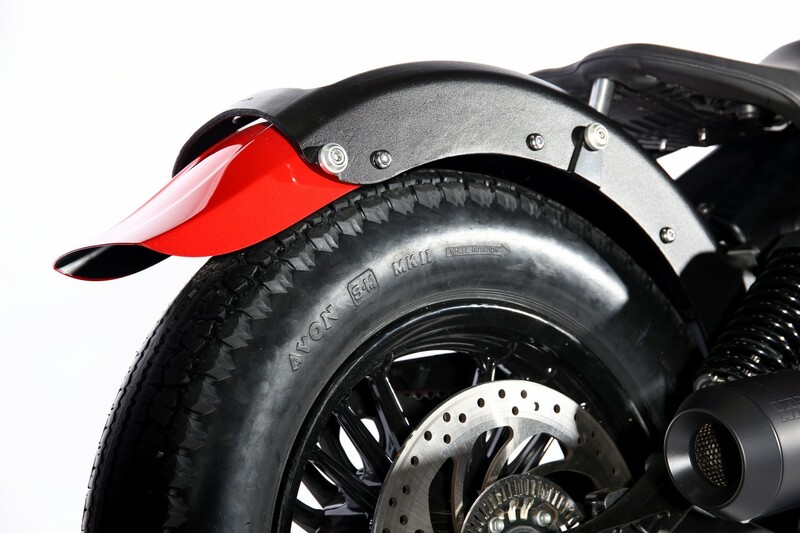 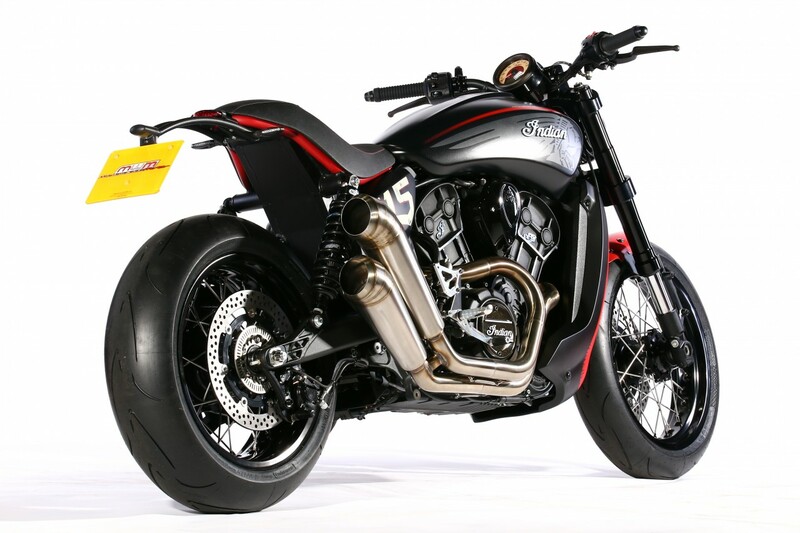 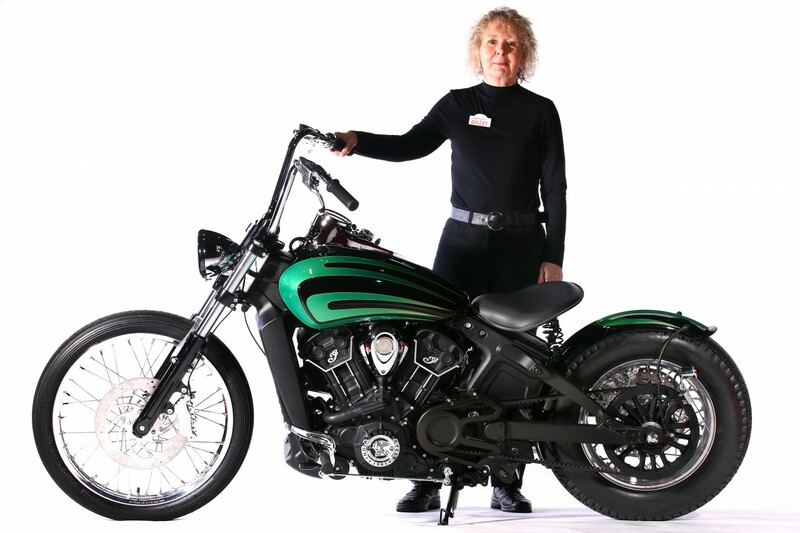 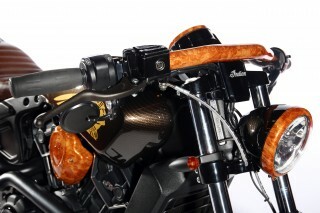 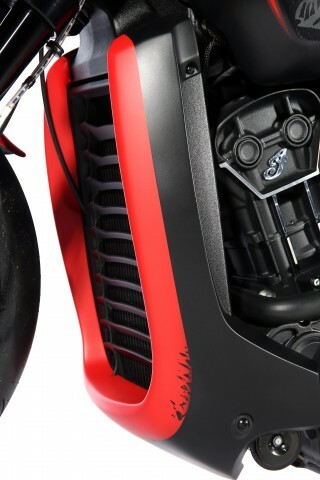 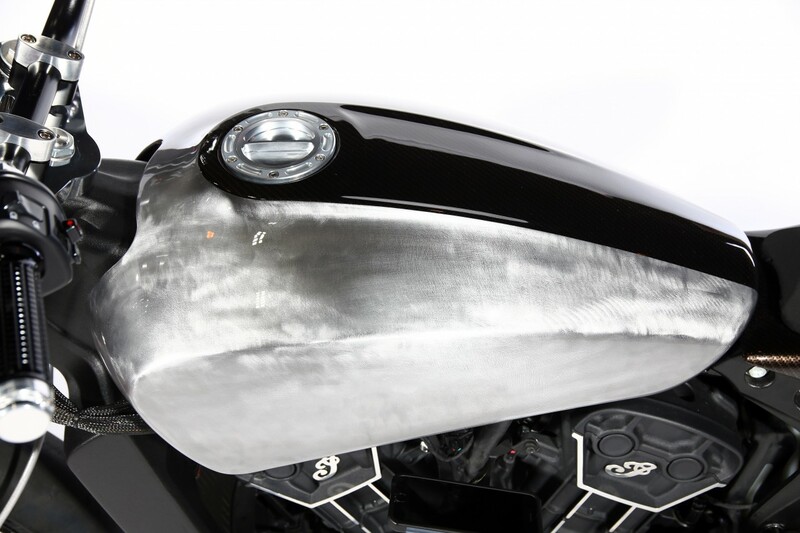 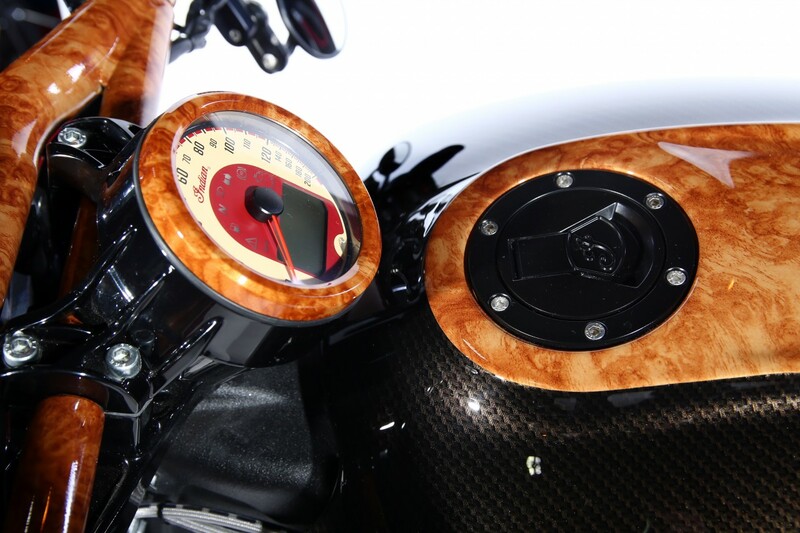 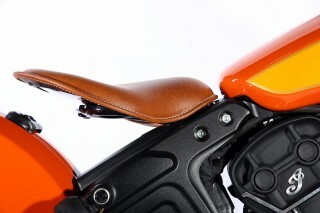 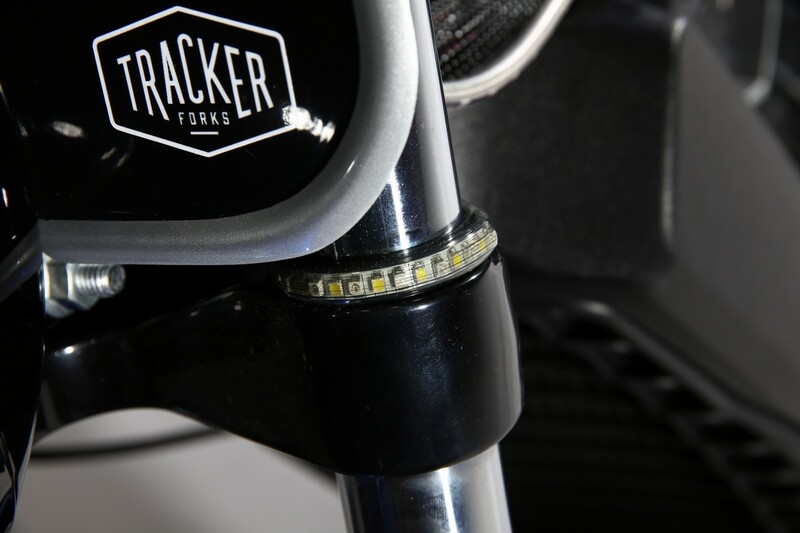 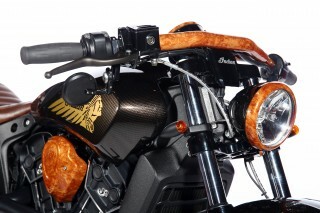 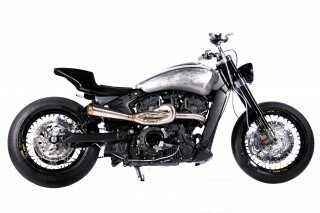 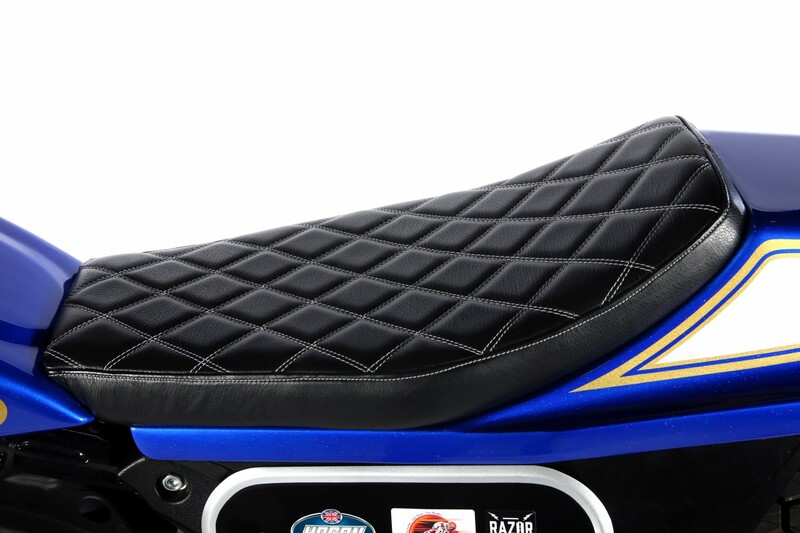 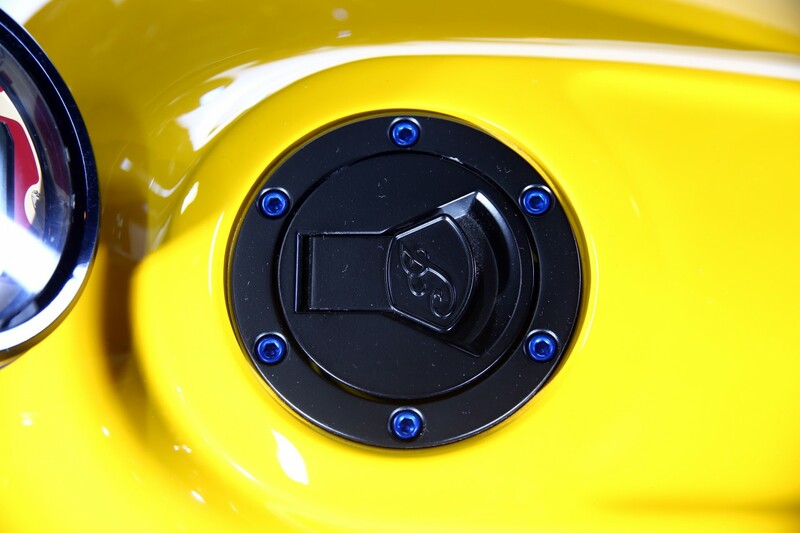 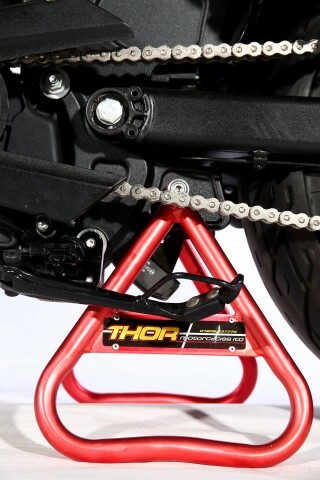 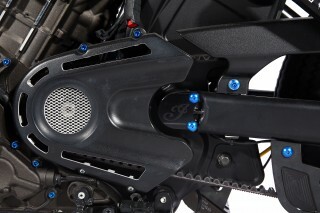 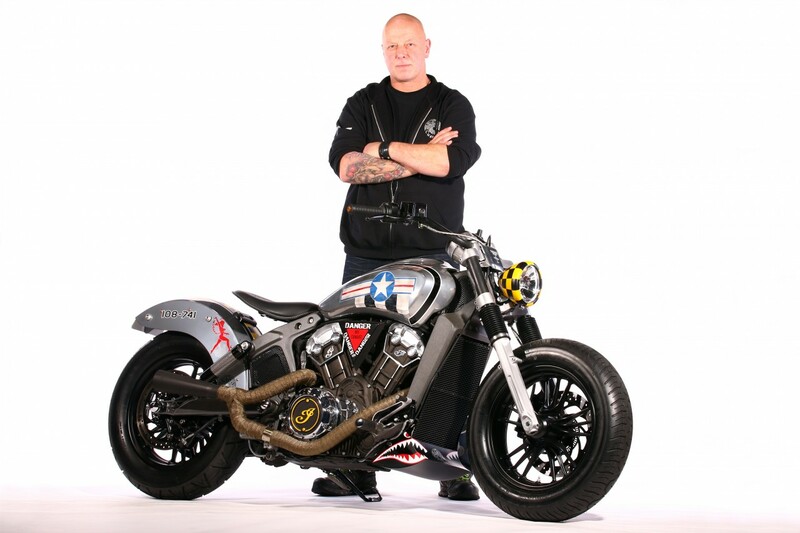 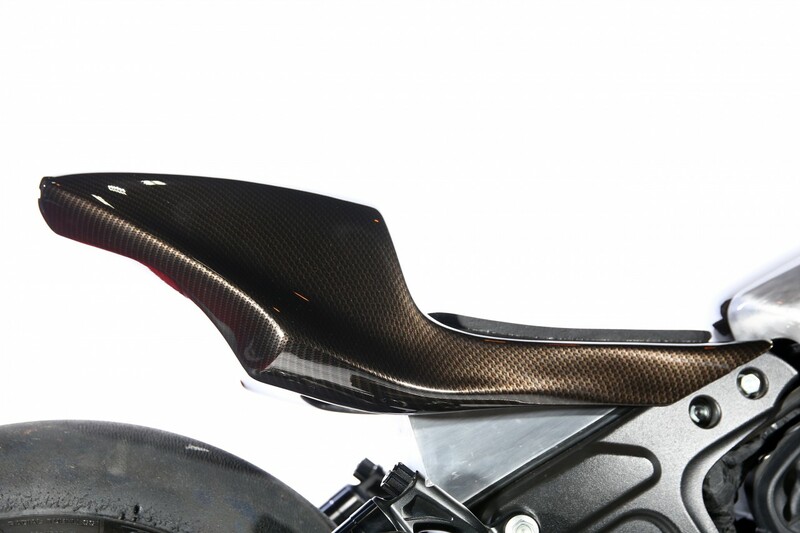 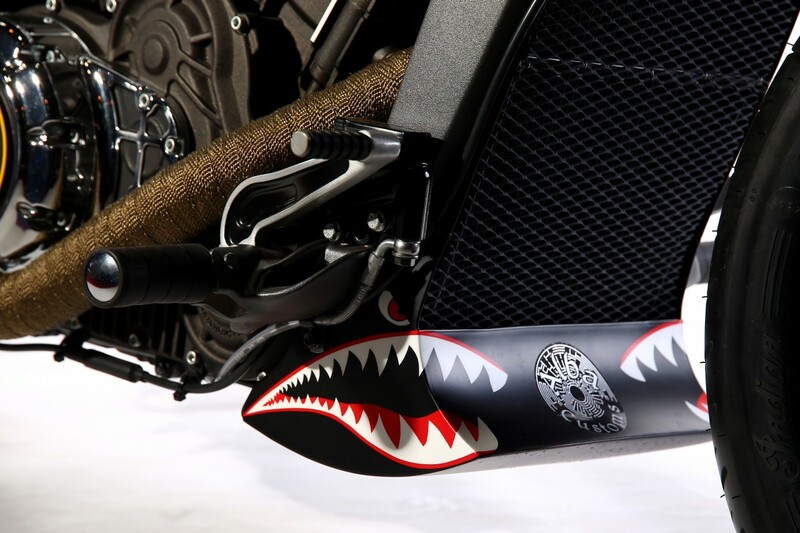 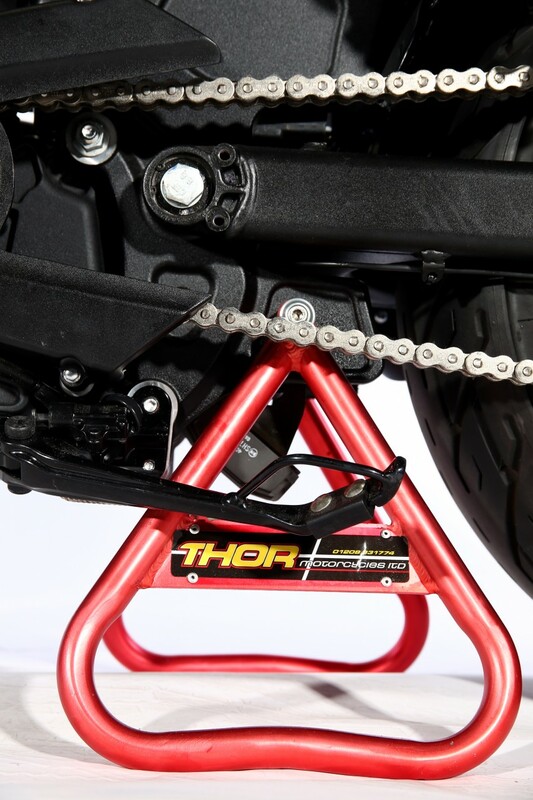 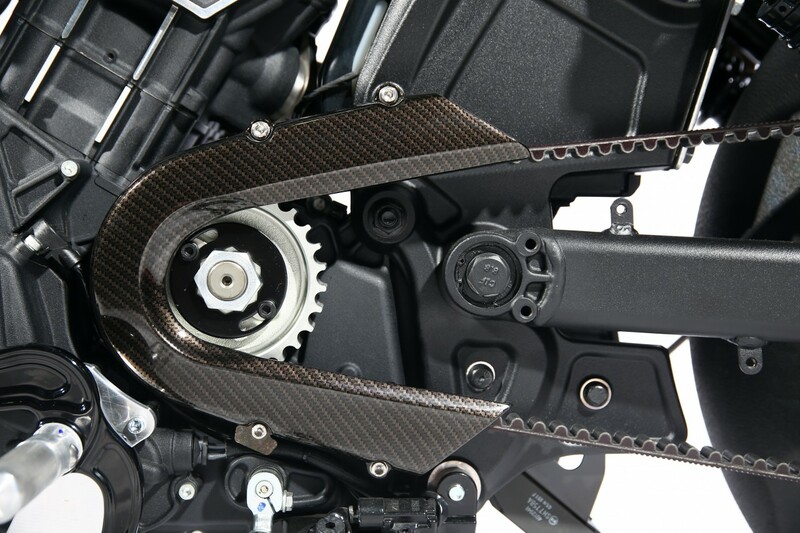 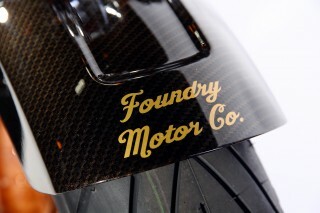 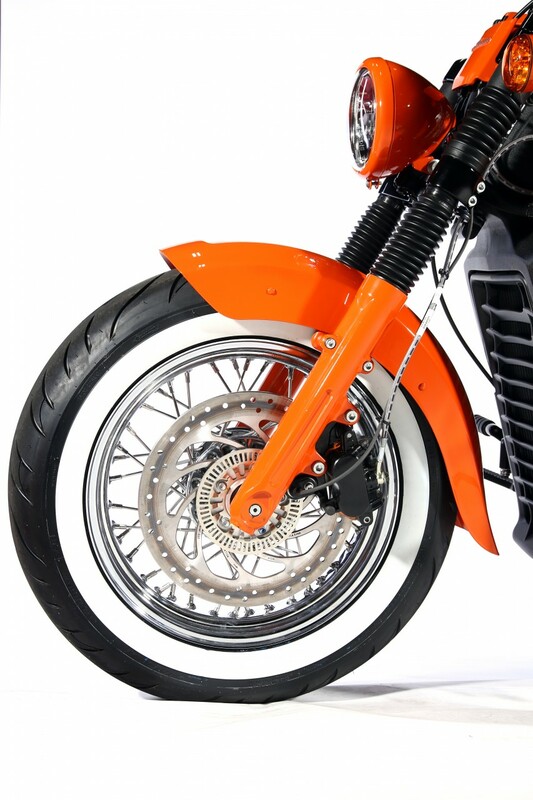 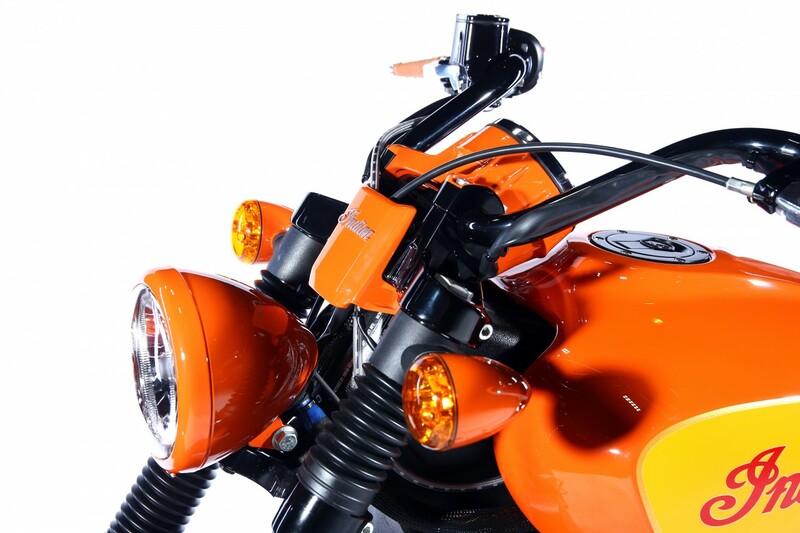 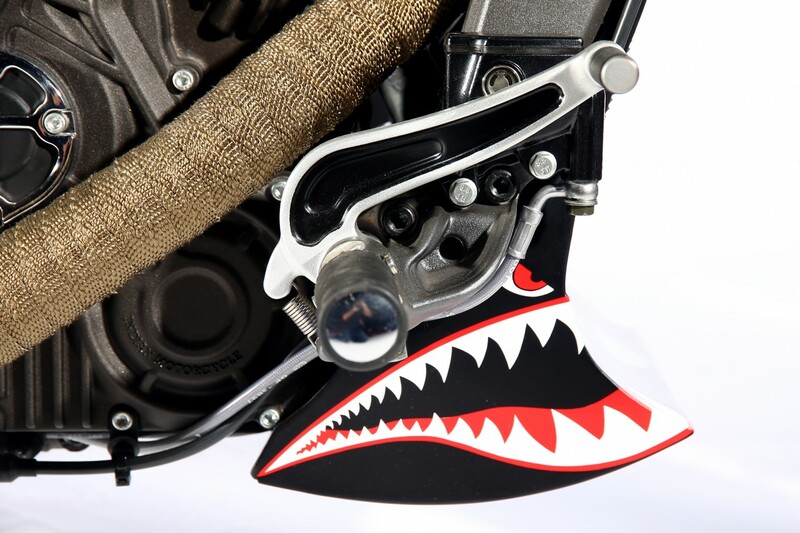 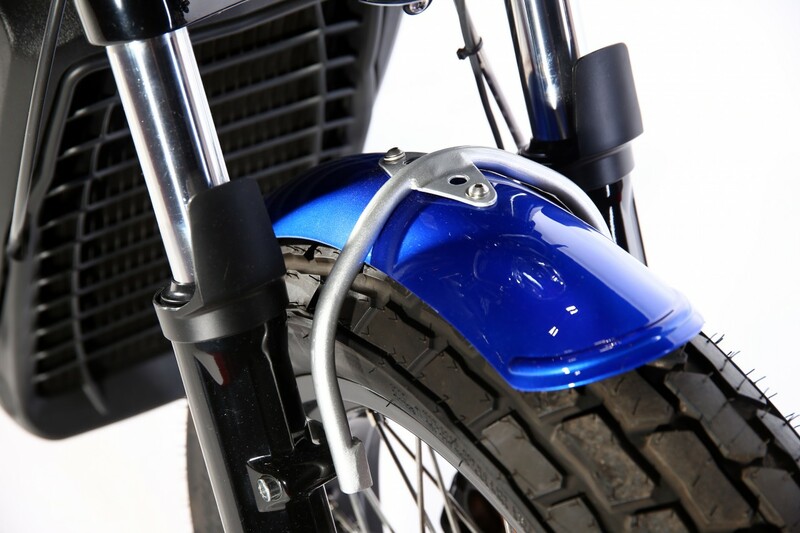 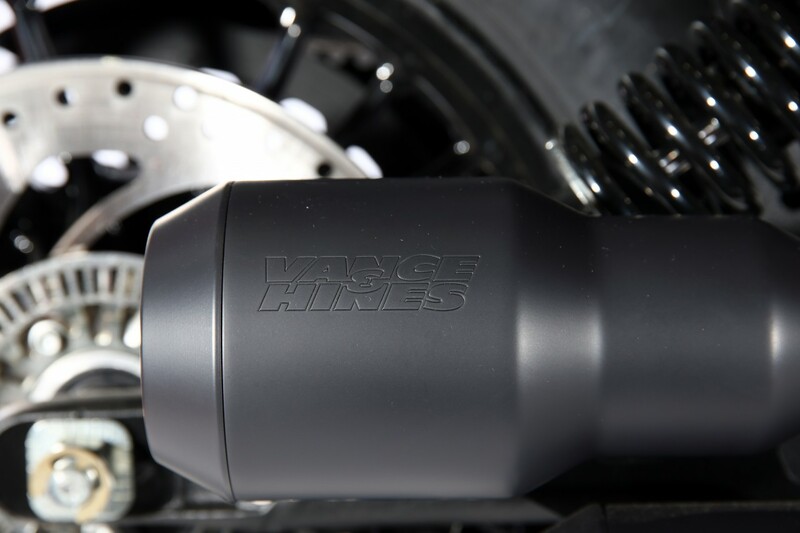 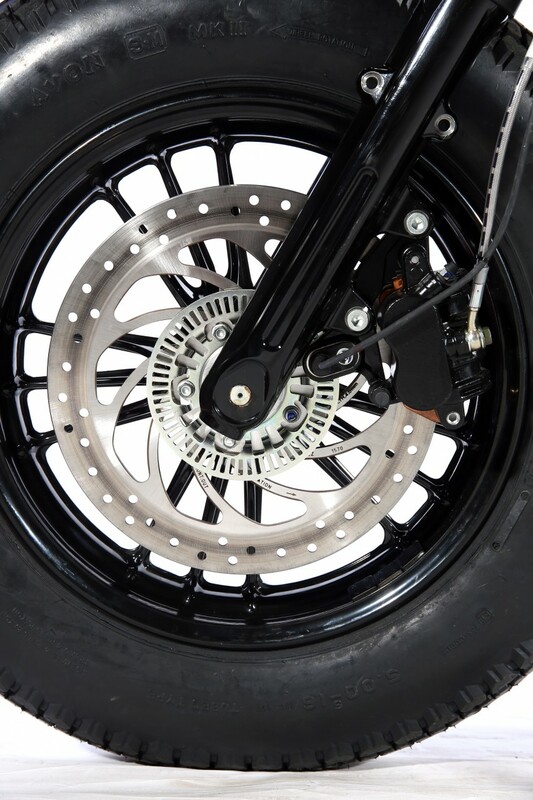 Commenting on the winning build Colin Treleaven dealer principal at Thor Motorcycles said: “We didn’t want to build a handbag, fashion statement bike, it had to be something that hadn’t been done before and it had to be a rideable bike, not a show pony. 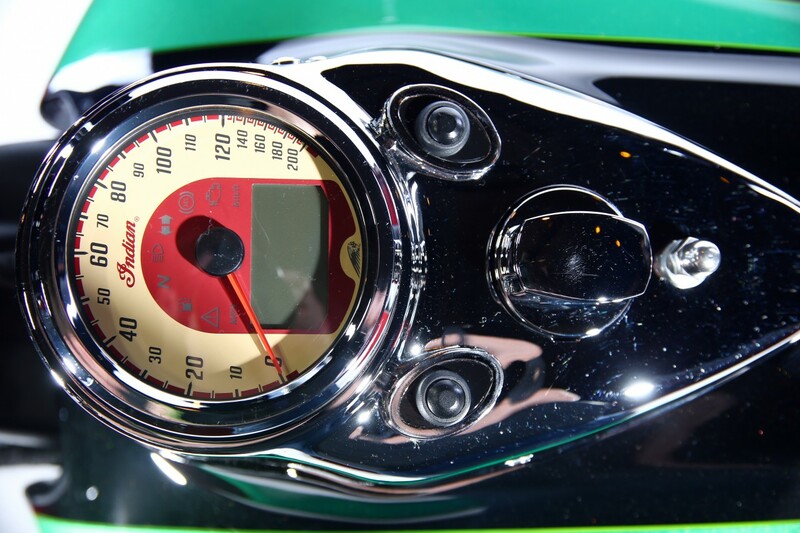 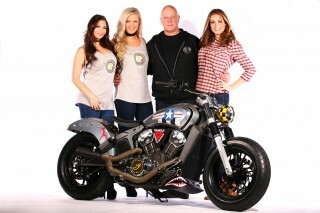 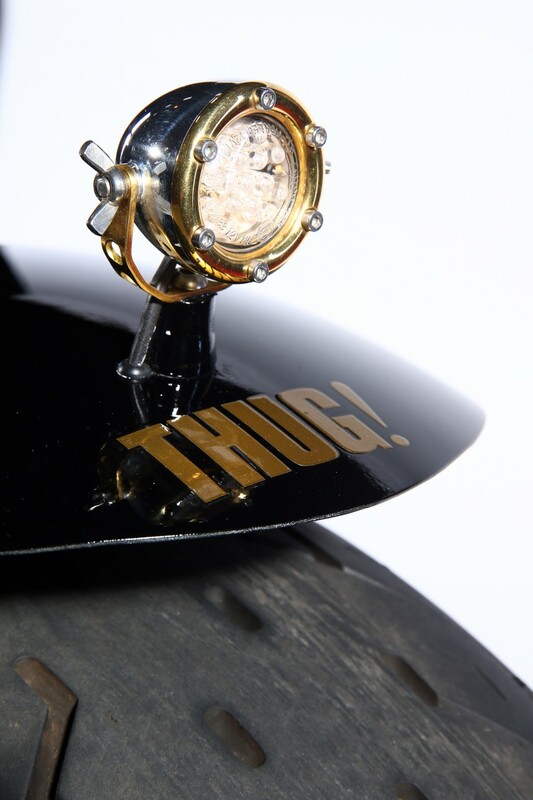 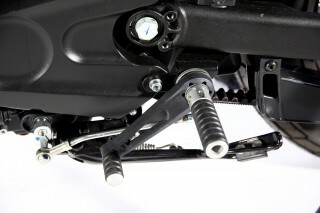 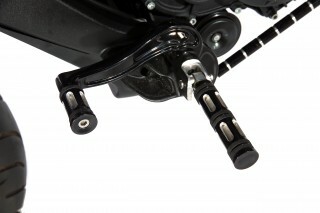 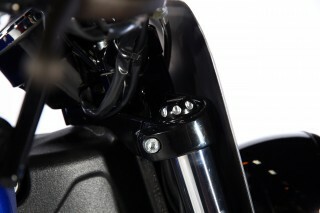 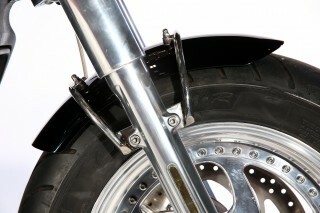 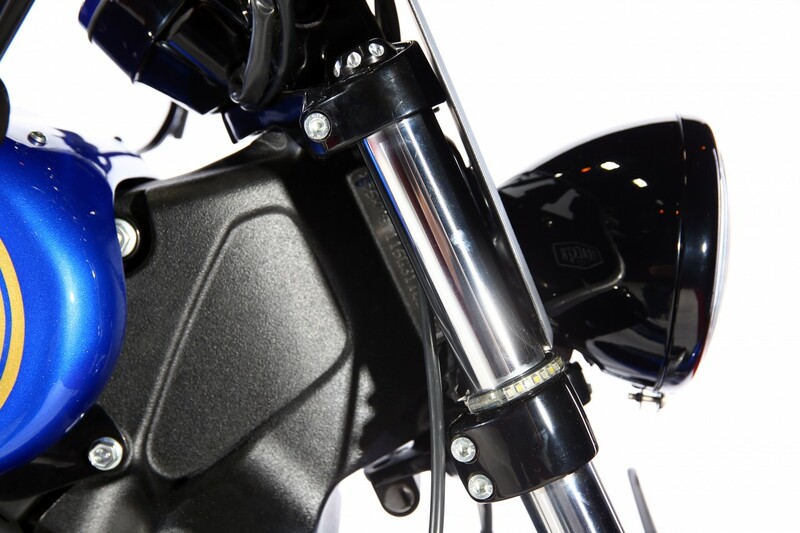 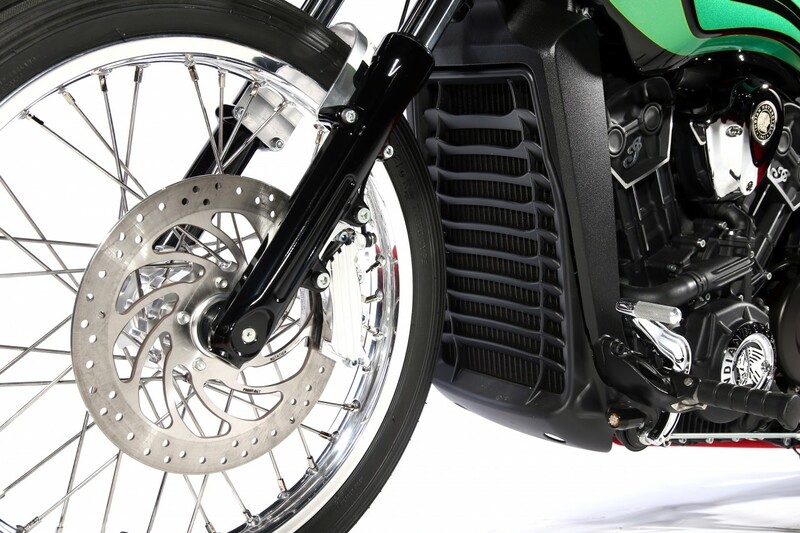 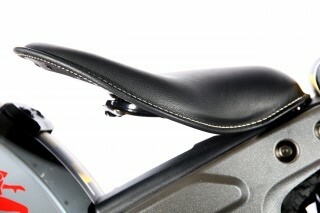 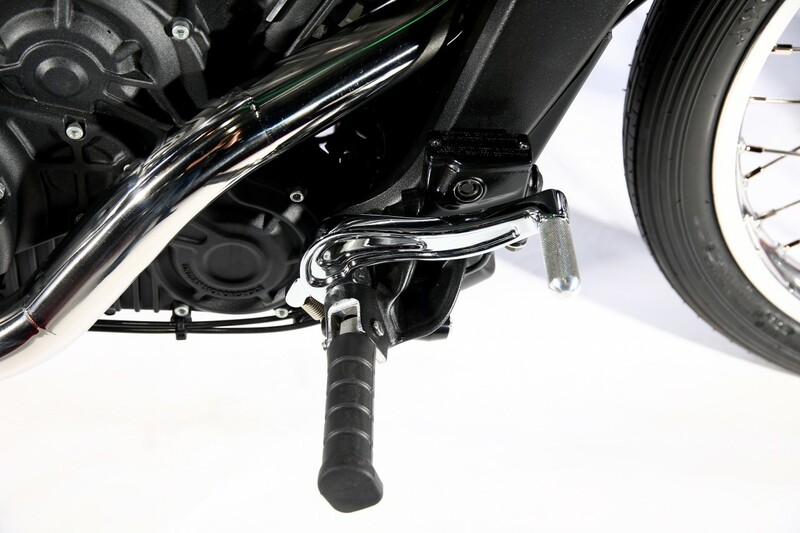 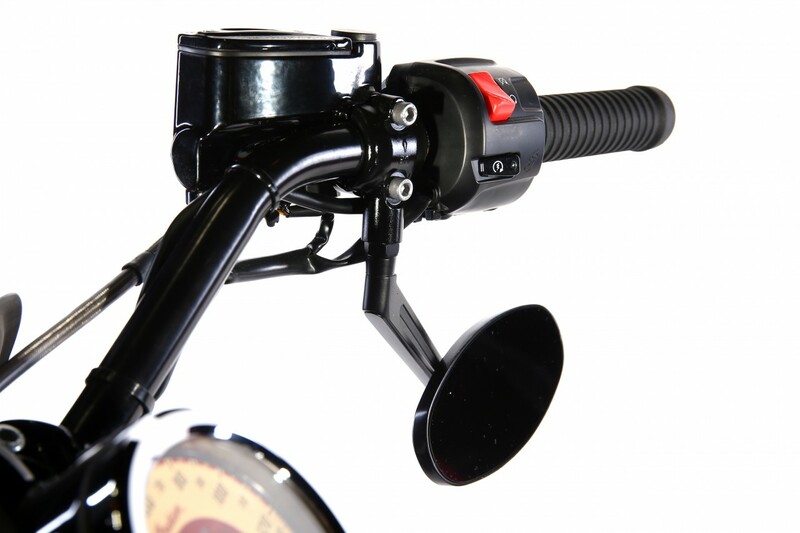 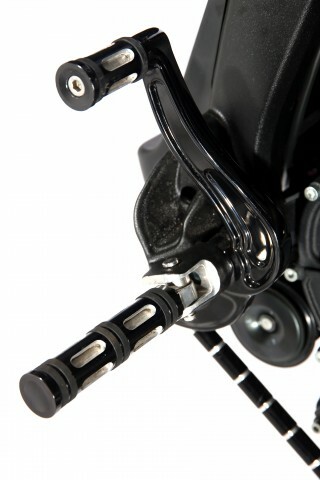 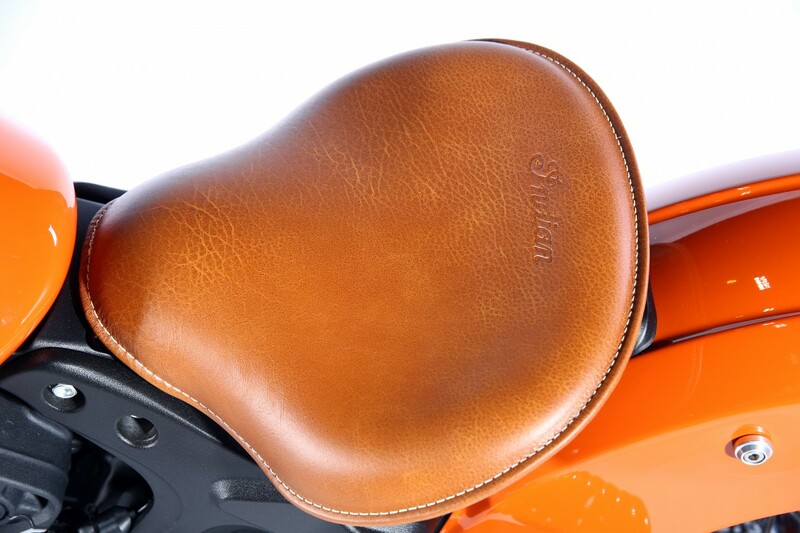 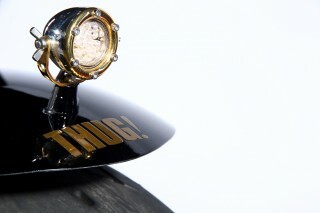 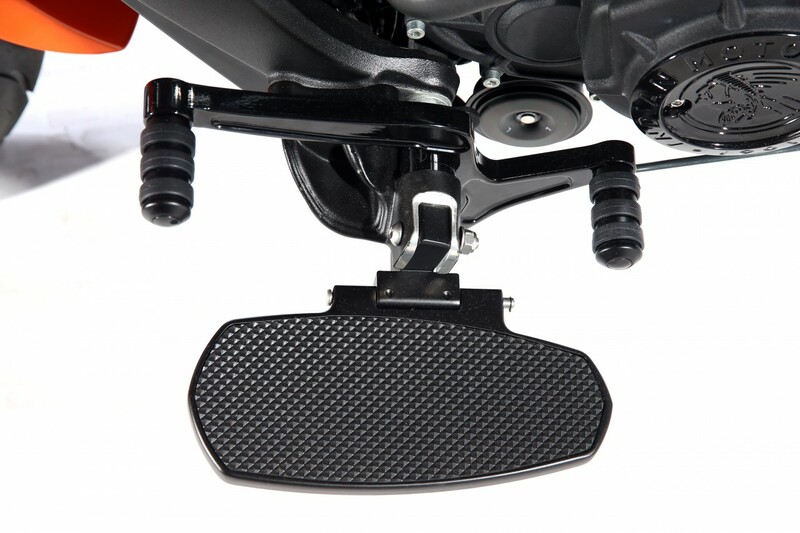 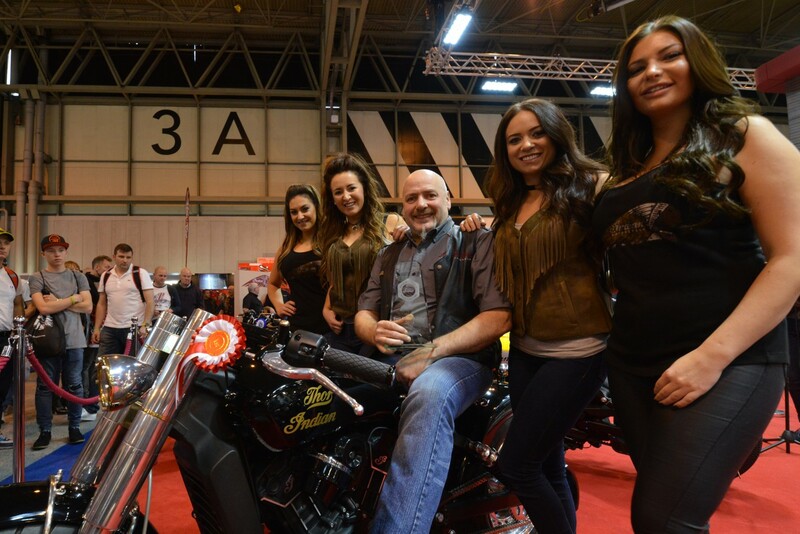 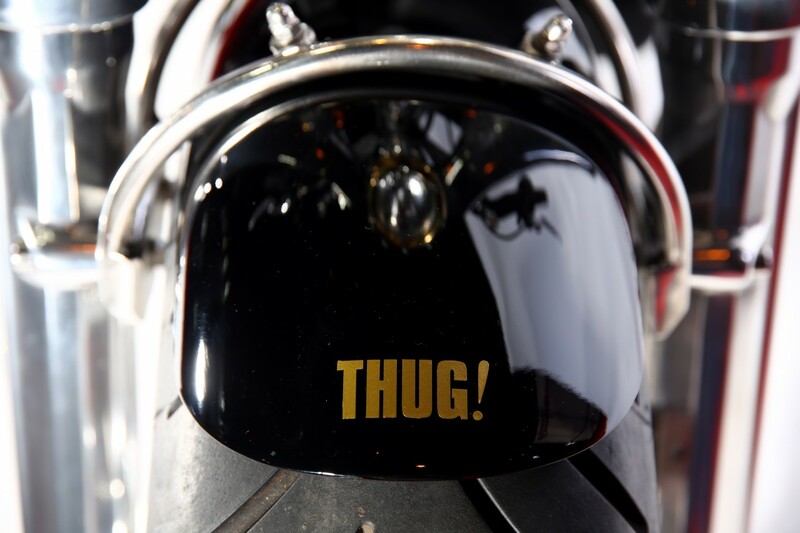 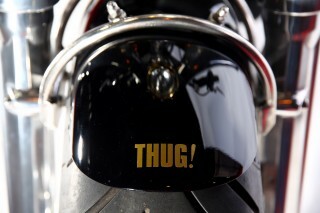 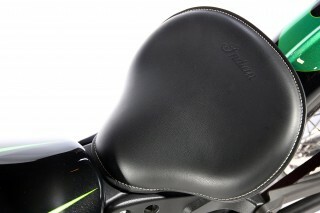 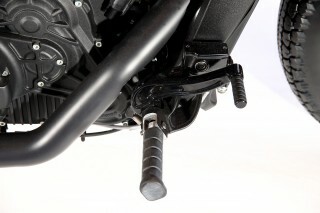 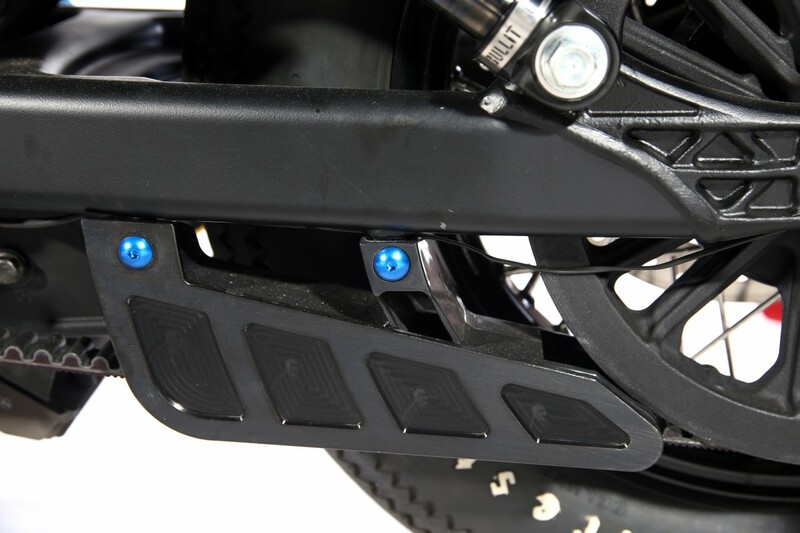 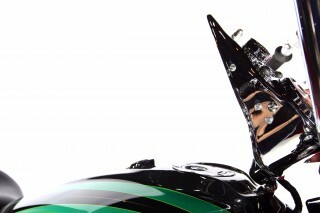 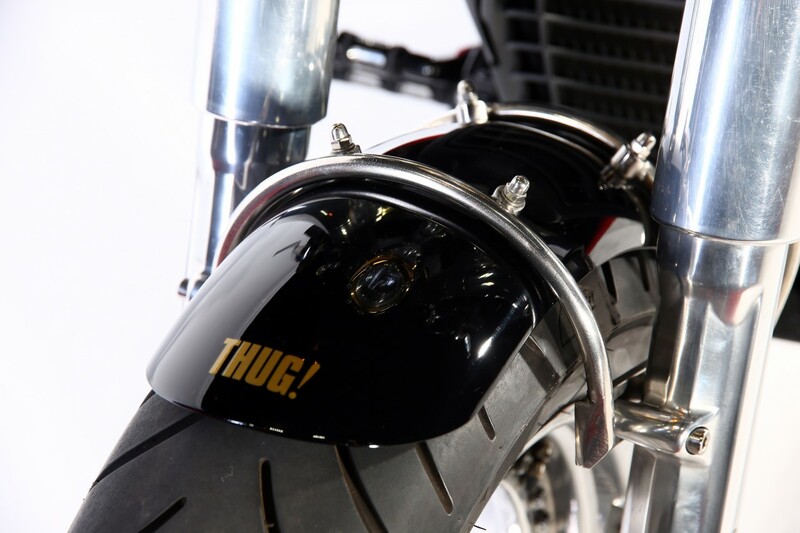 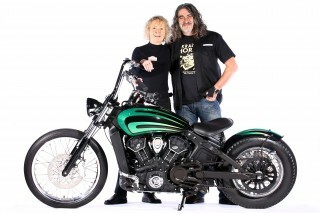 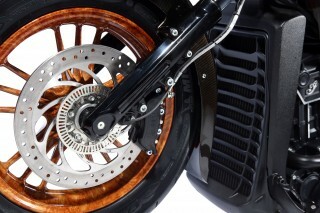 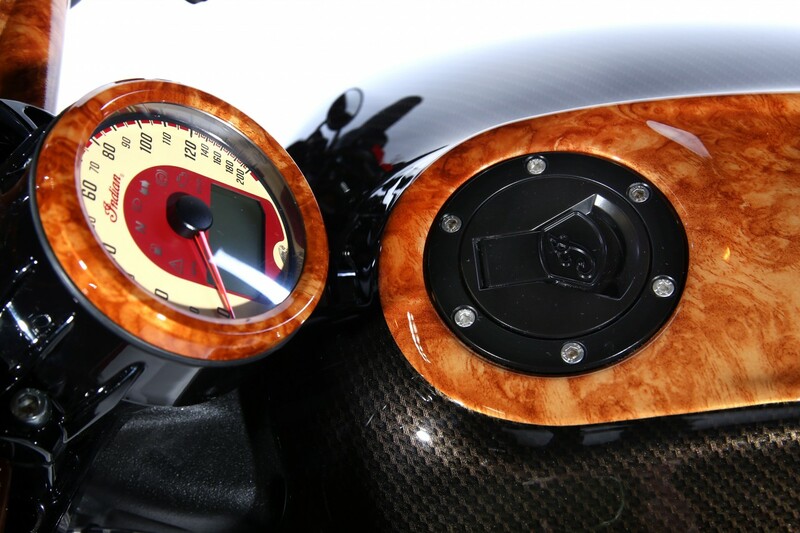 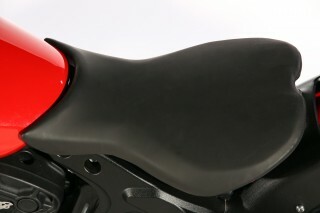 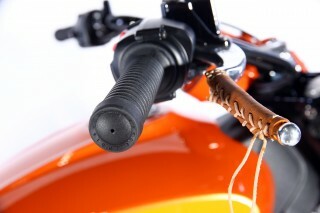 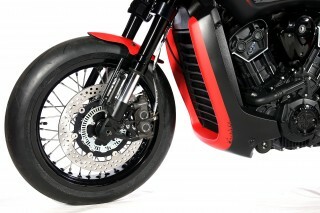 THUG secured over 20% of the 1,905 votes collected during the nine days at Motorcycle Live. 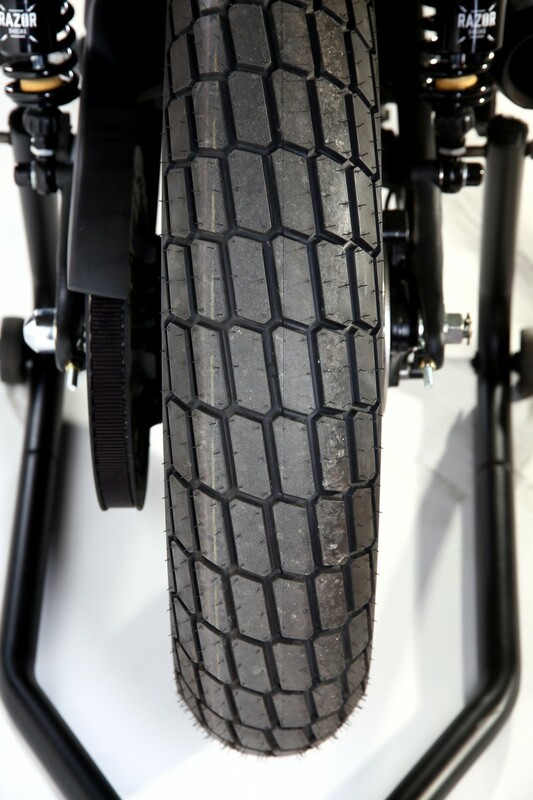 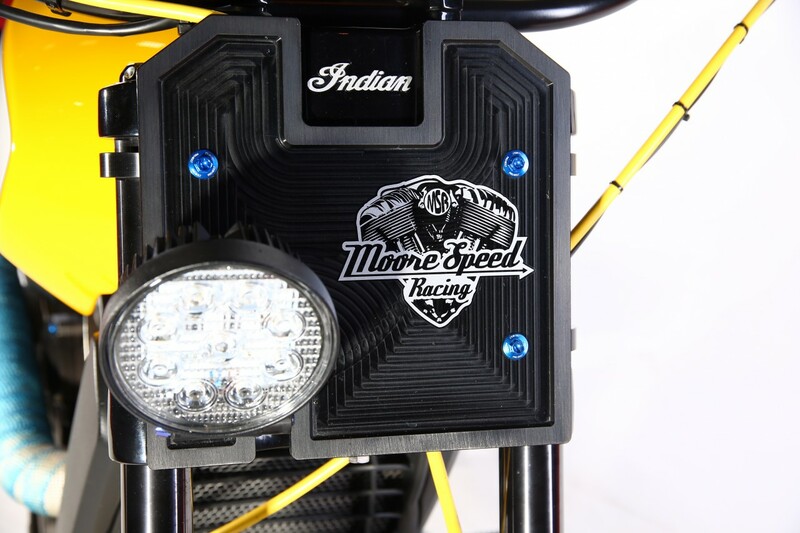 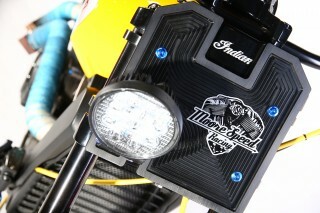 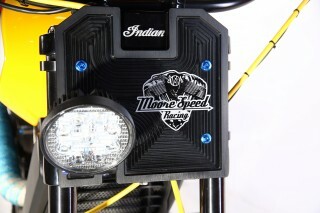 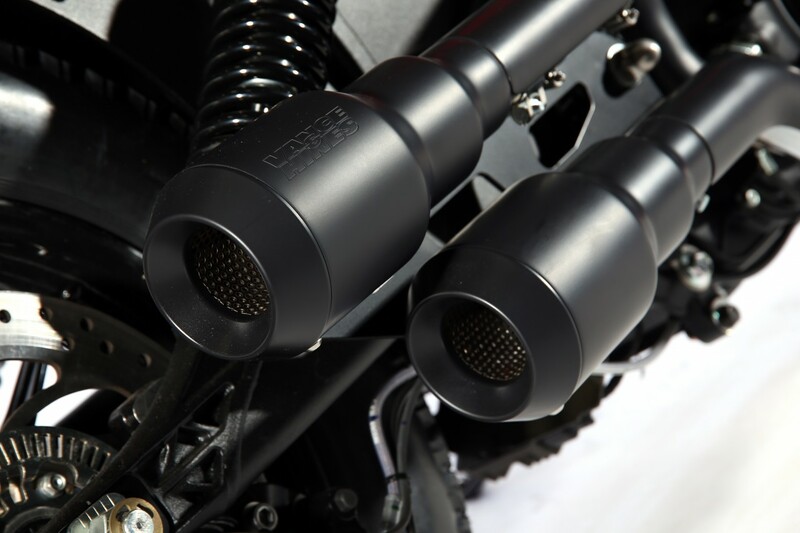 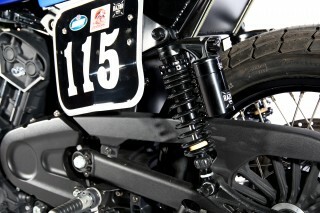 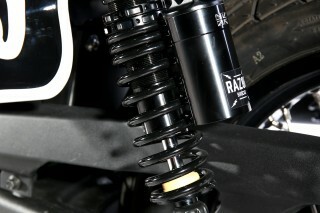 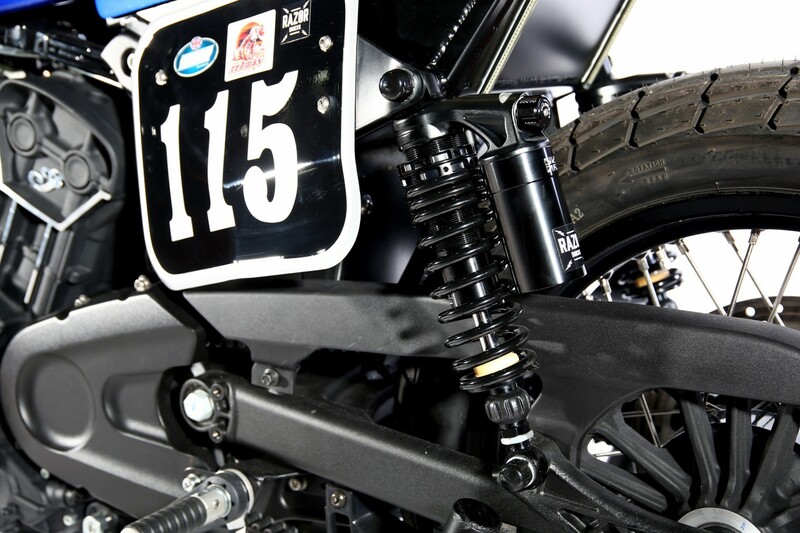 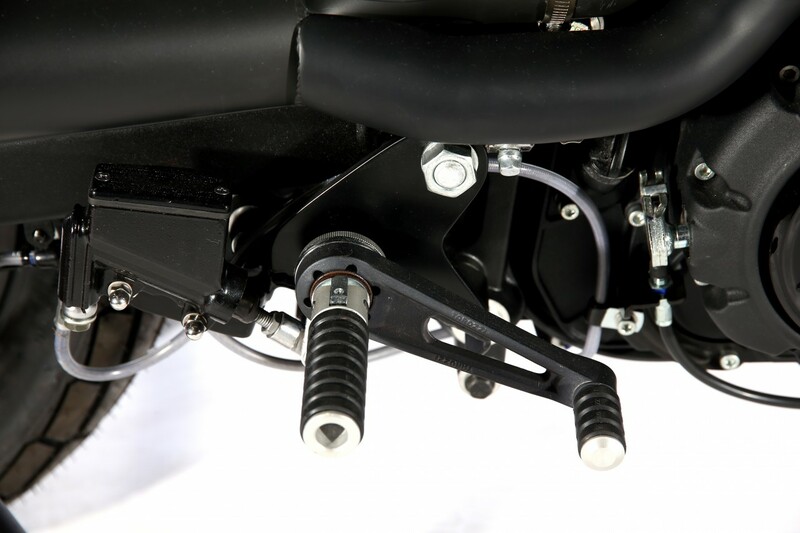 In second place was Midwest Moto’s MWM-115 and in third place was Moore Speed Racing’s Beach Tracker. 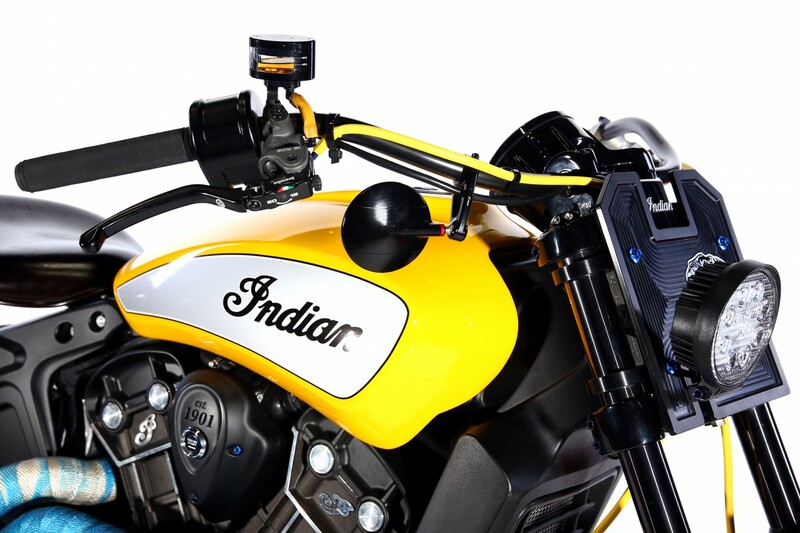 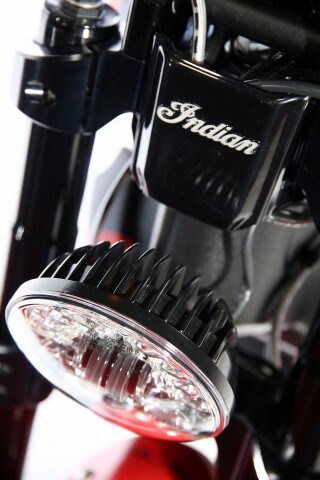 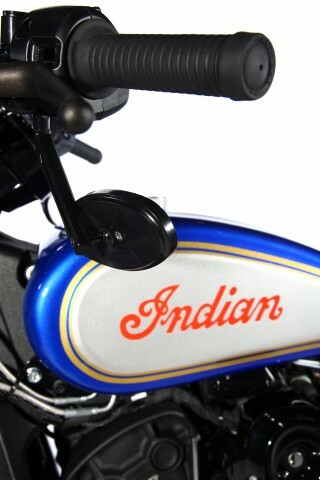 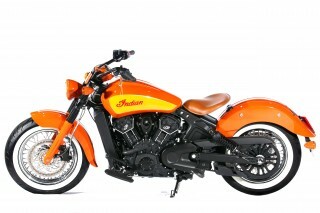 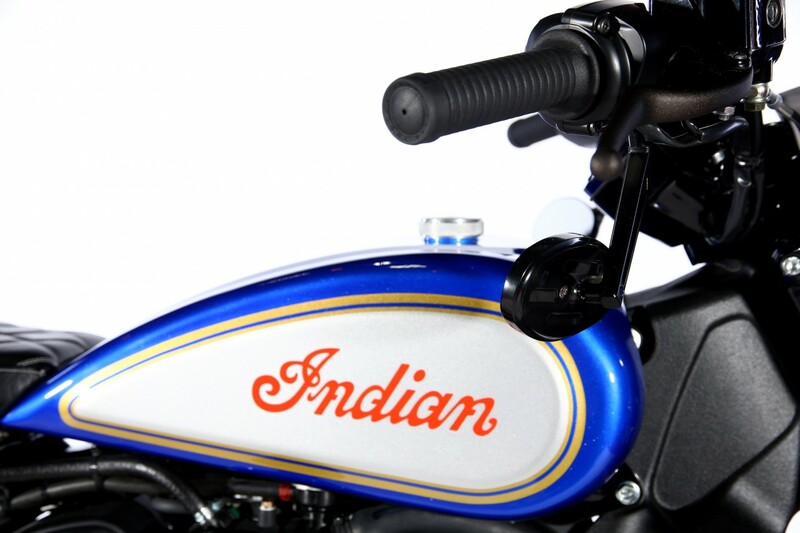 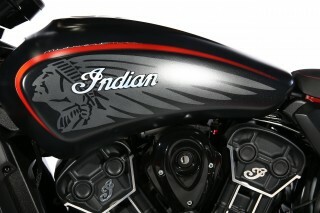 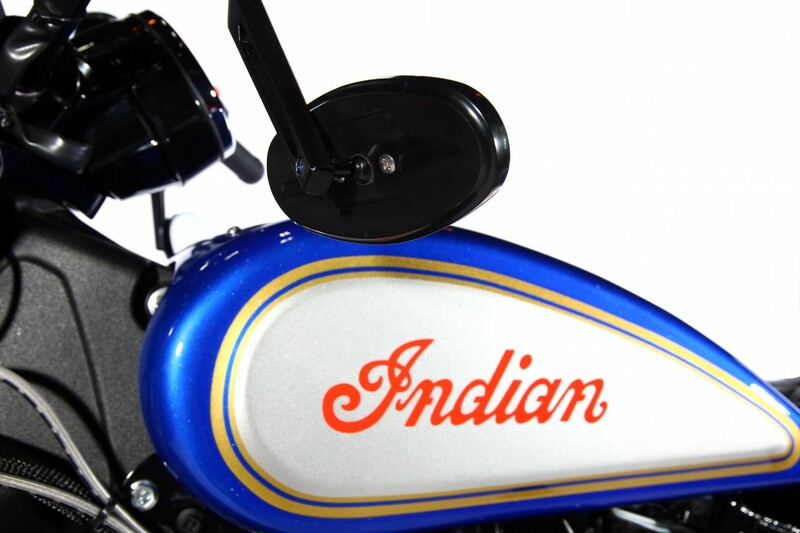 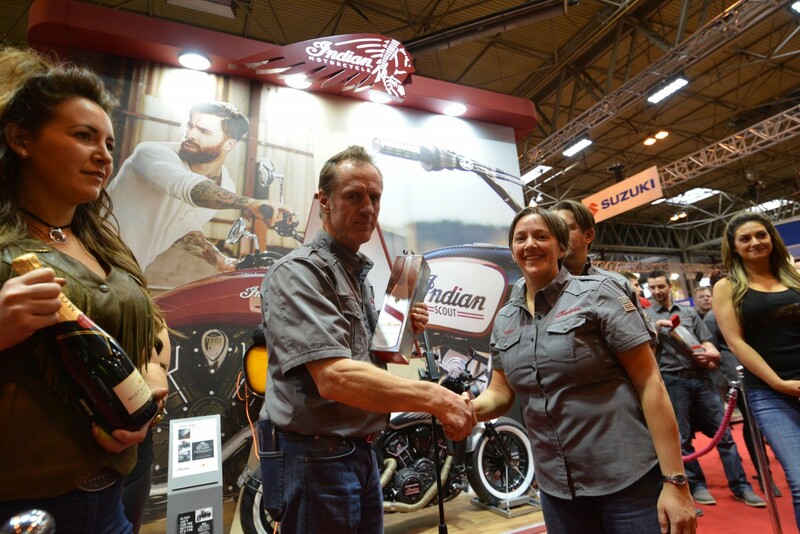 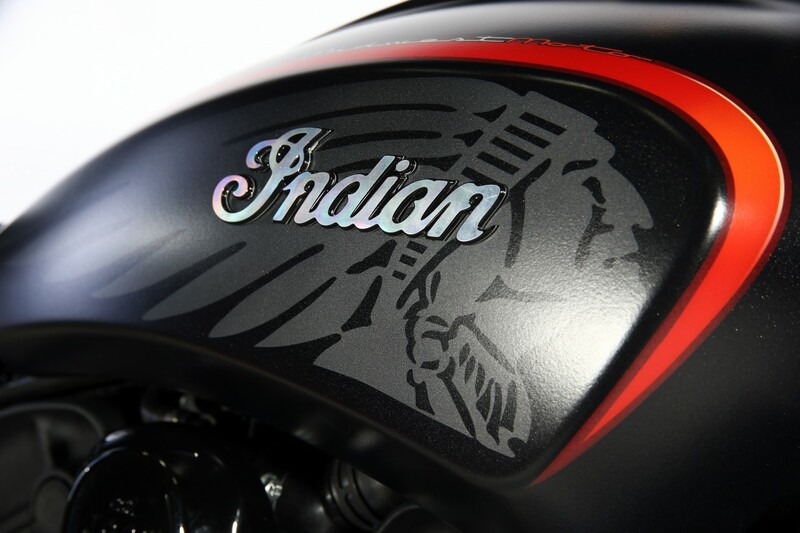 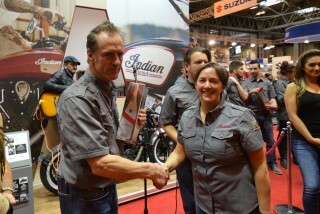 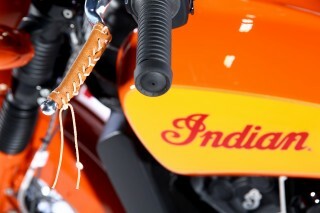 Visitors to Motorcycle Live who took part in the Project Scout vote will now be entered into a draw to receive a £500 Indian Motorcycle hamper containing branded apparel and accessories. 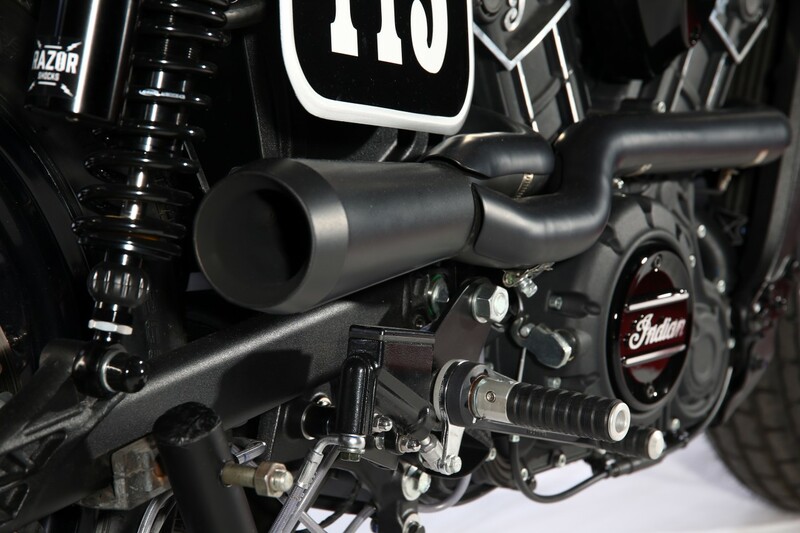 Here’s the full list of the 10 entries and dealerships. Full specs of each build are in PDF format on the media site along with a few paragraphs explaining the inspiration for each build.